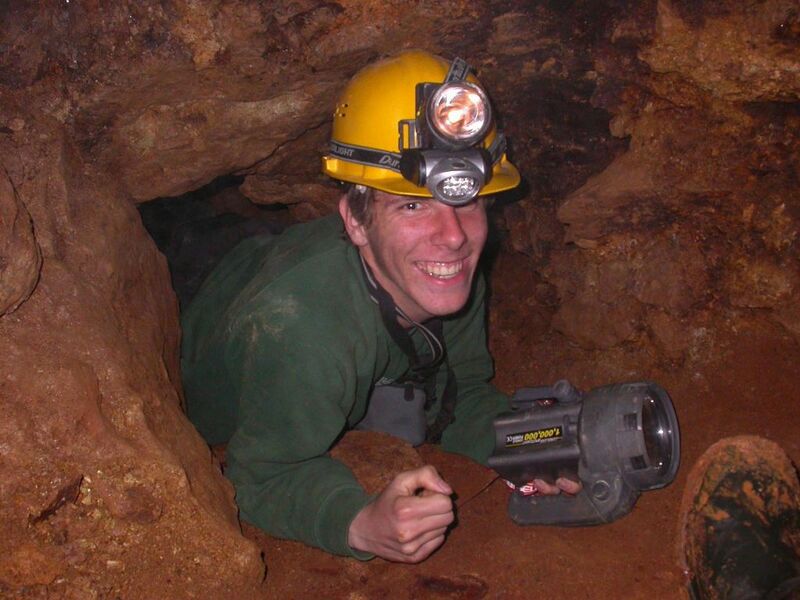 Before I took an early retirement in mid-2006 I was employed as a business/systems analyst for software interfacing between time registration and loan secretaries. 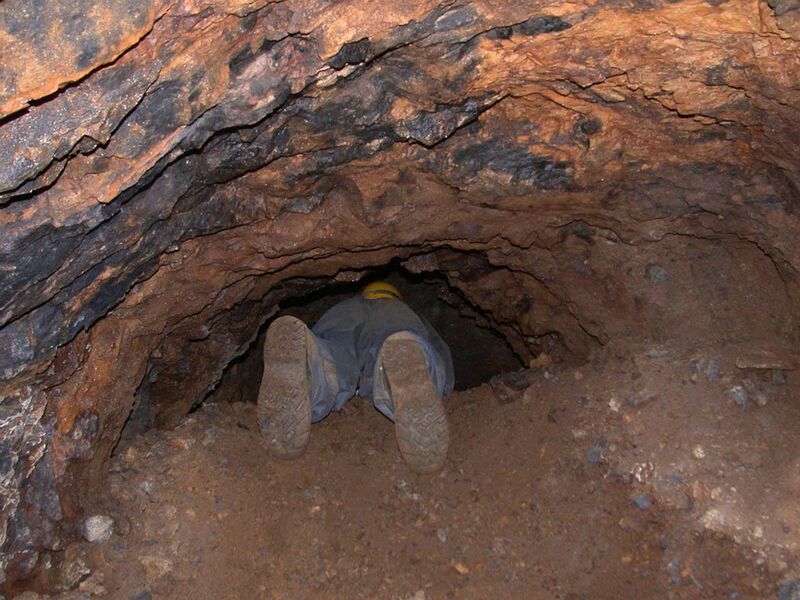 Now I got more time to devote to my wife, two grown-up children and to extend my several hobbies. 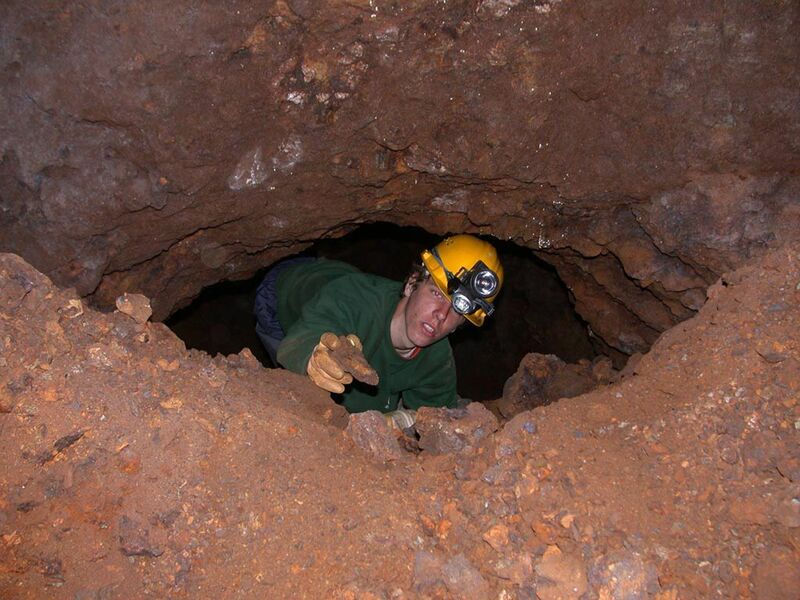 My age isn't important, but it can be revealed here! 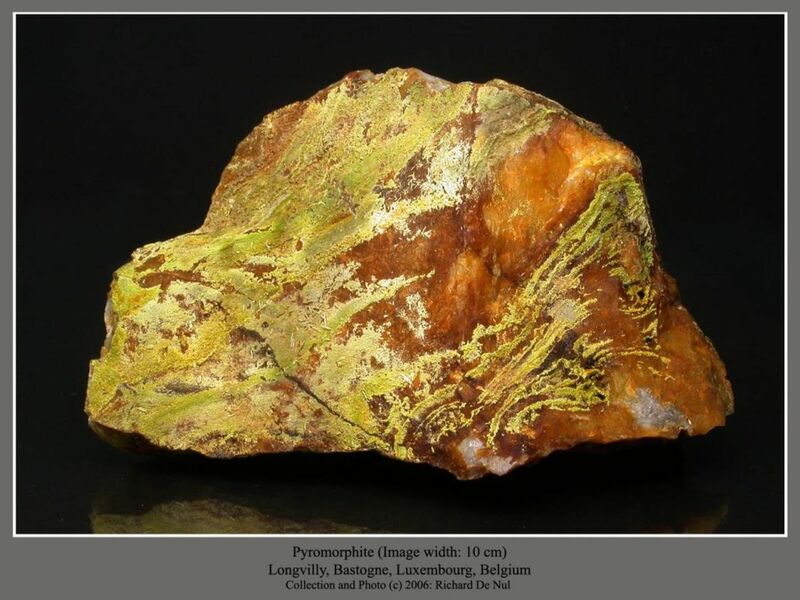 I'm a young, dynamic and motivated sixties. 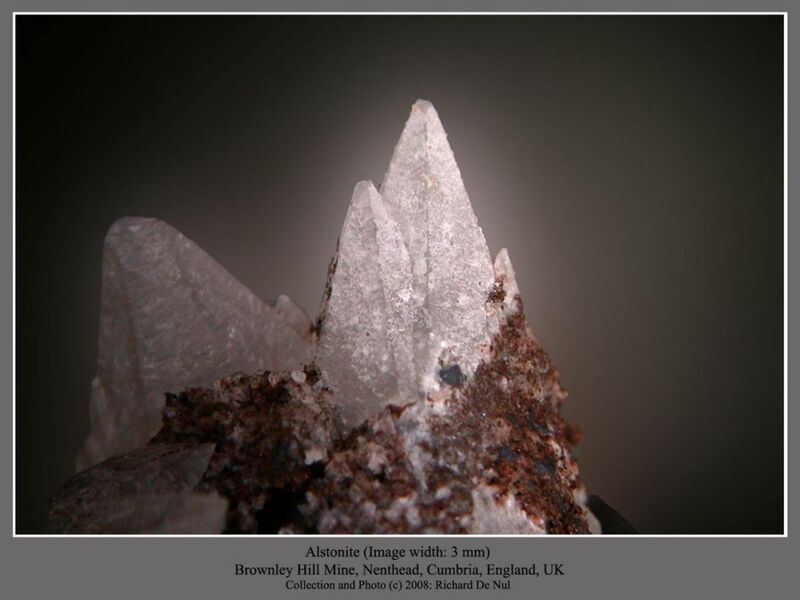 I'm an amateur mineral collector with a very keen interest in mining history and all of its archaeological and industrial aspects. 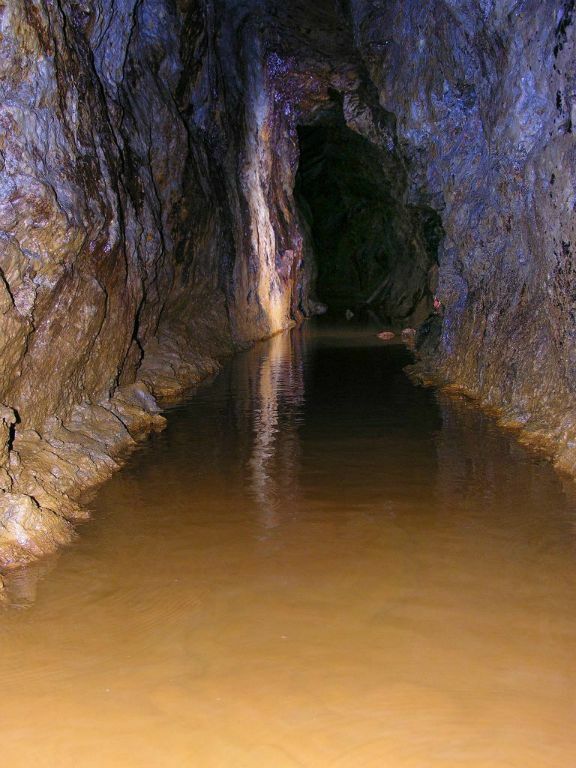 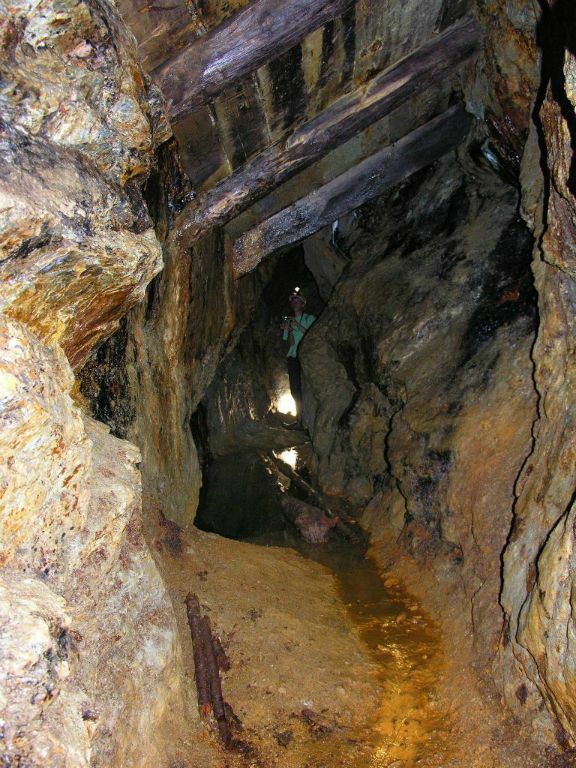 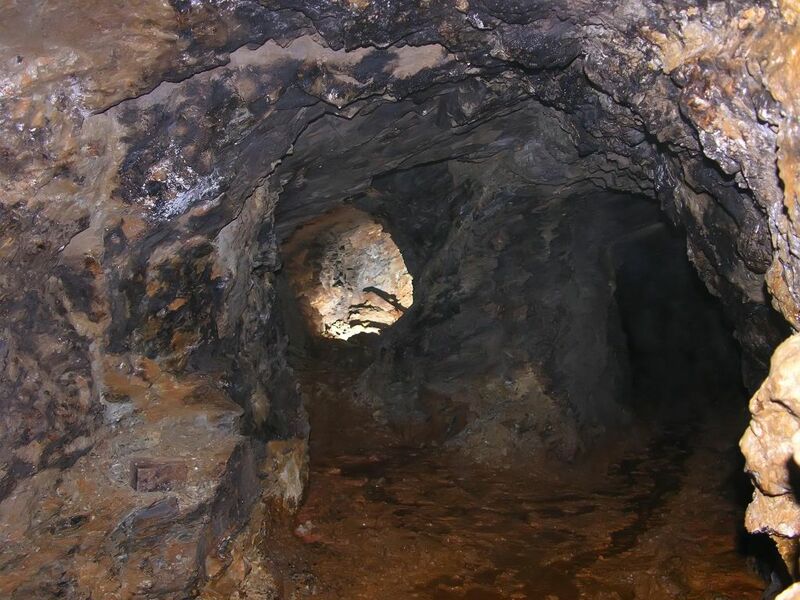 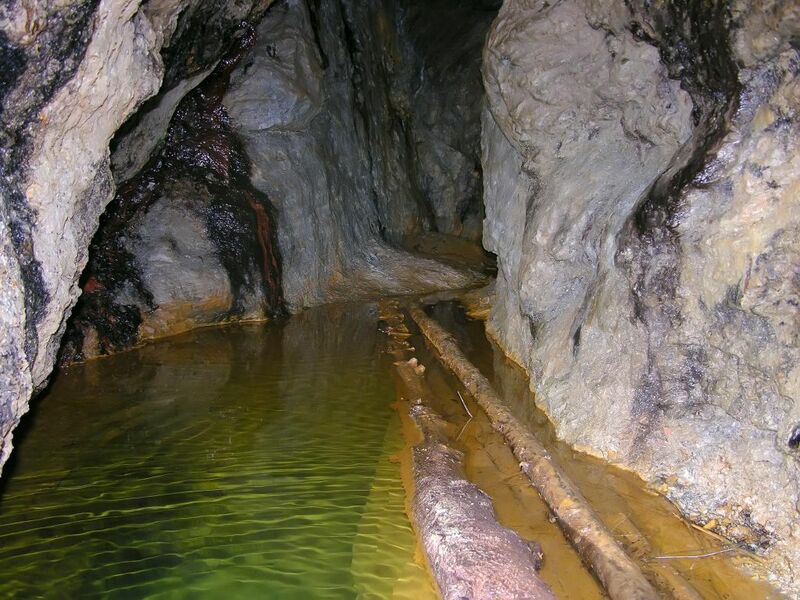 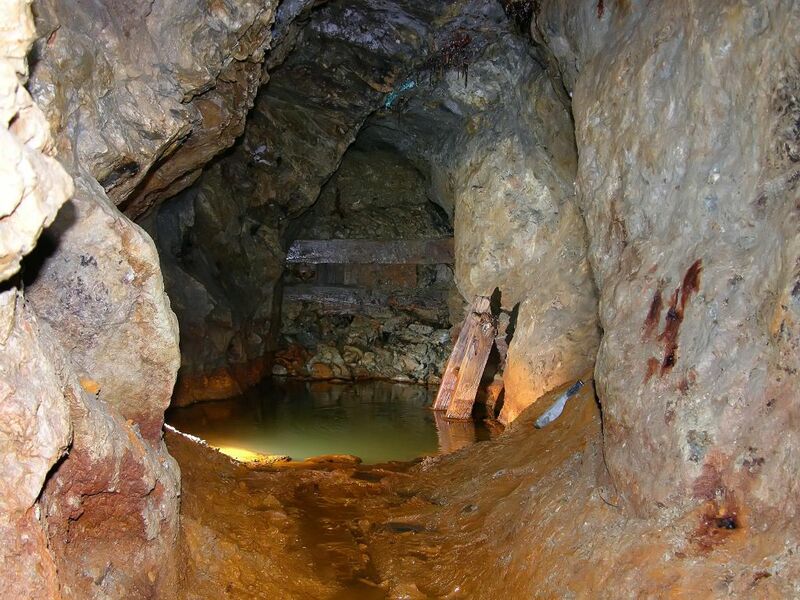 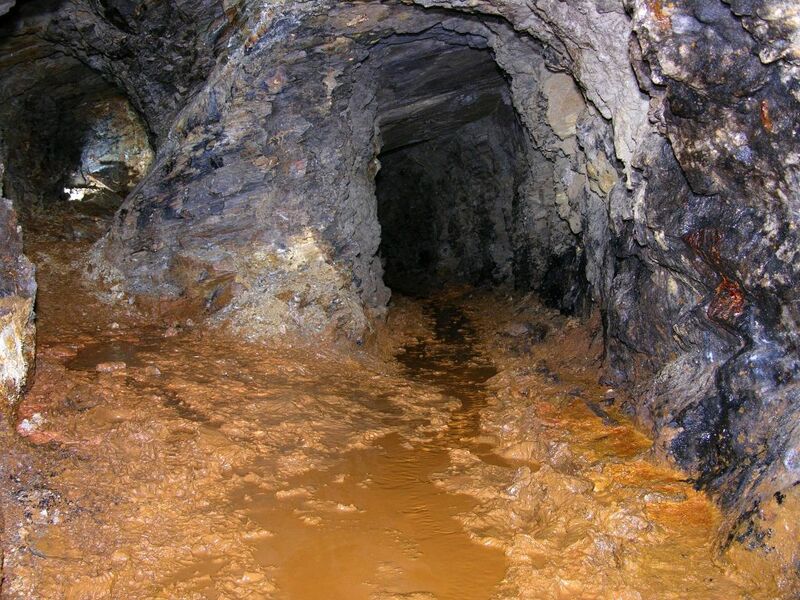 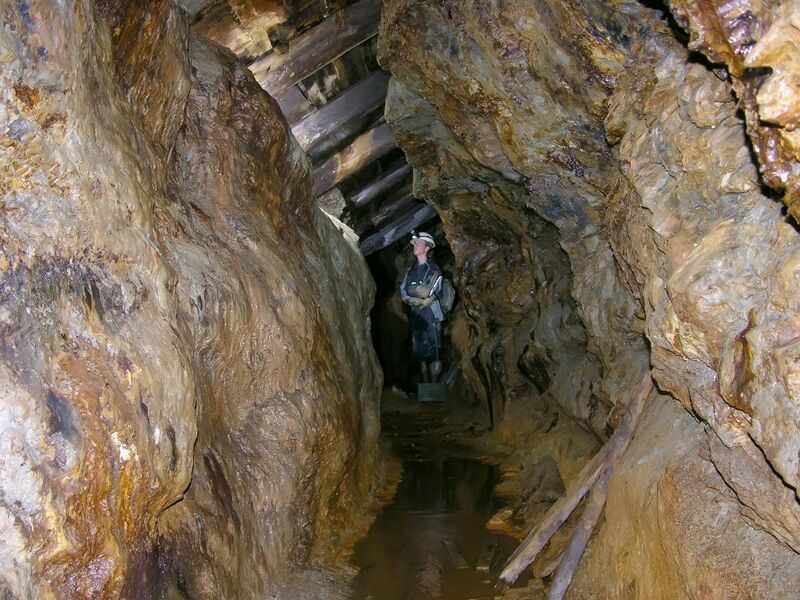 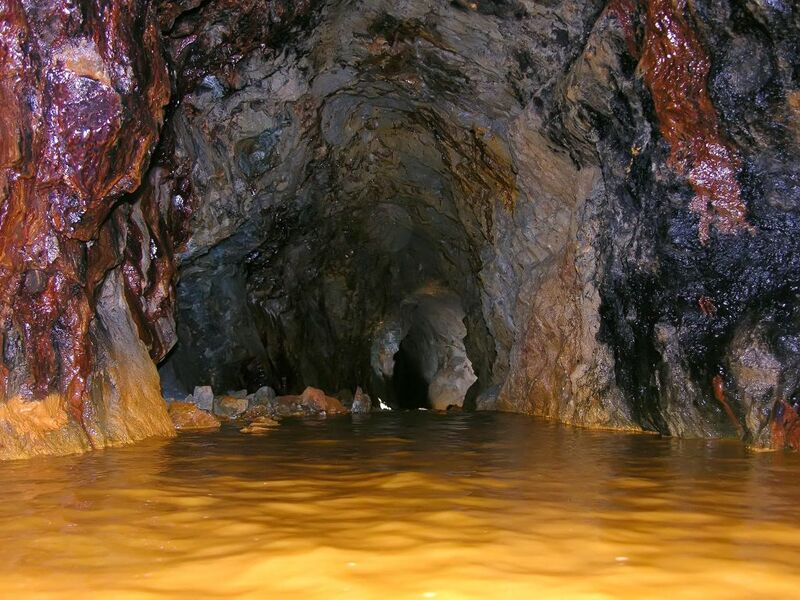 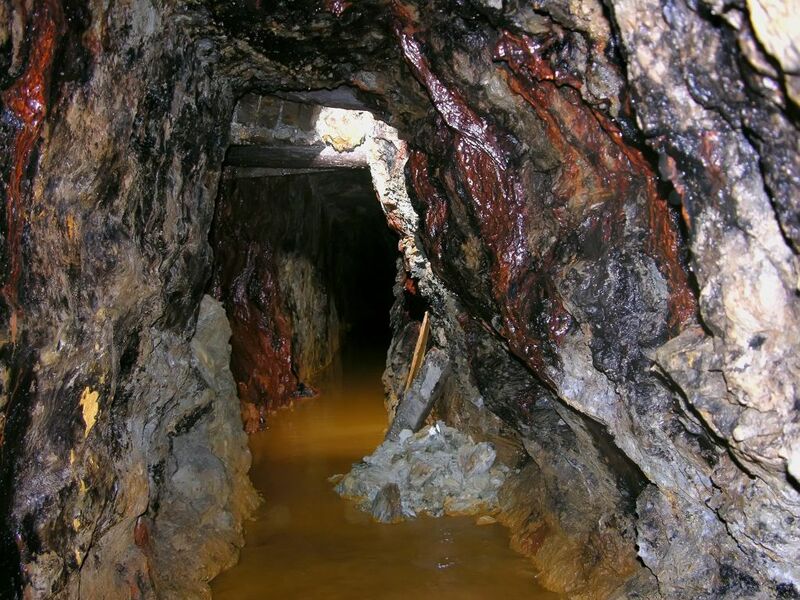 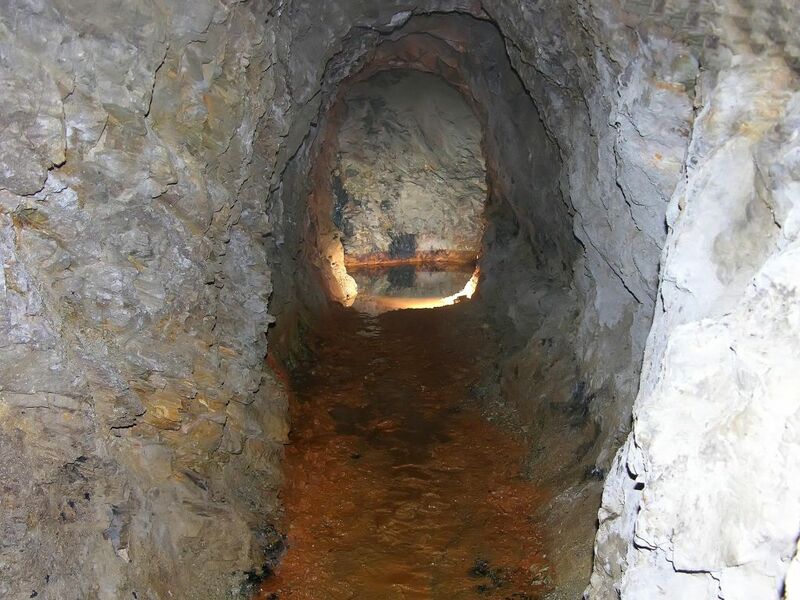 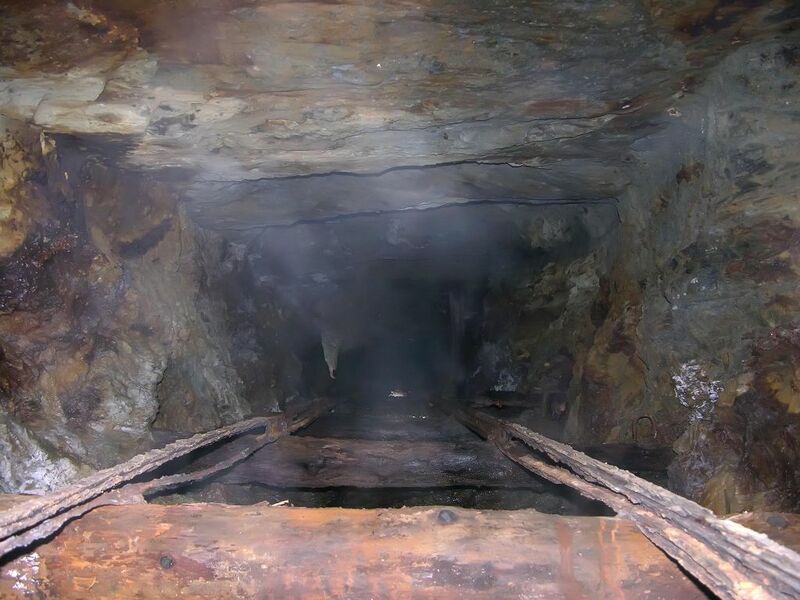 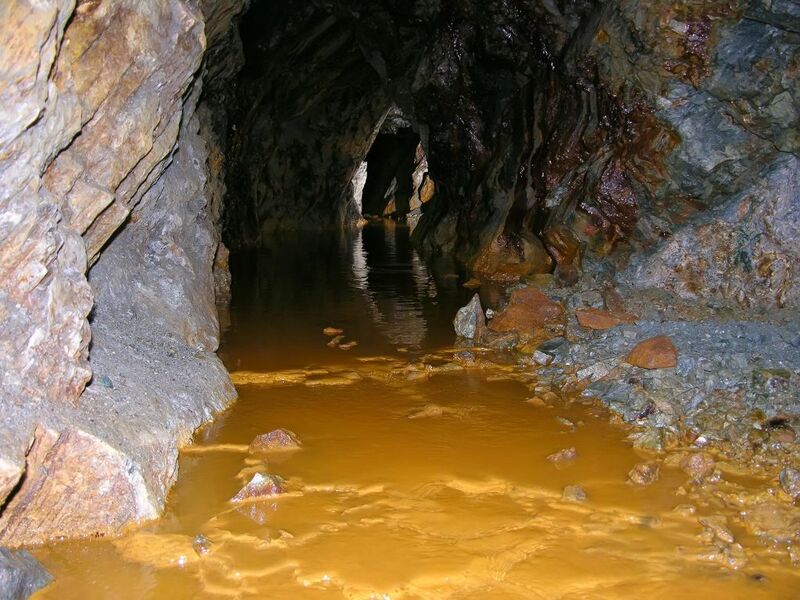 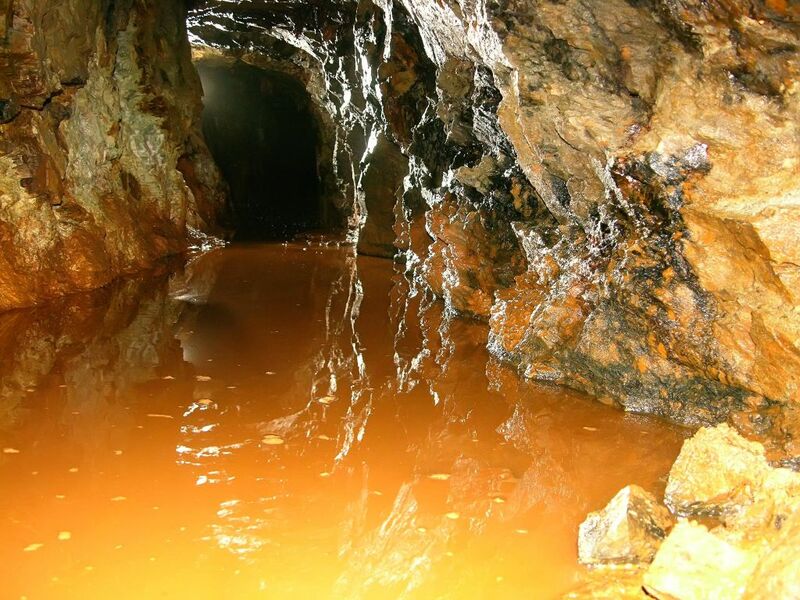 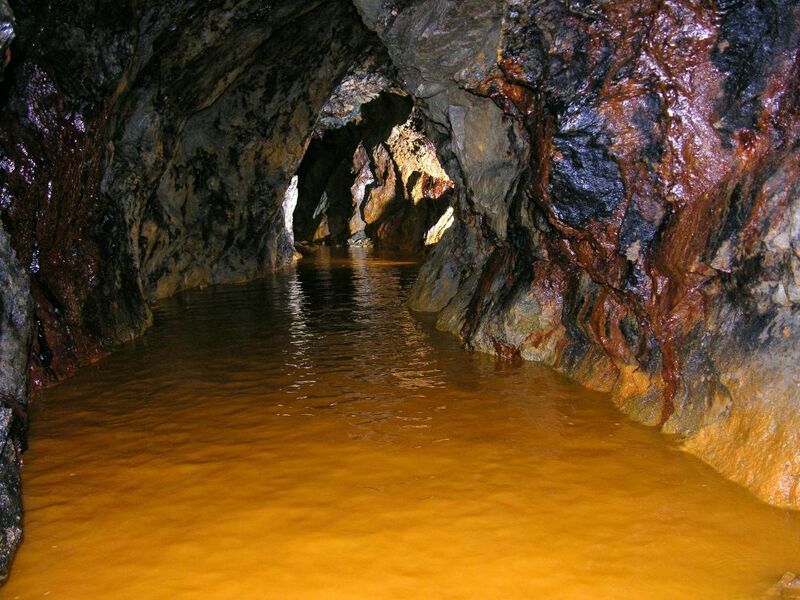 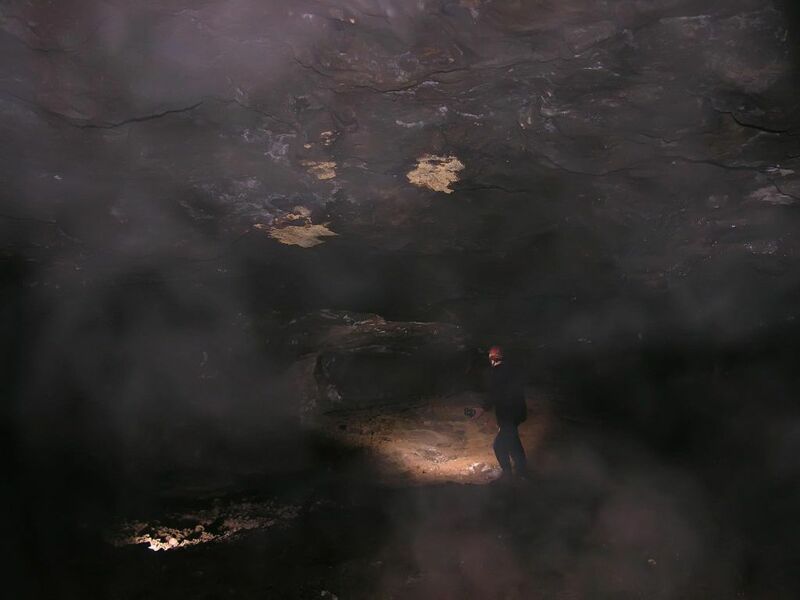 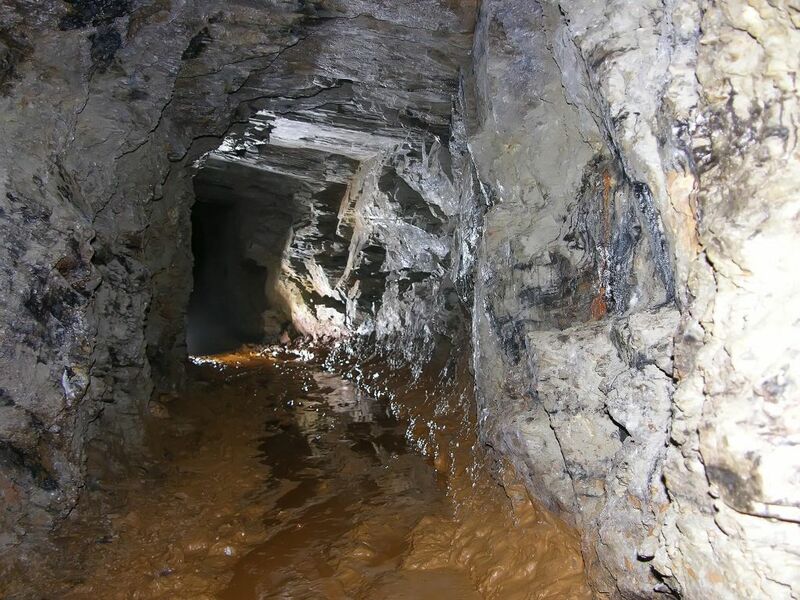 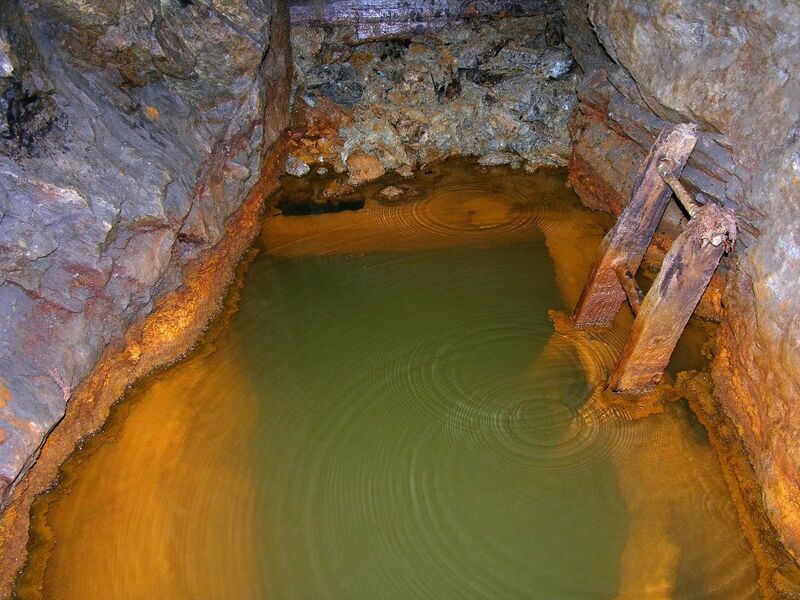 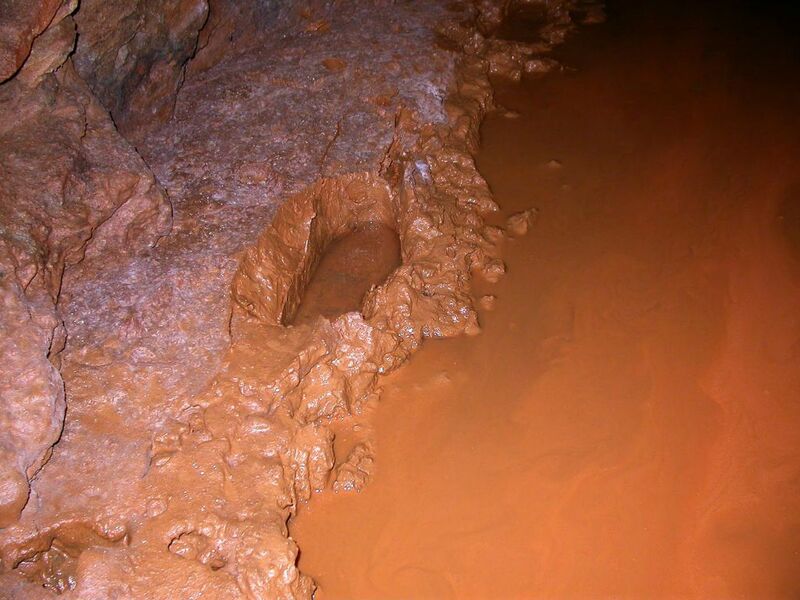 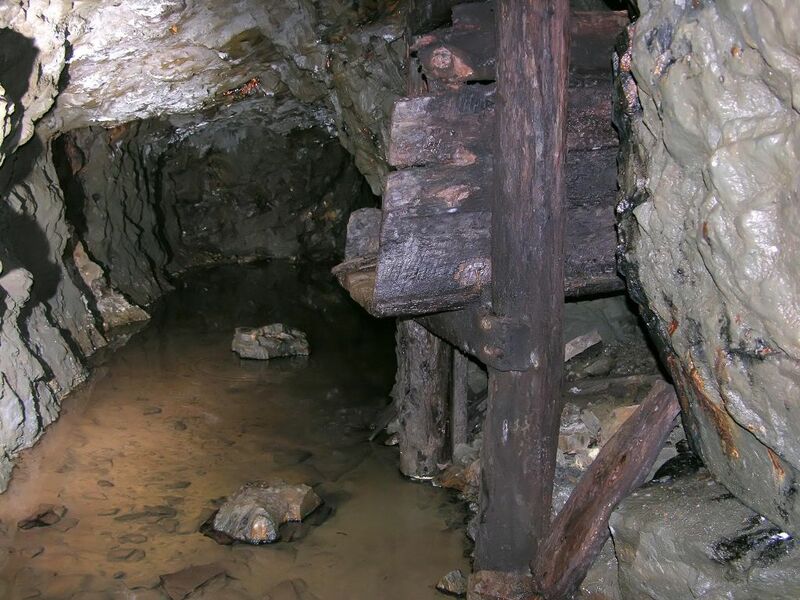 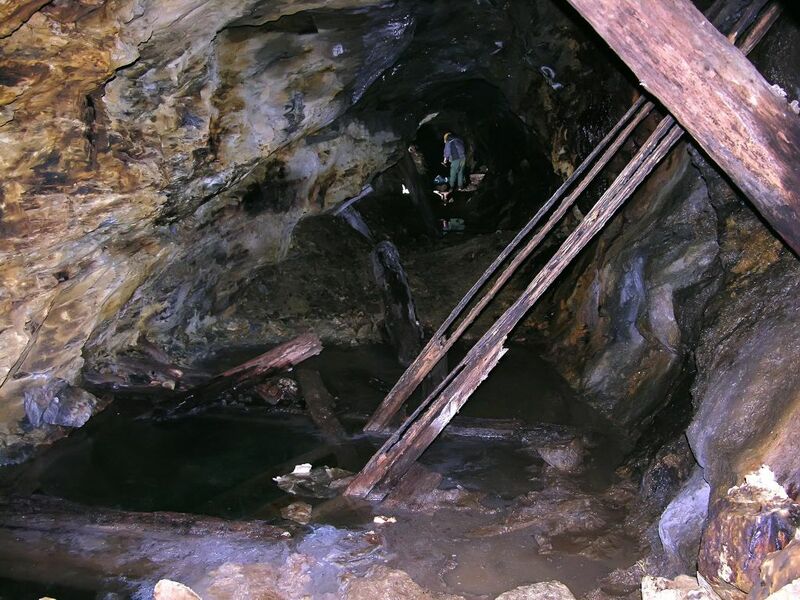 I love being underground to explore disused mine workings. 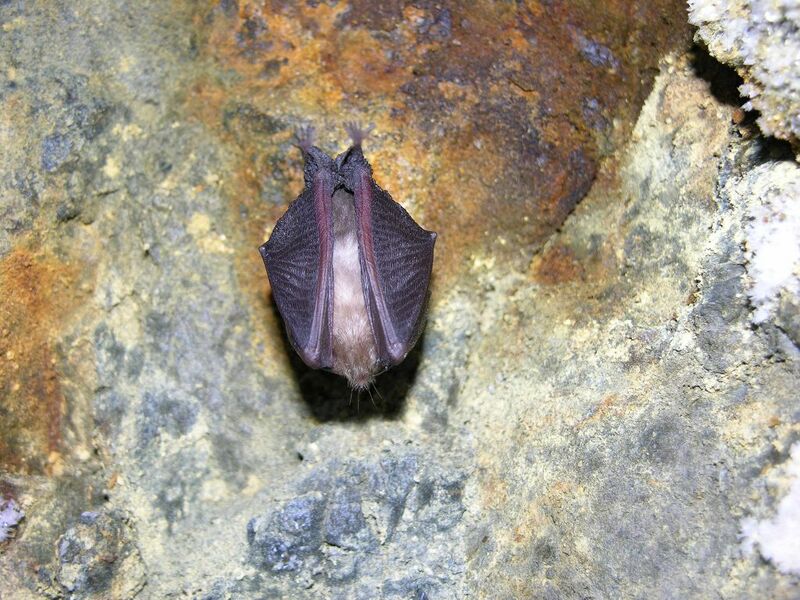 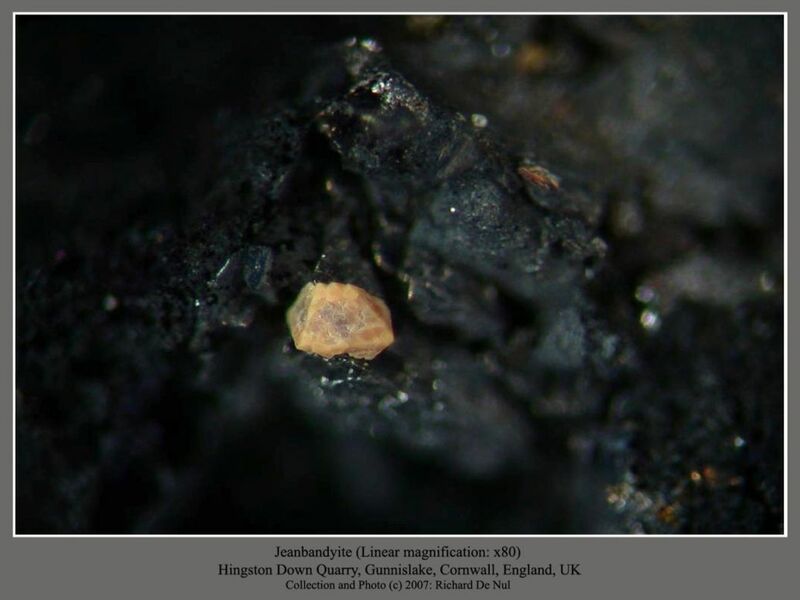 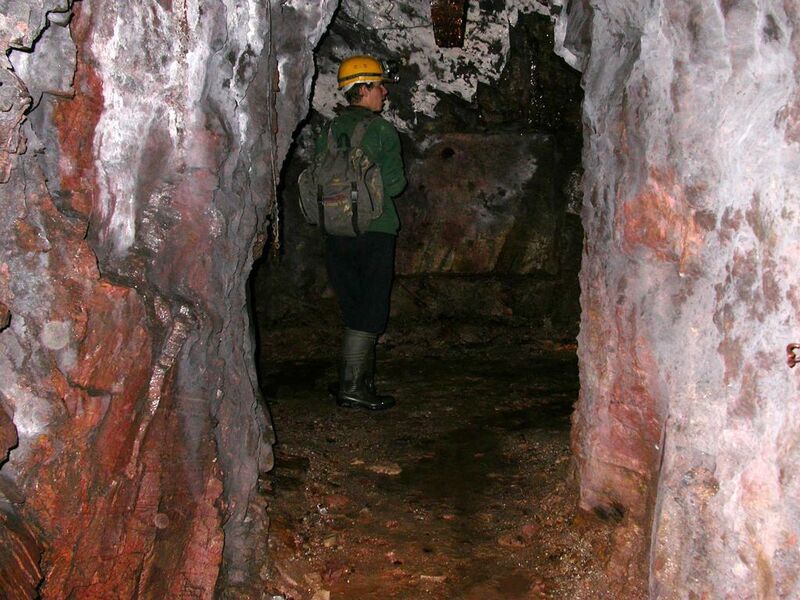 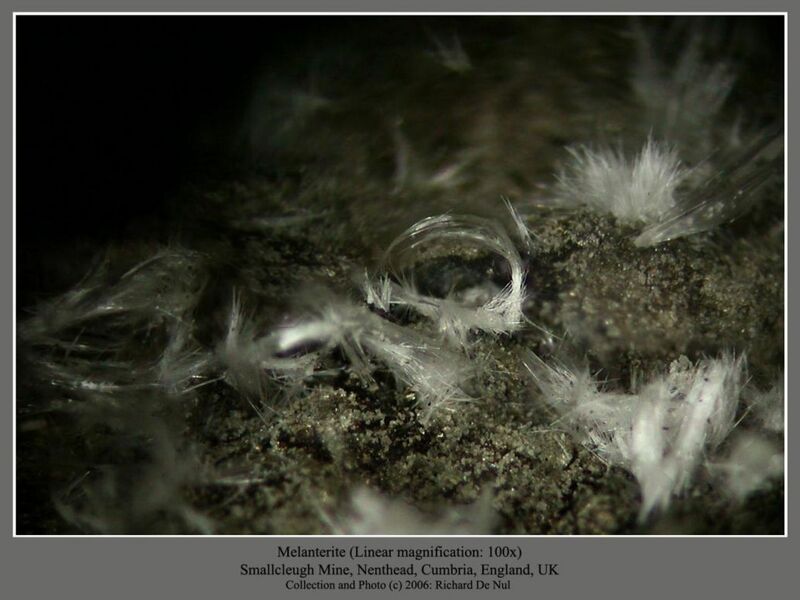 I started mineral collecting in 1995 with limited knowledge of mineralogy. 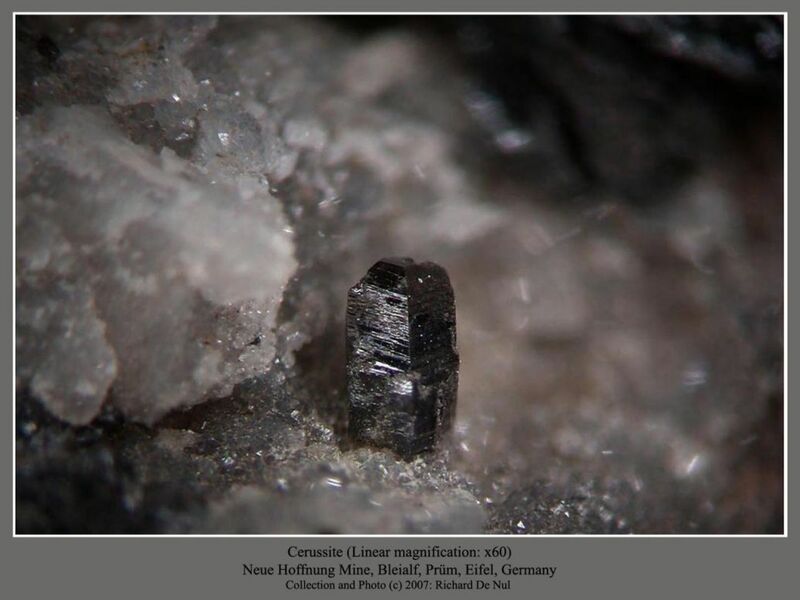 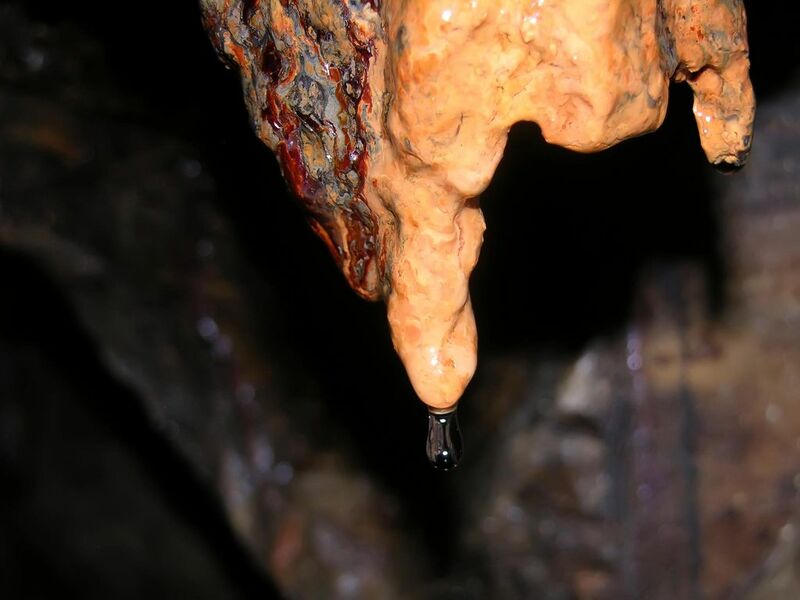 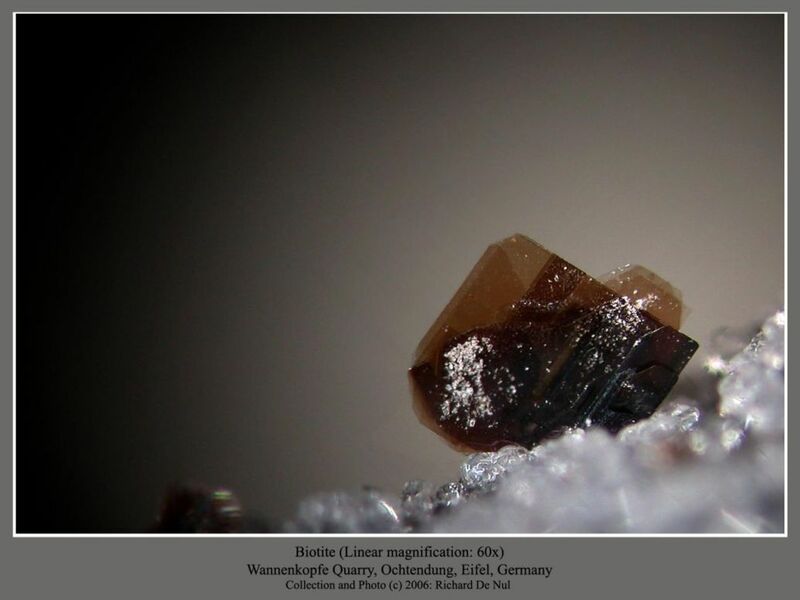 But, soon became a die-hard collector, making the transition from being a layman to something of an authority in the field of micro-minerals in just a few years. 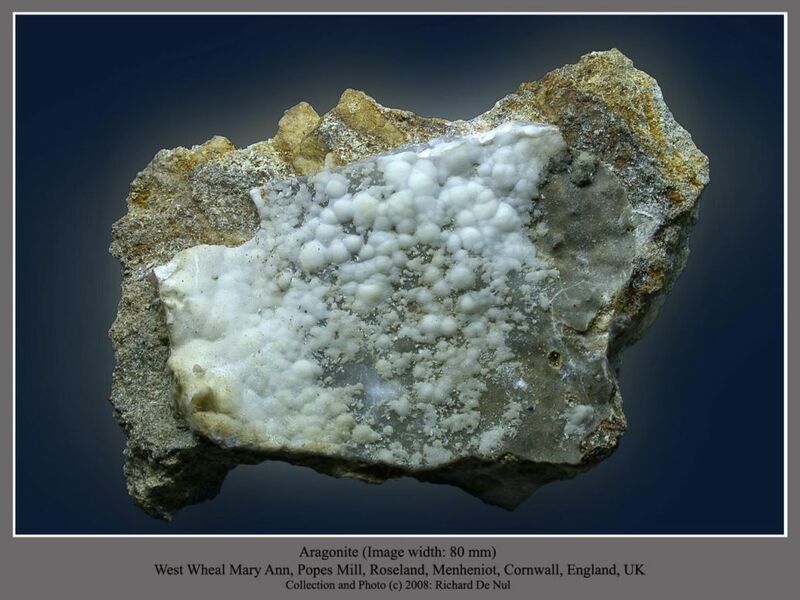 Today I have amassed a wonderful collection of English minerals of which I'm justly proud. 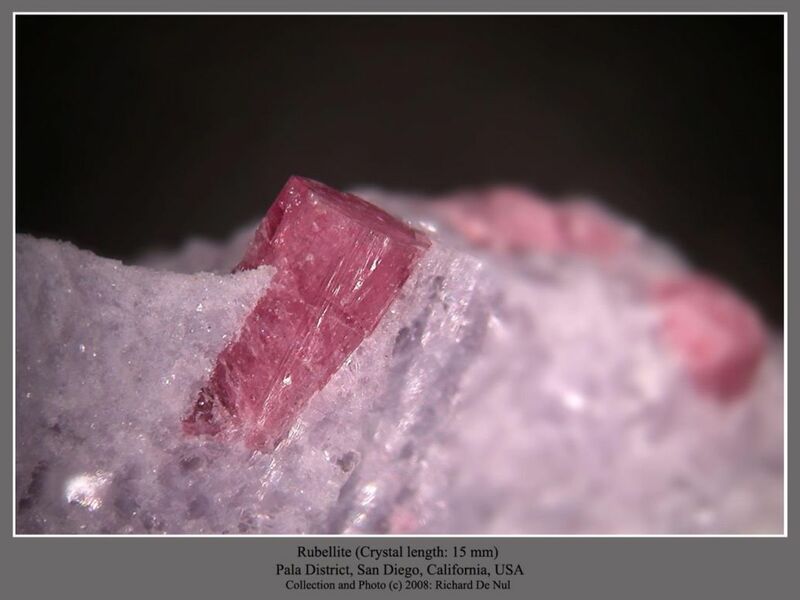 Rolling on from one hobby to another, I began exploring the possibilities of macro-photography of the mineral specimens in 2003. 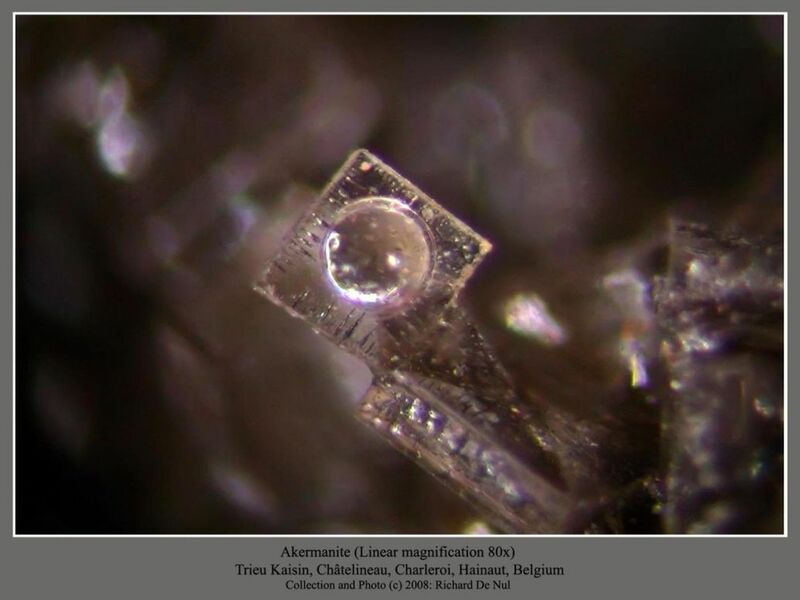 With a Russian-made MBC-10 microscope and a Nikon camera, I made the first astonishing photographs. 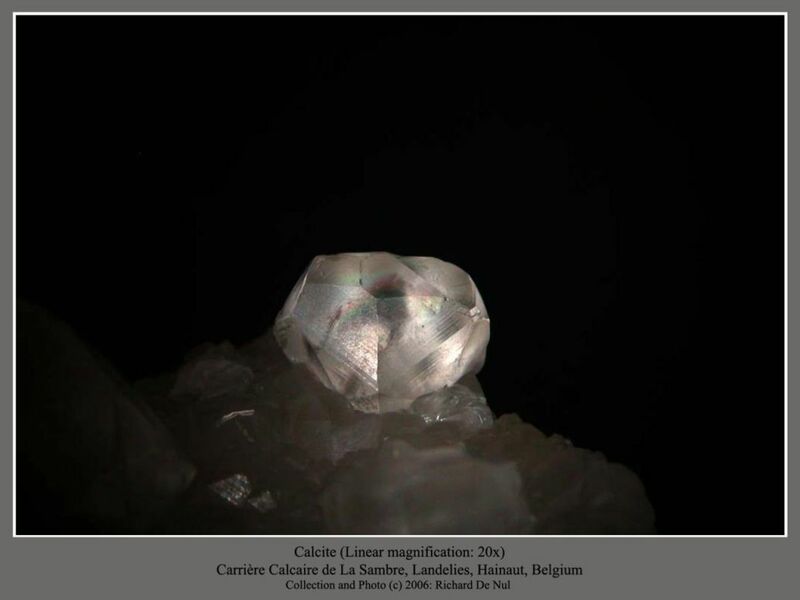 Very soon, however, I had reached the limits of this technology and became even more ambitious! 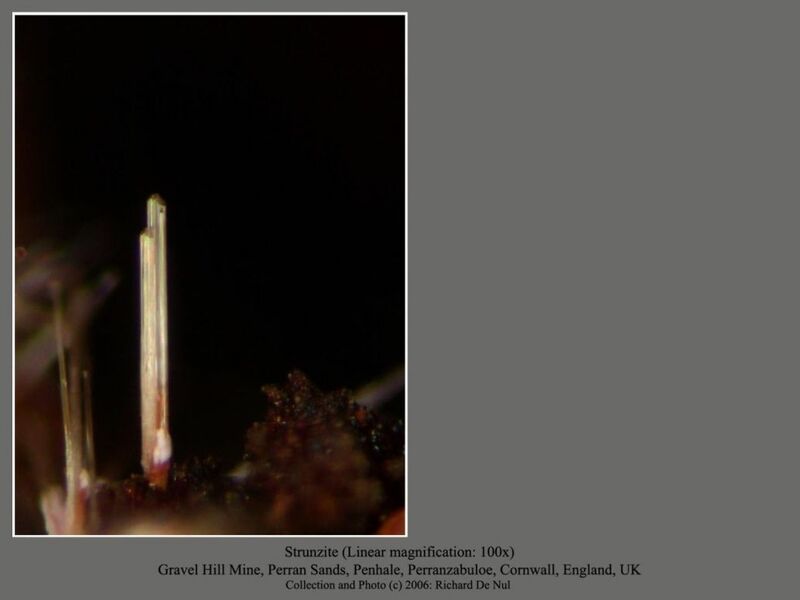 Having obtained a Zeiss Stemi 2000c microscope and undertaken extensive training. 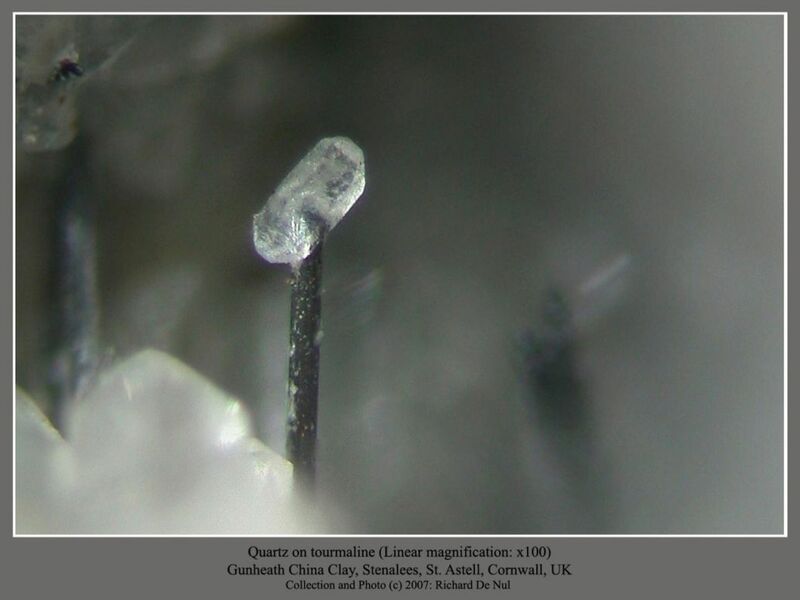 A lot of practice resulted in considerable refinement of the technique and thus results. 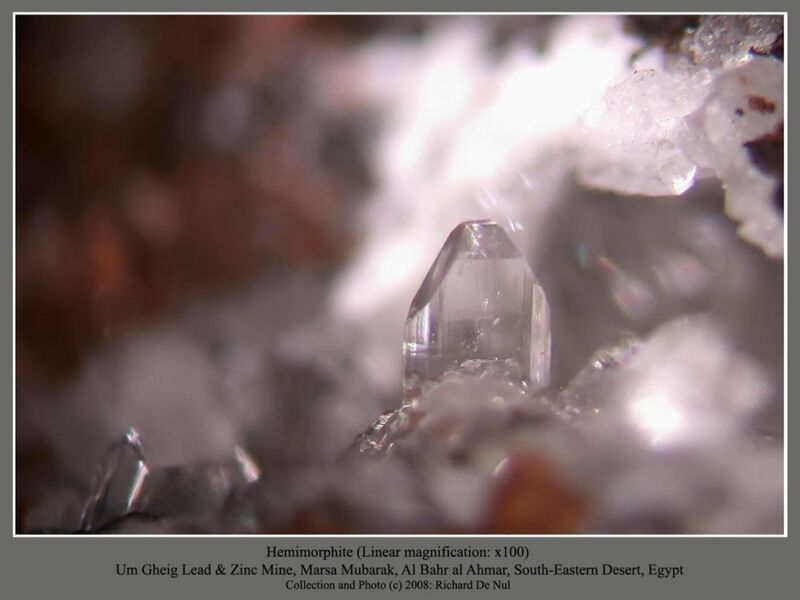 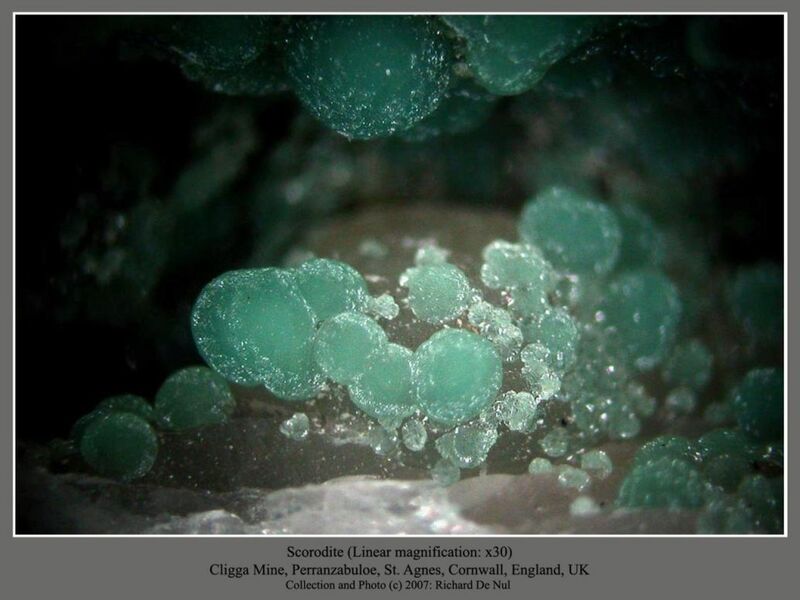 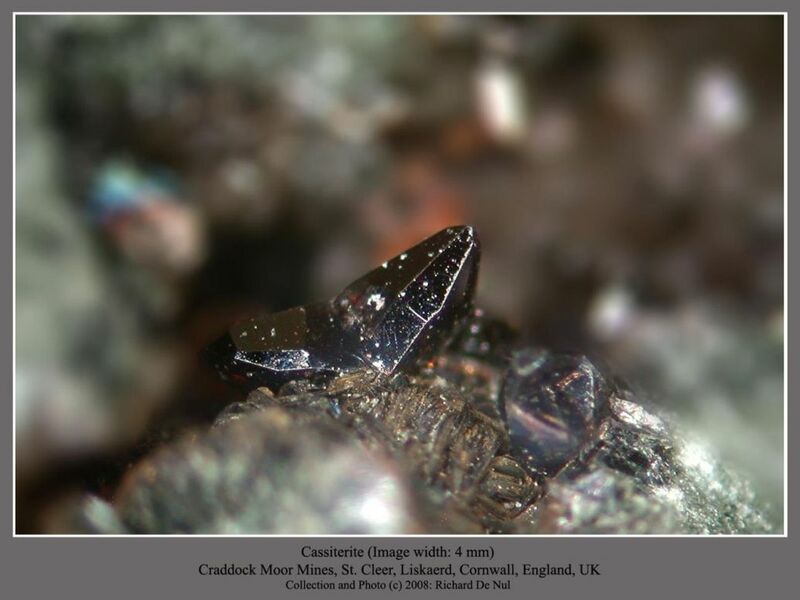 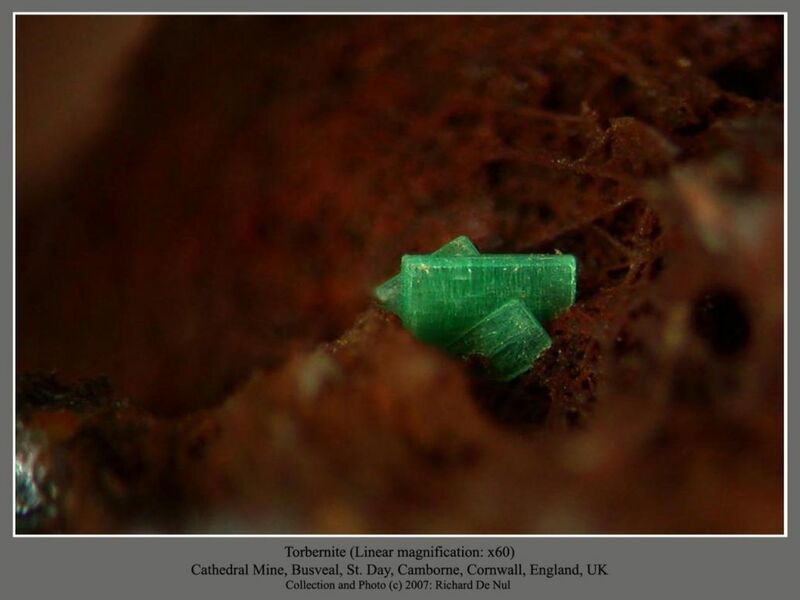 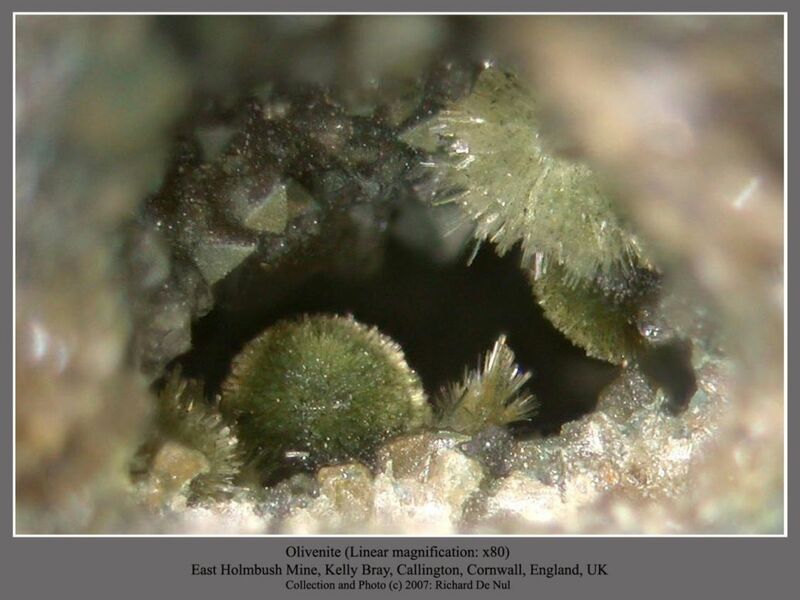 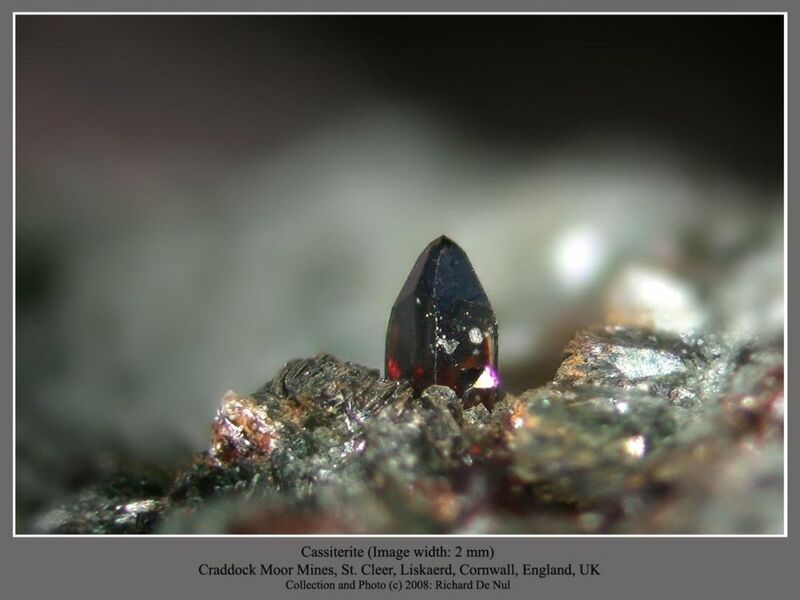 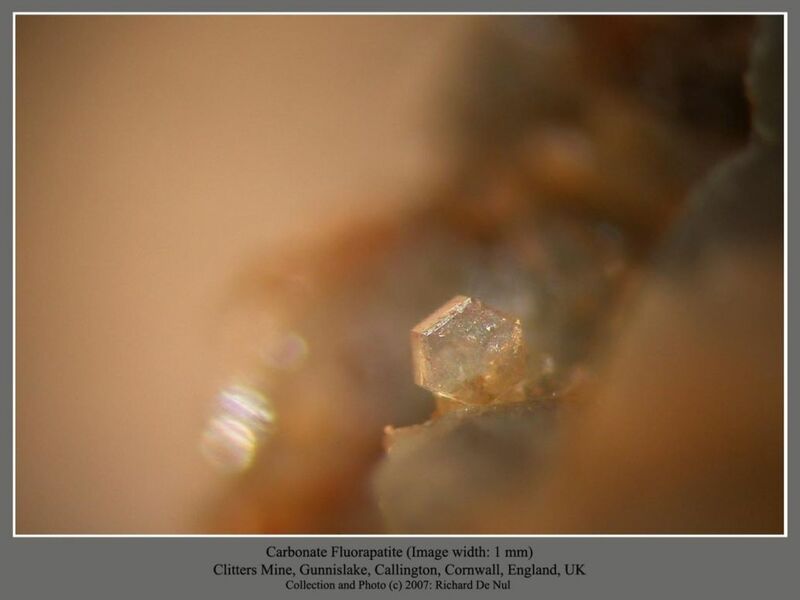 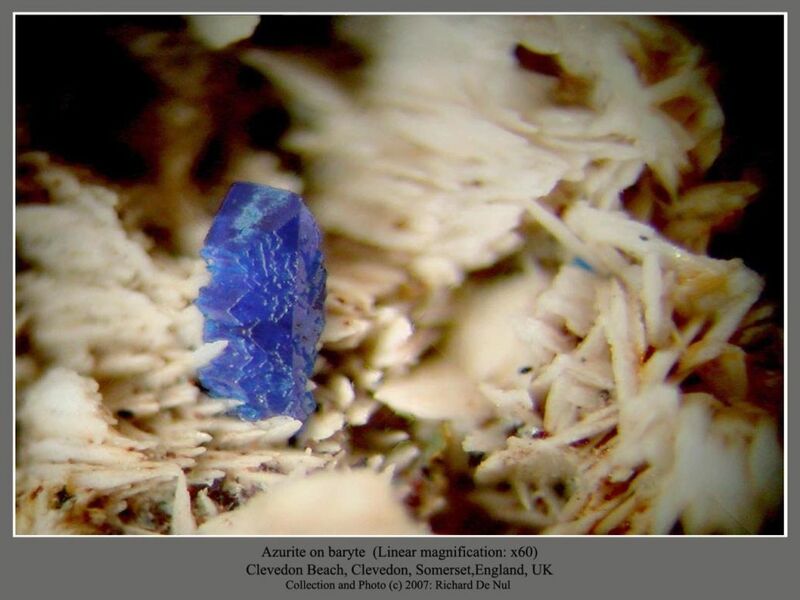 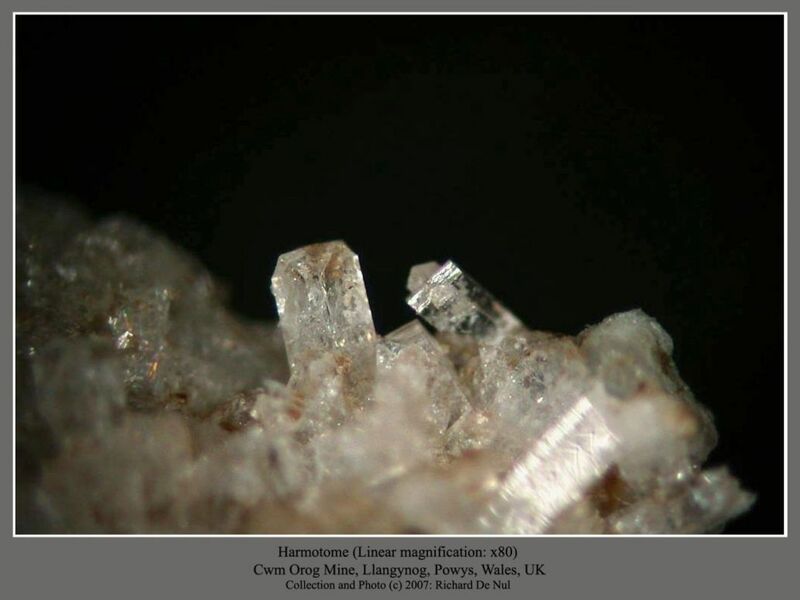 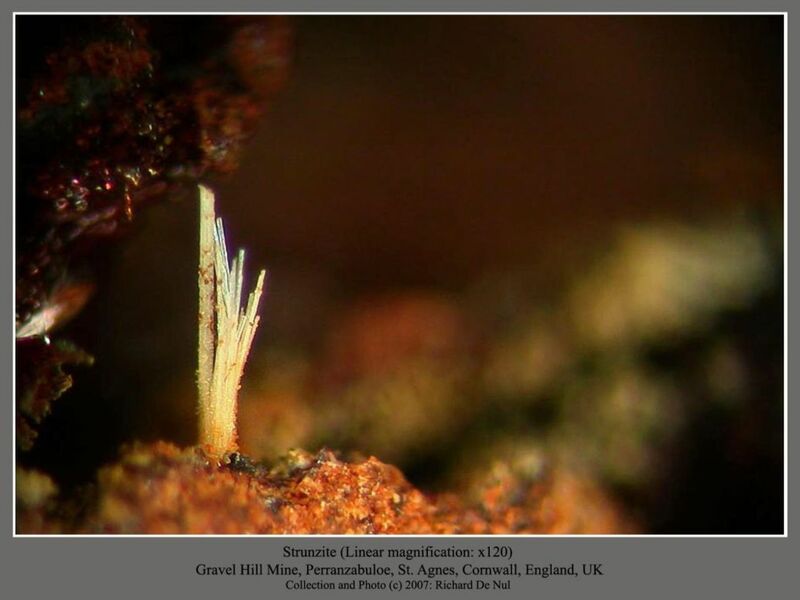 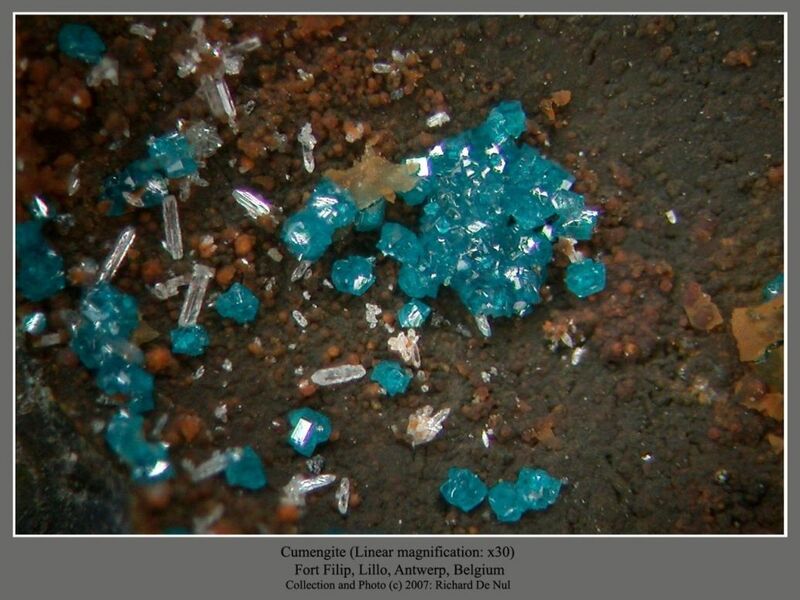 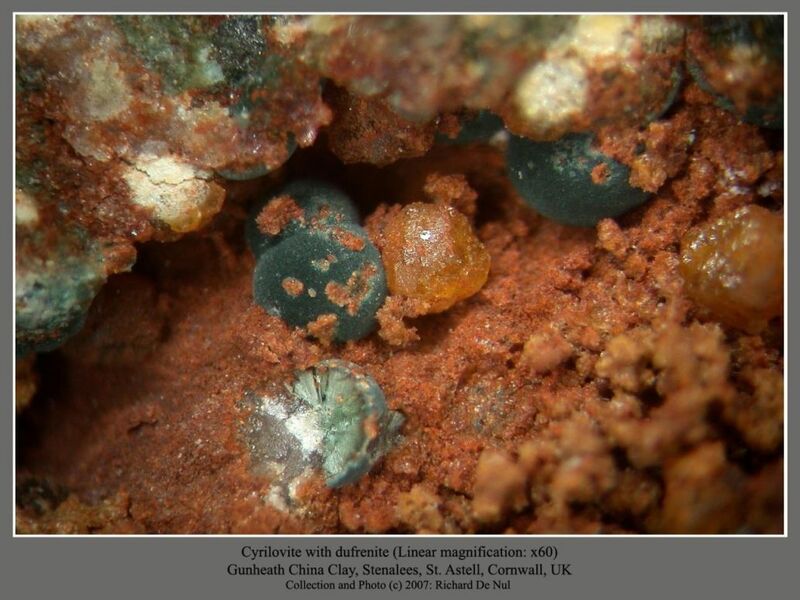 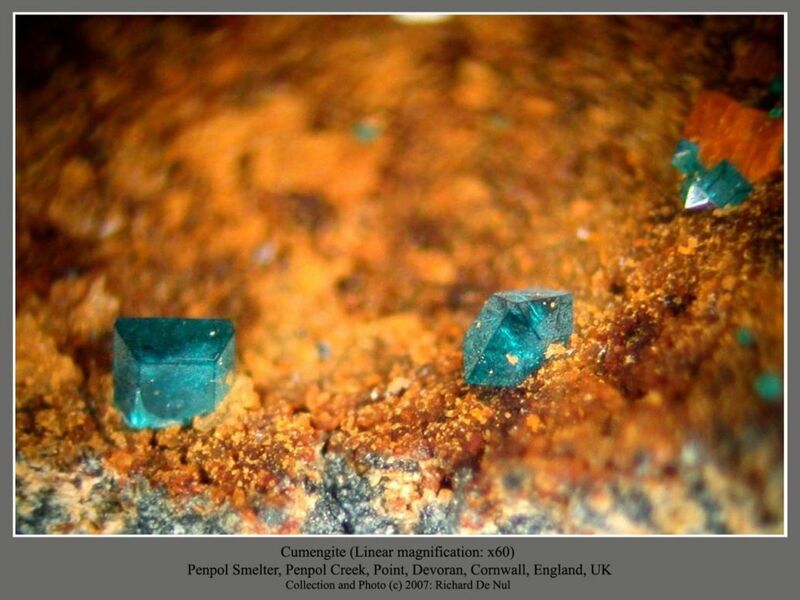 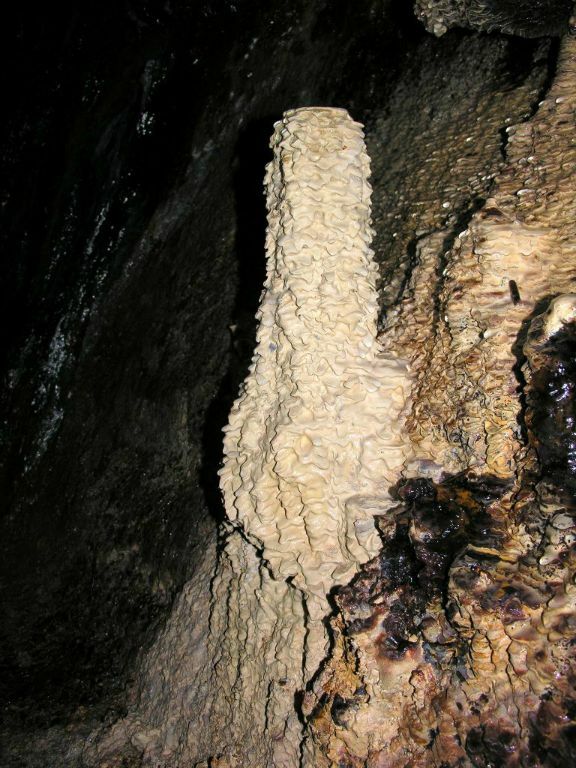 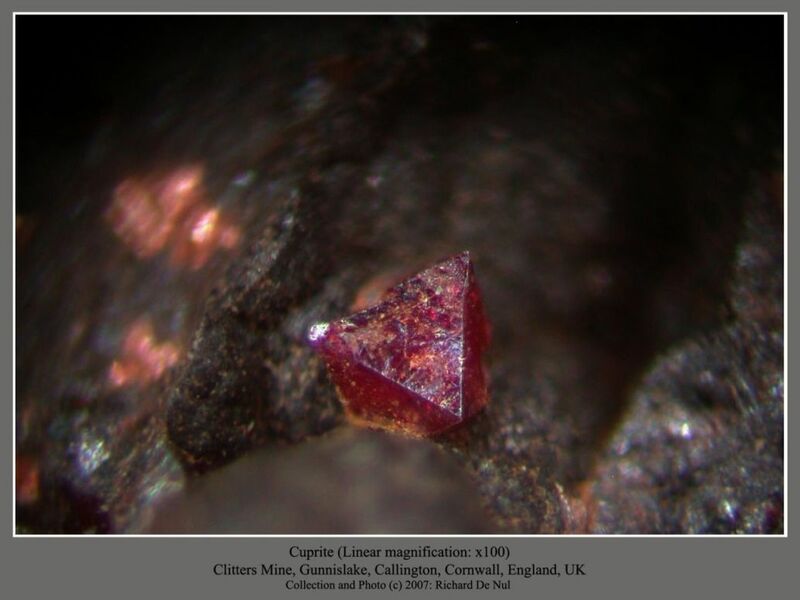 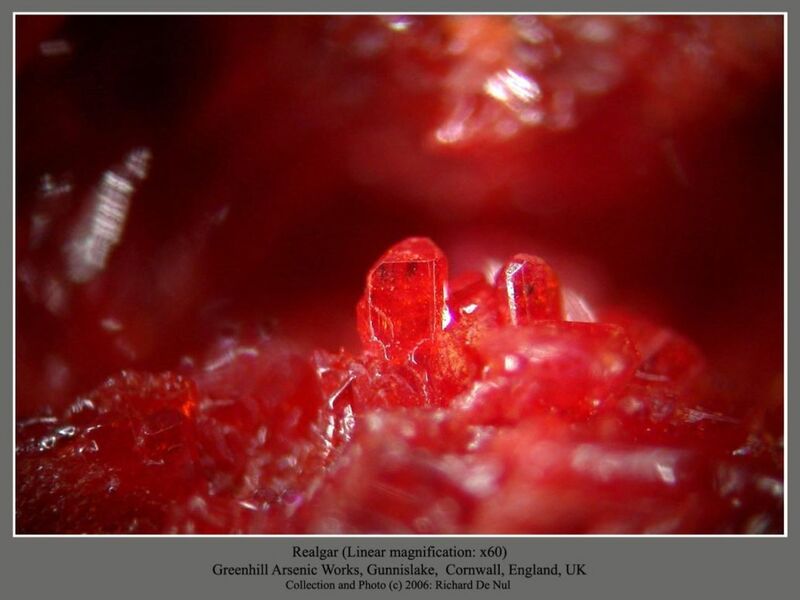 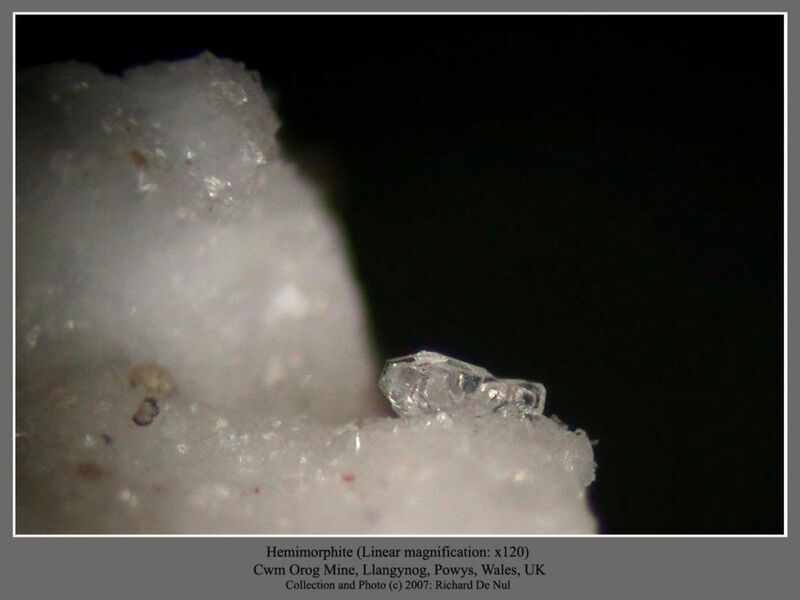 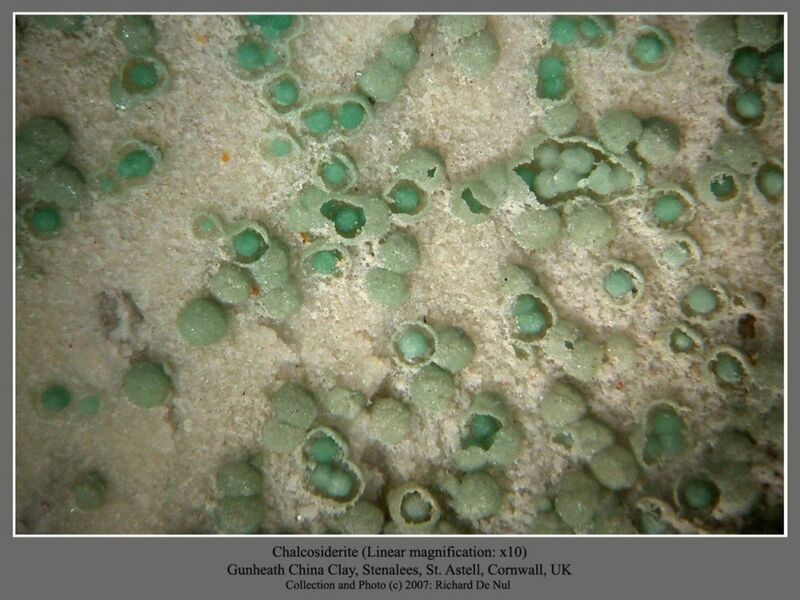 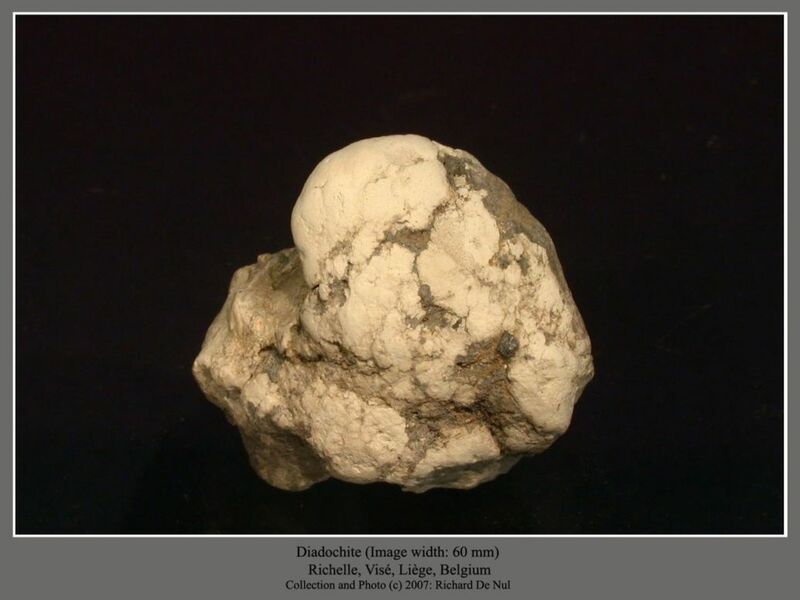 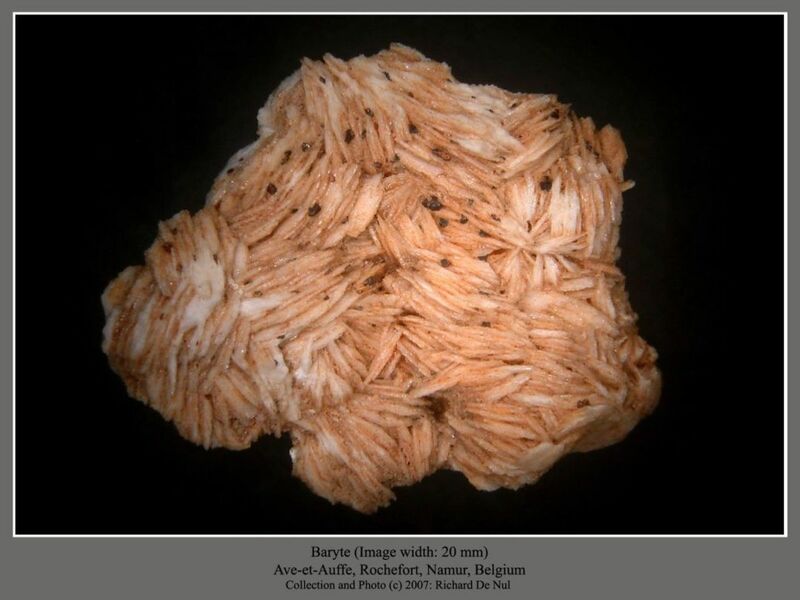 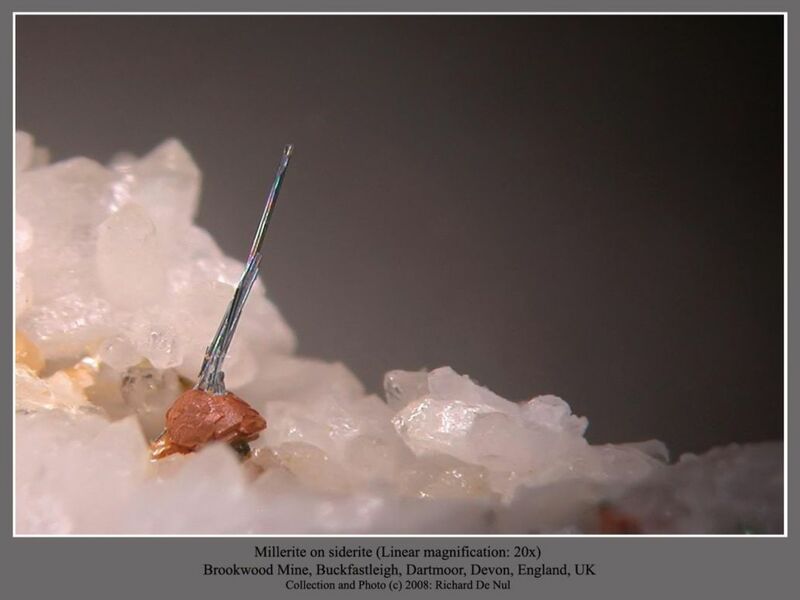 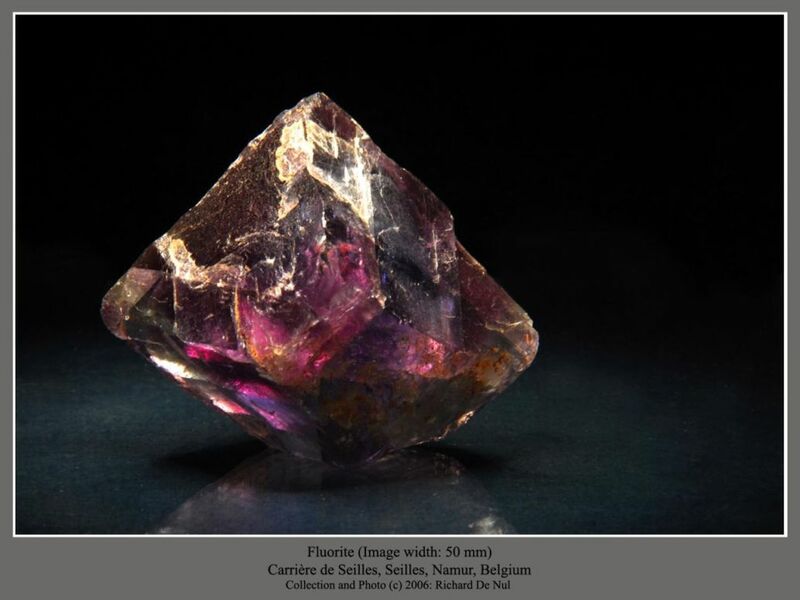 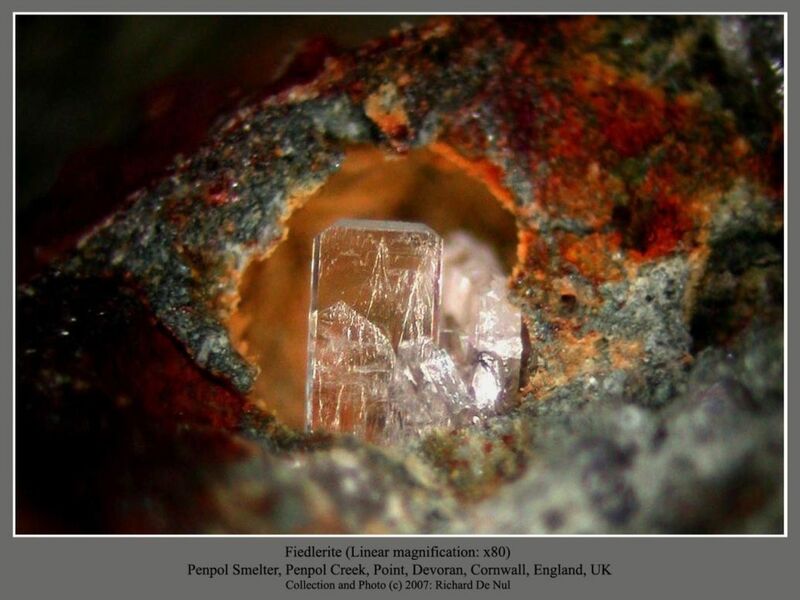 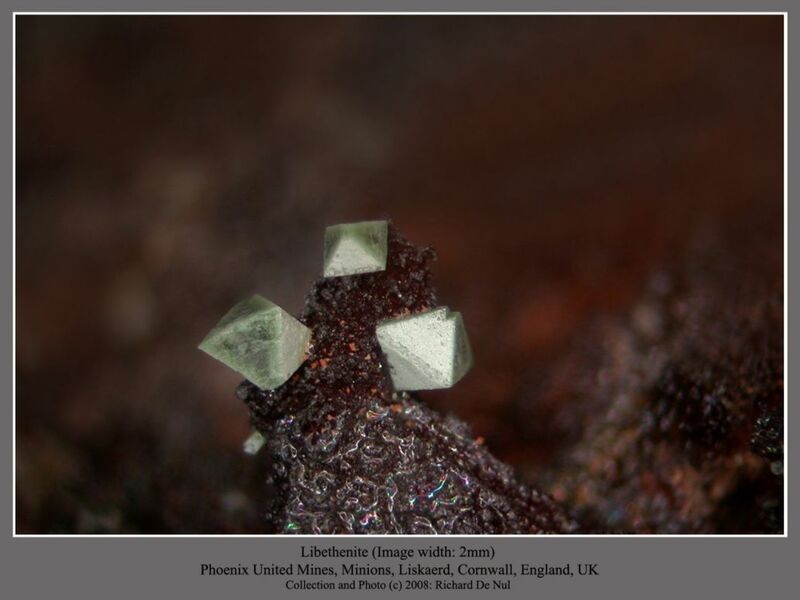 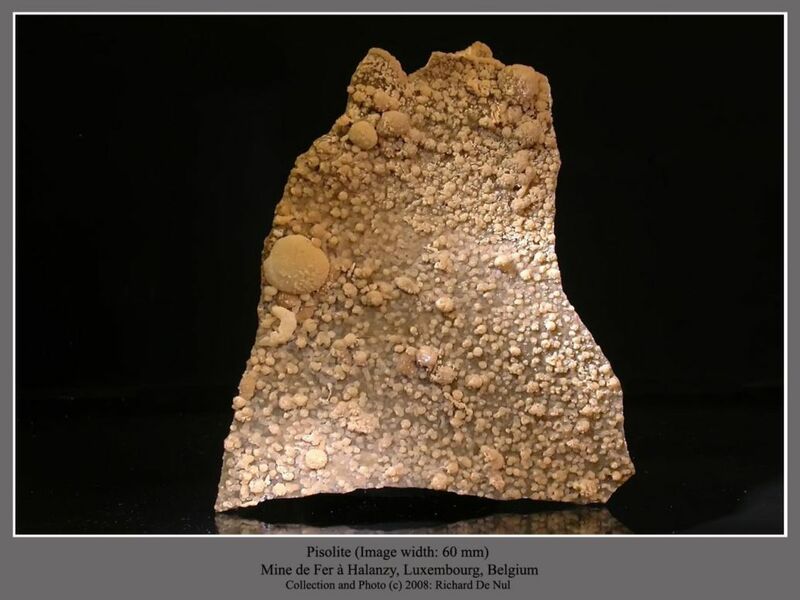 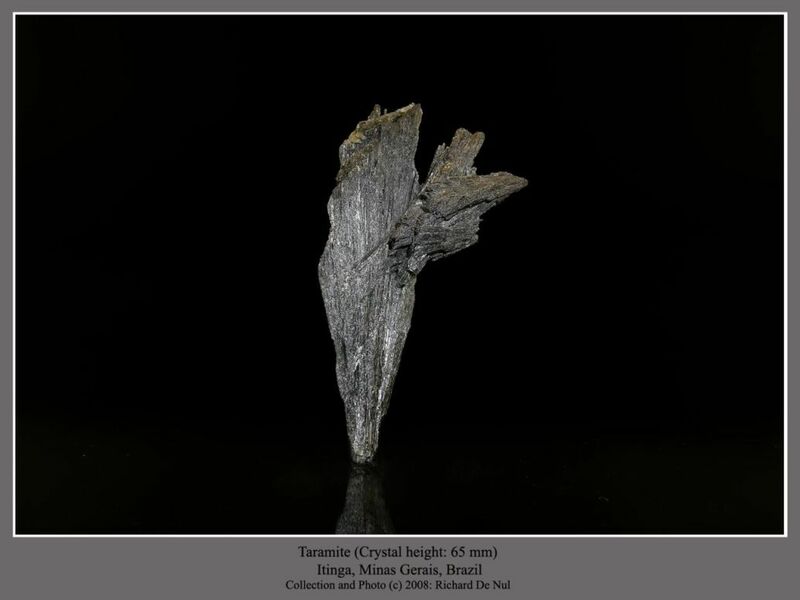 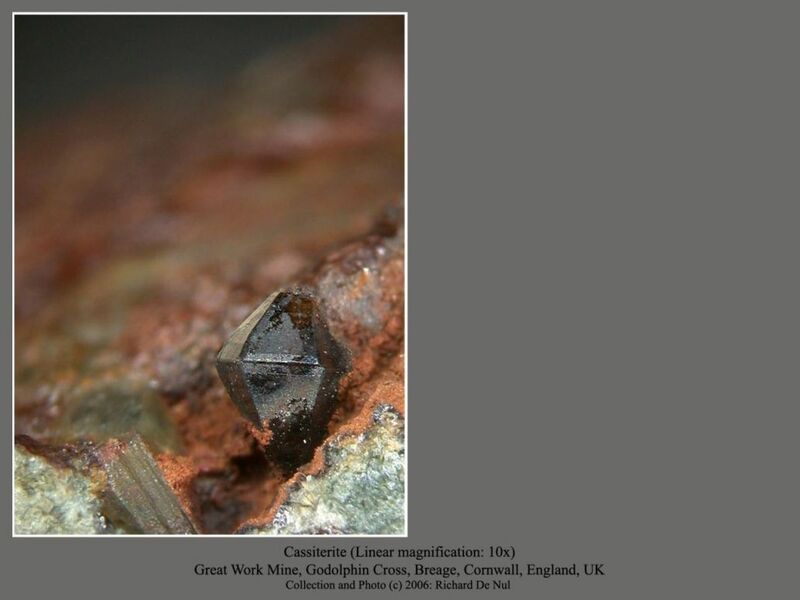 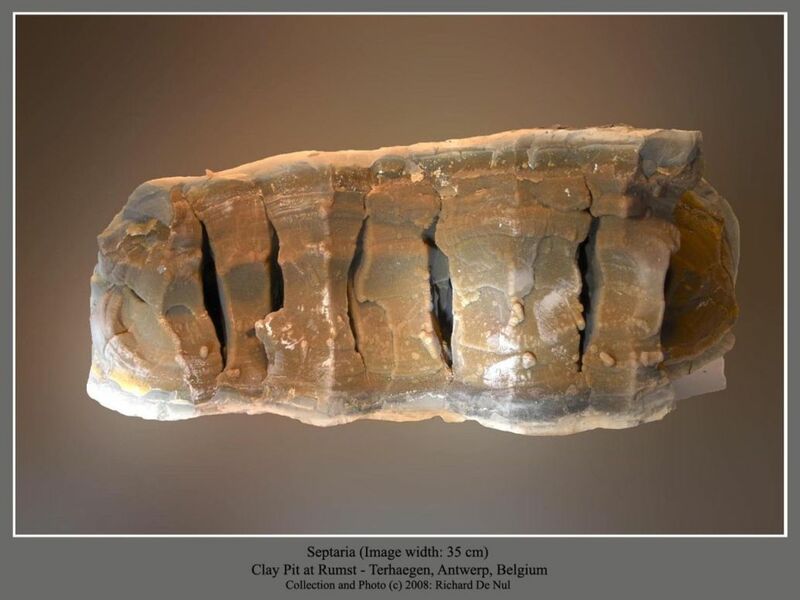 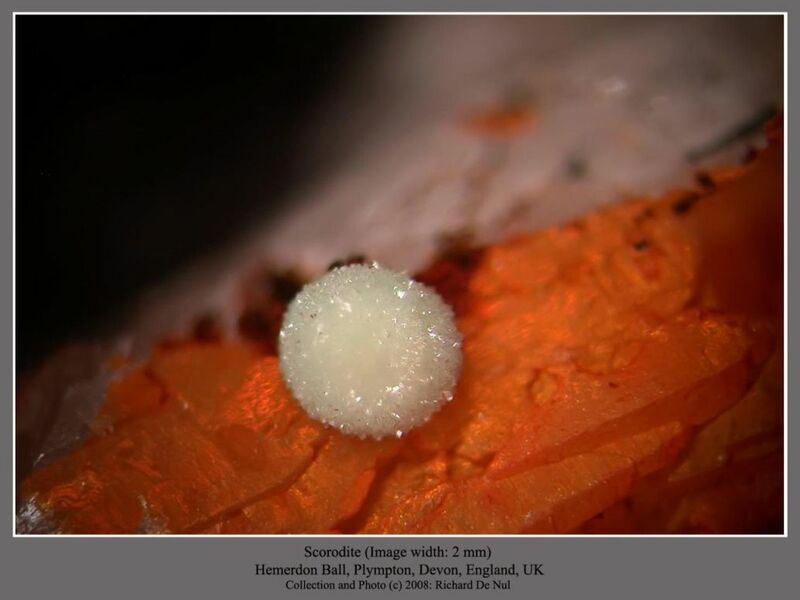 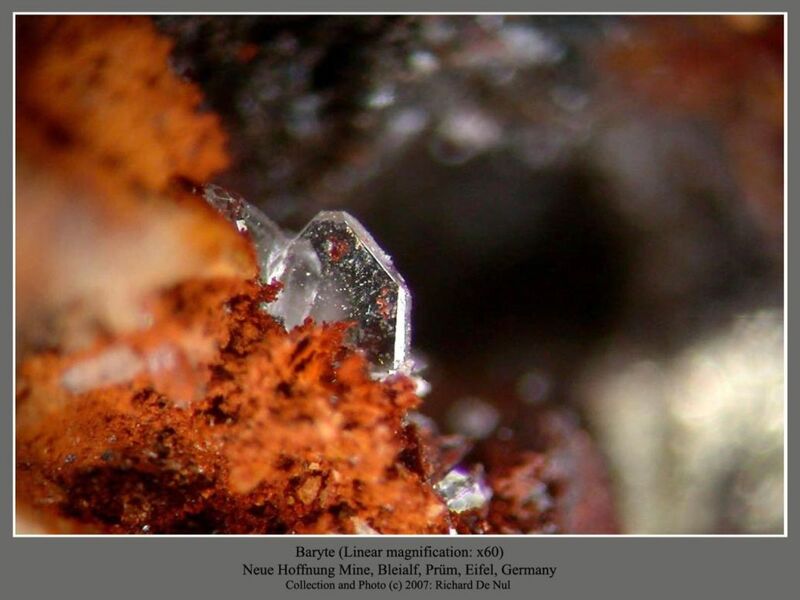 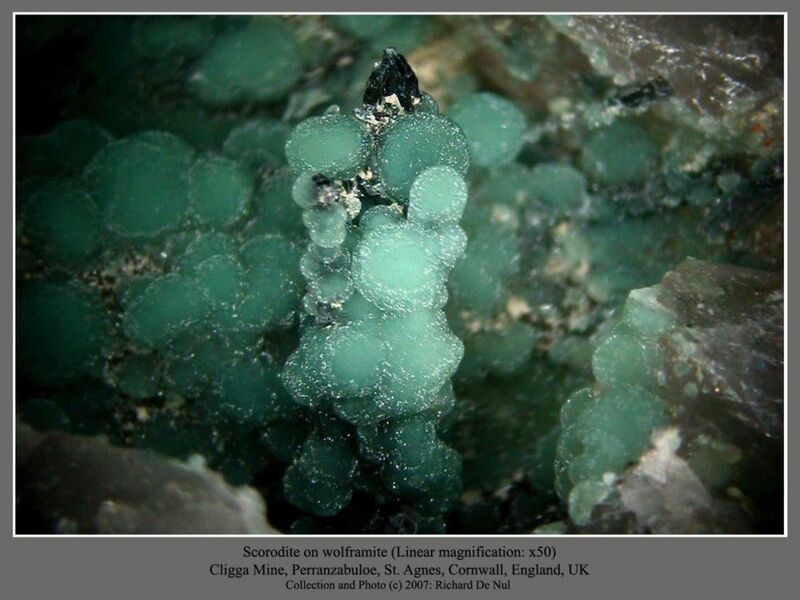 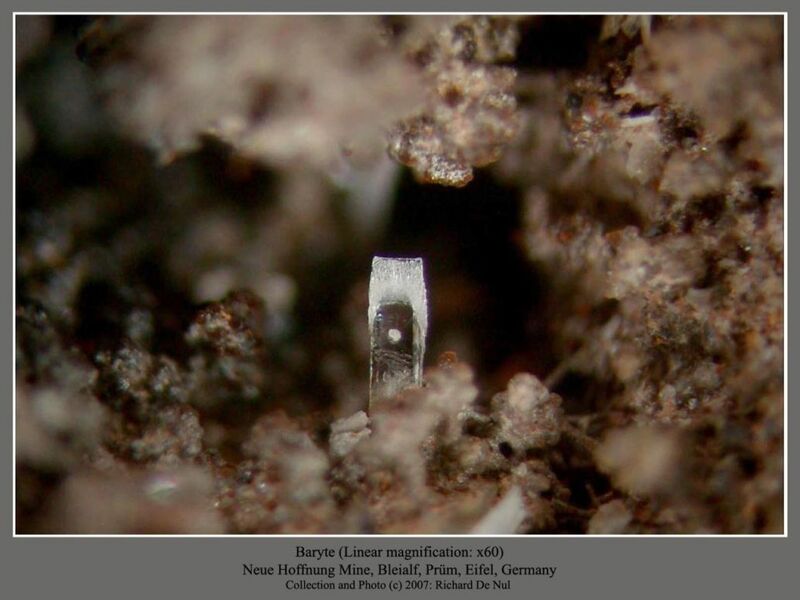 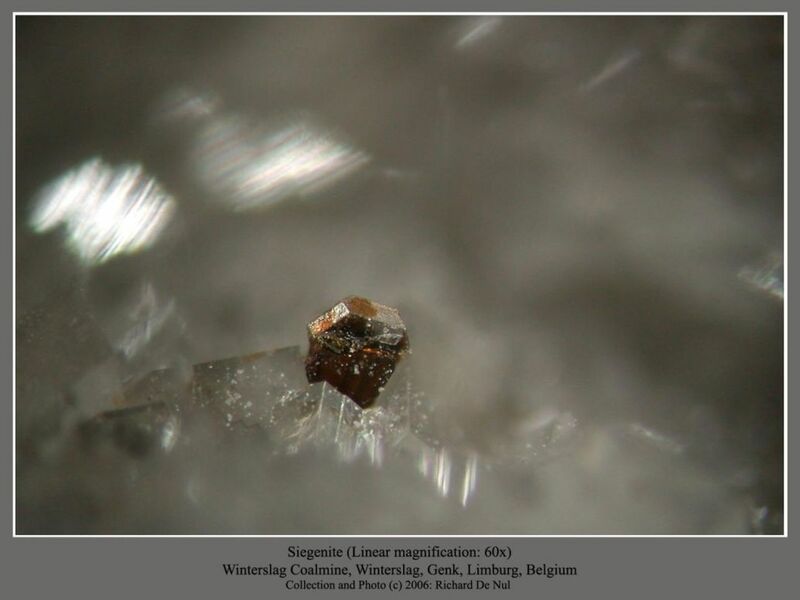 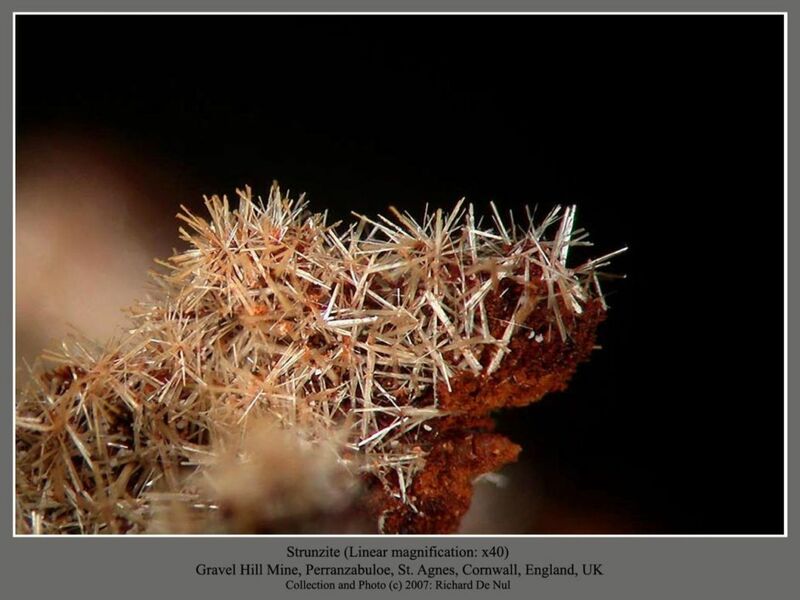 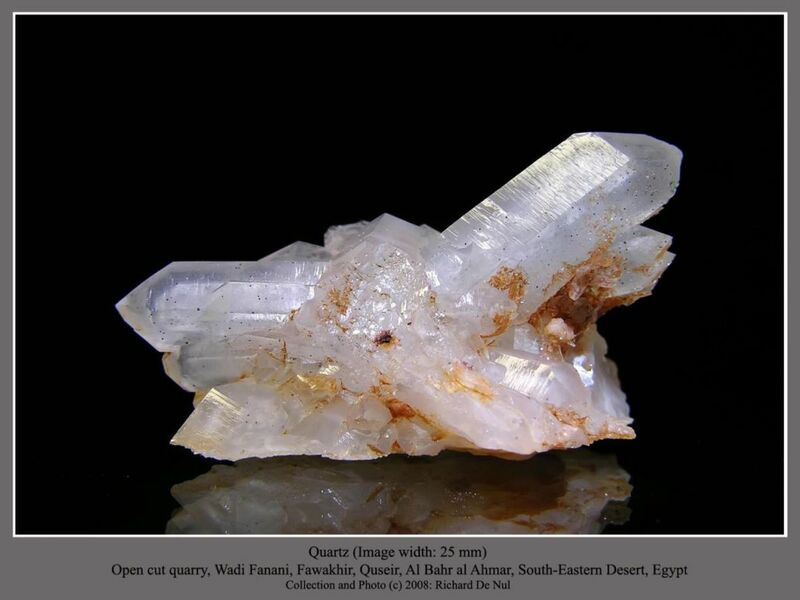 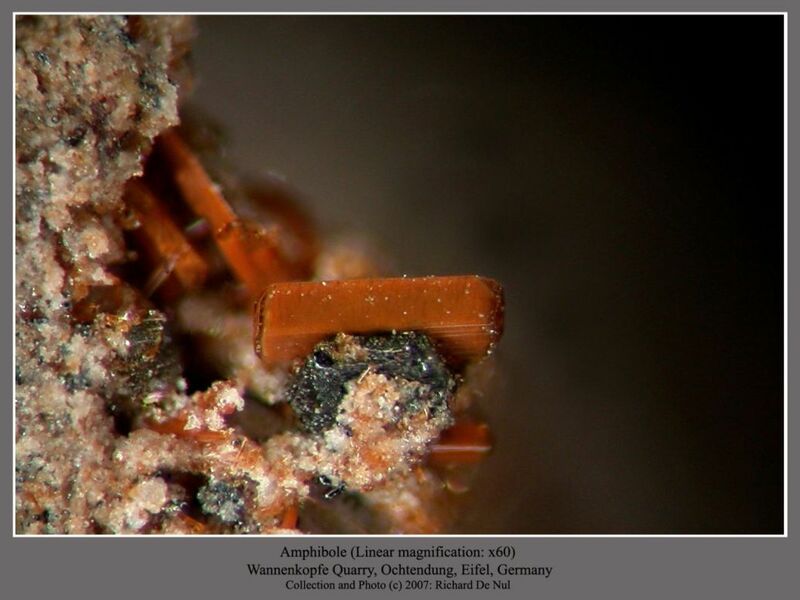 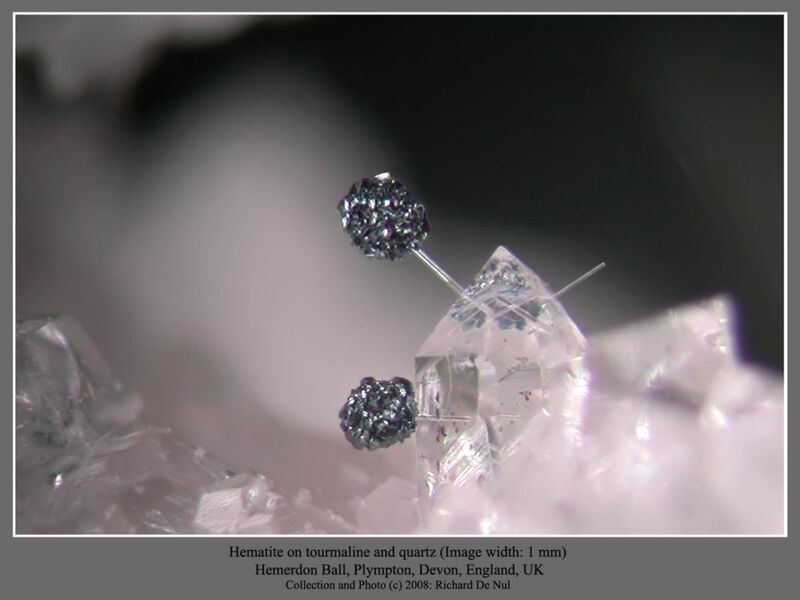 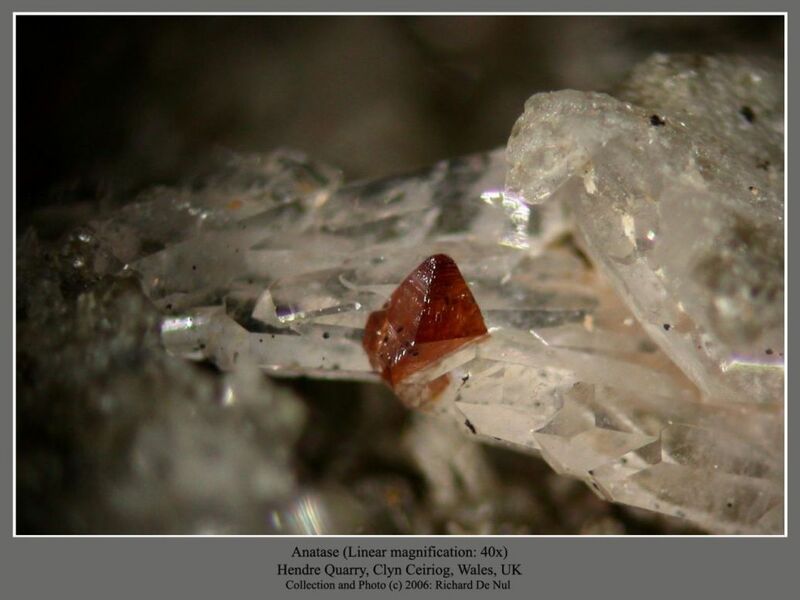 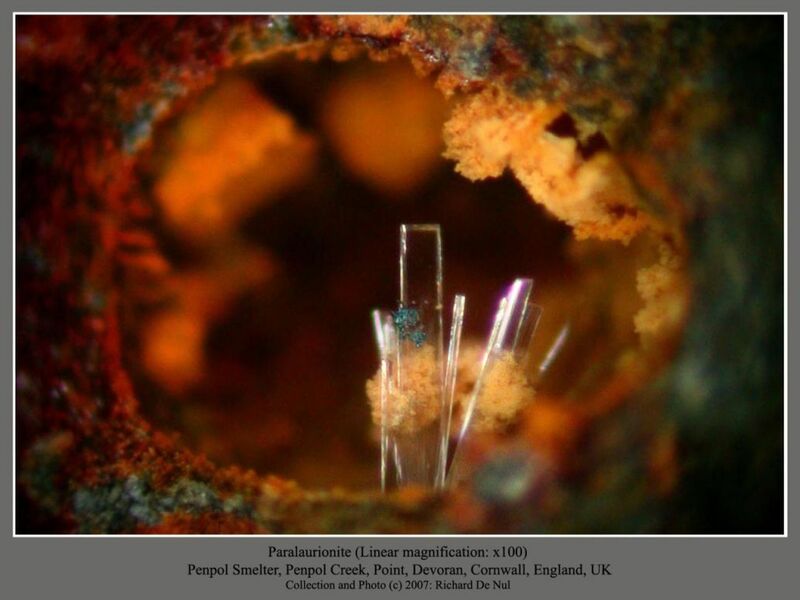 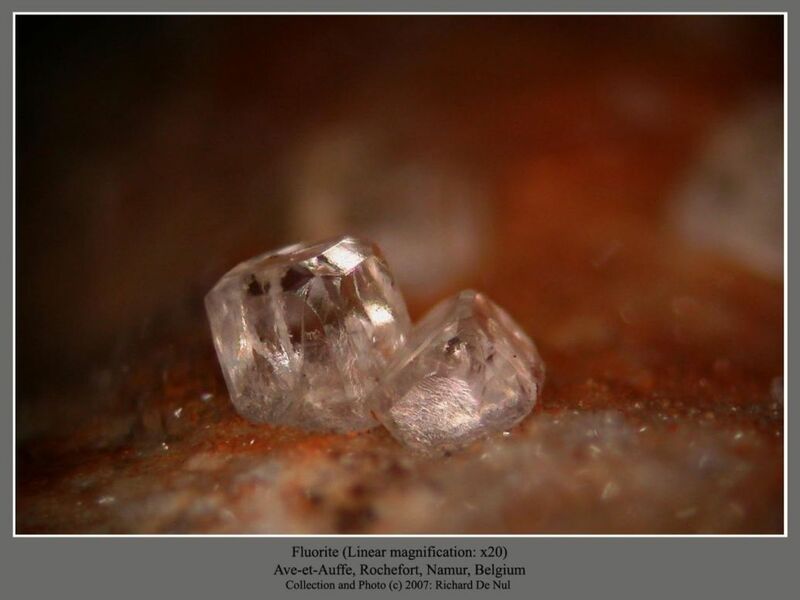 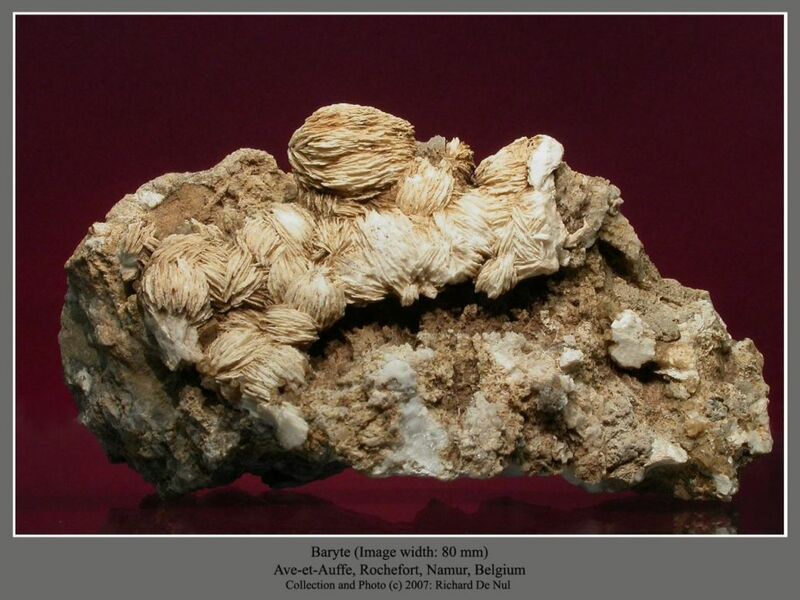 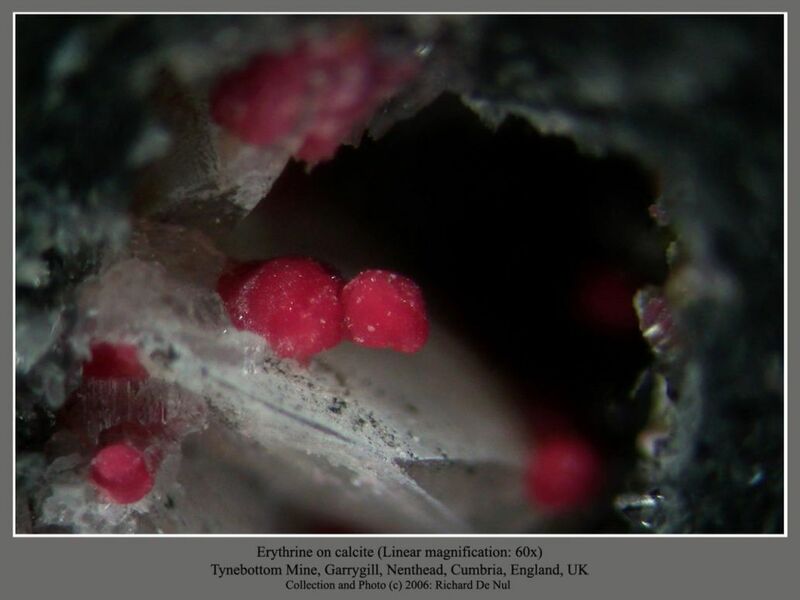 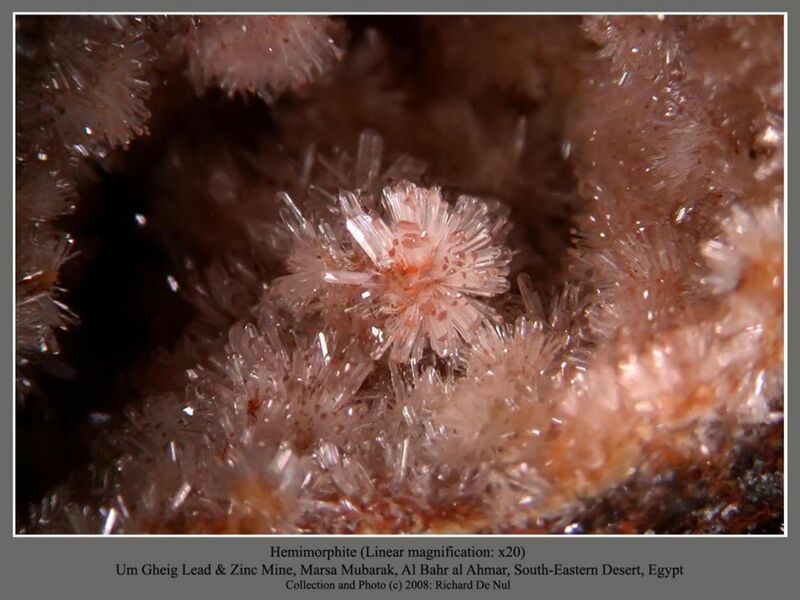 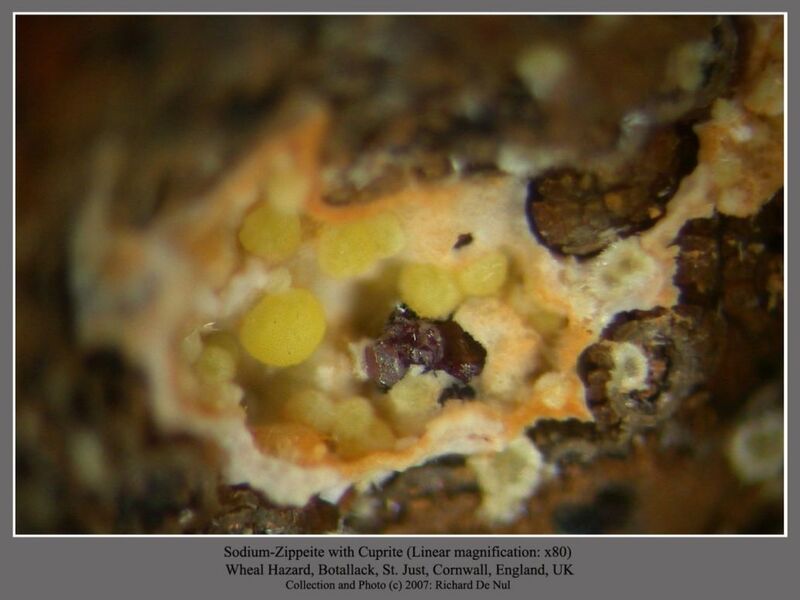 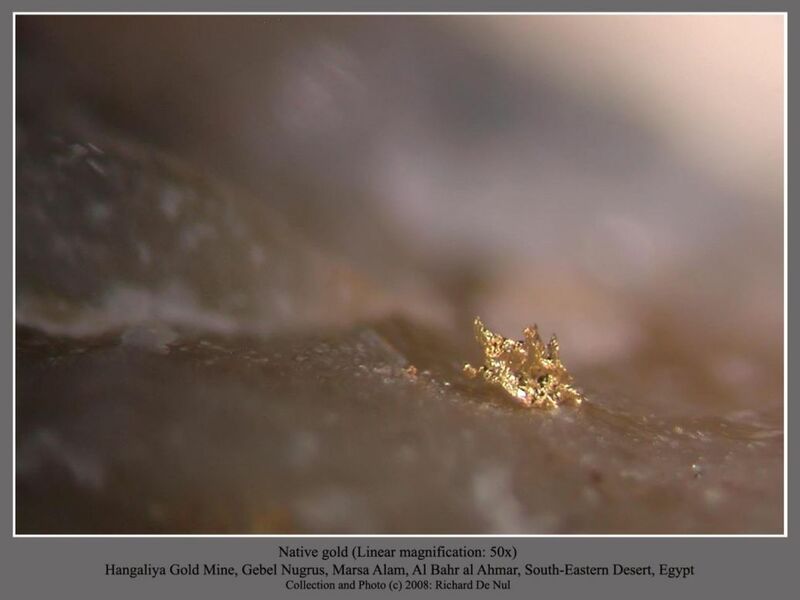 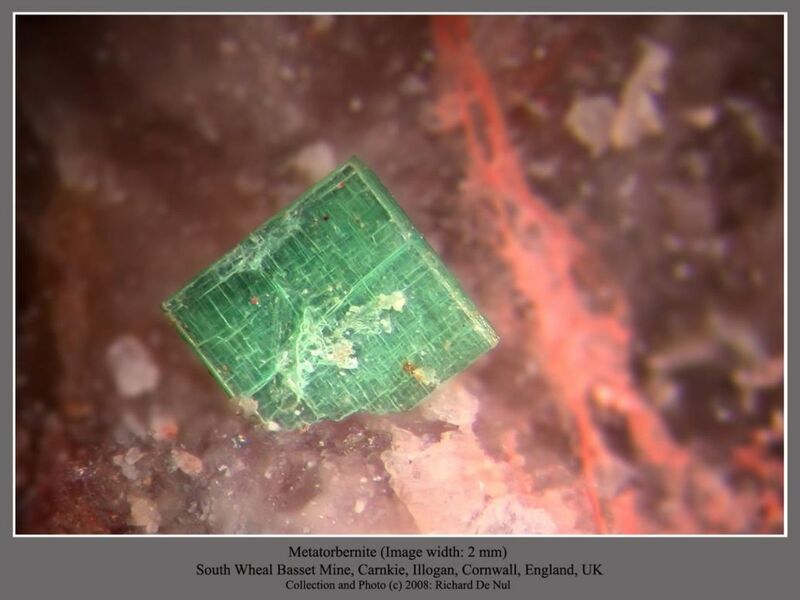 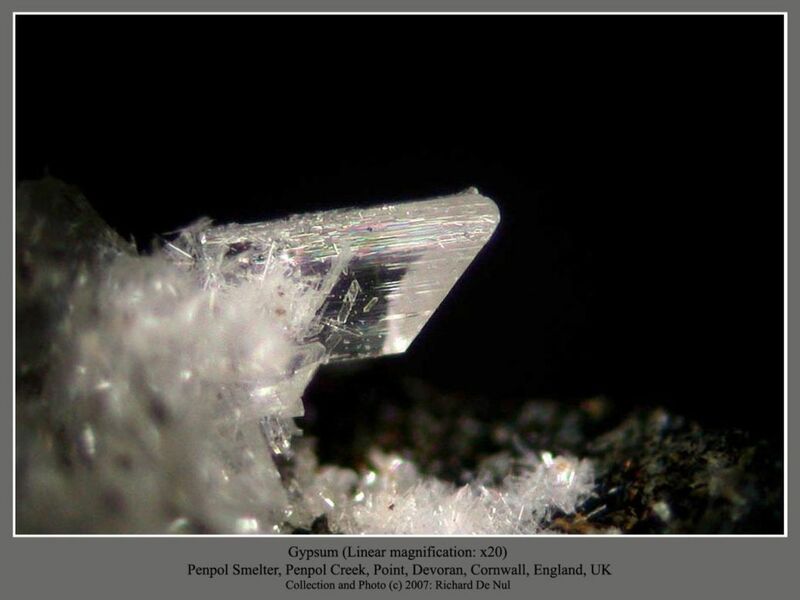 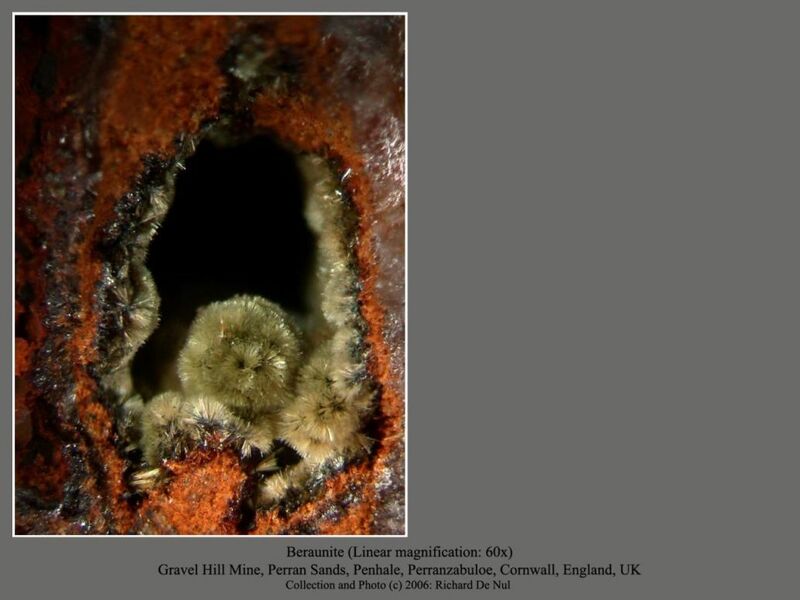 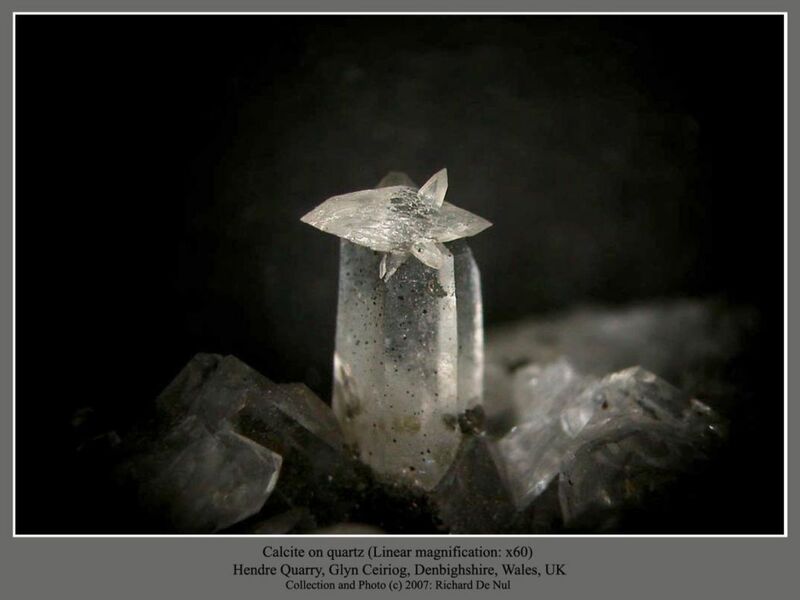 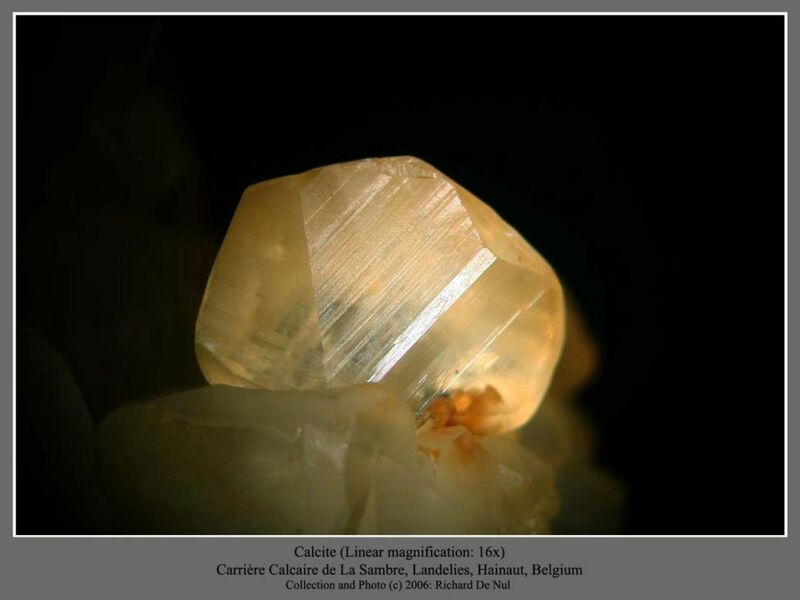 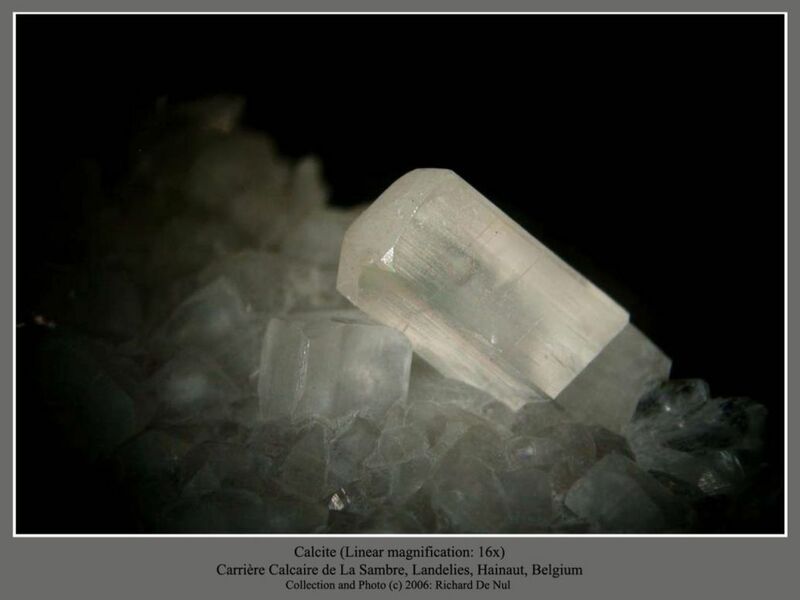 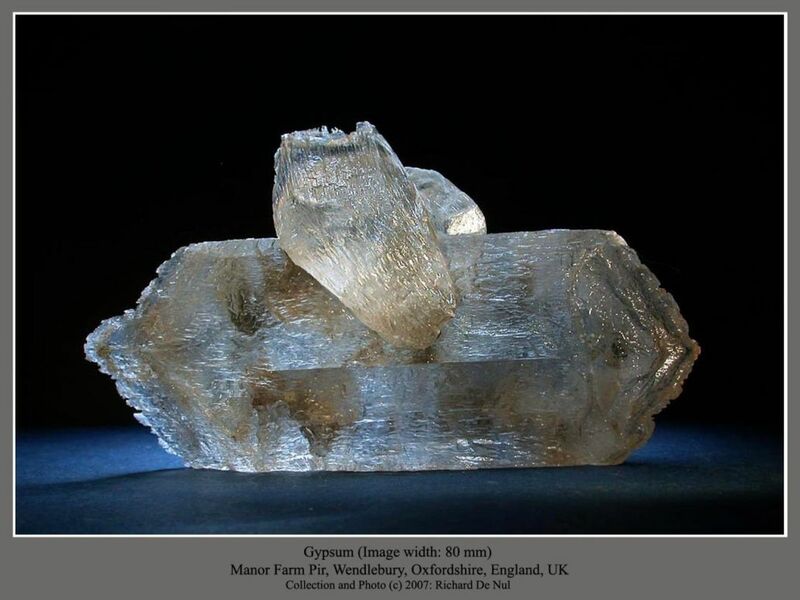 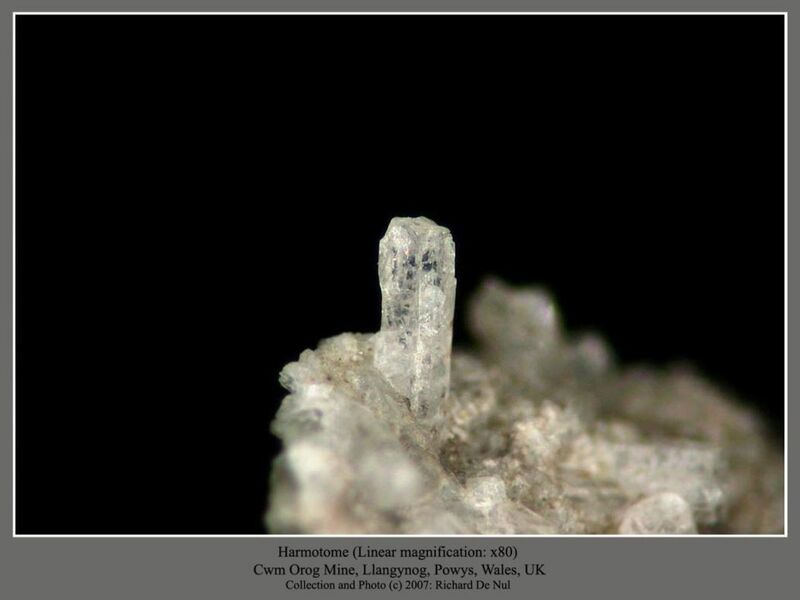 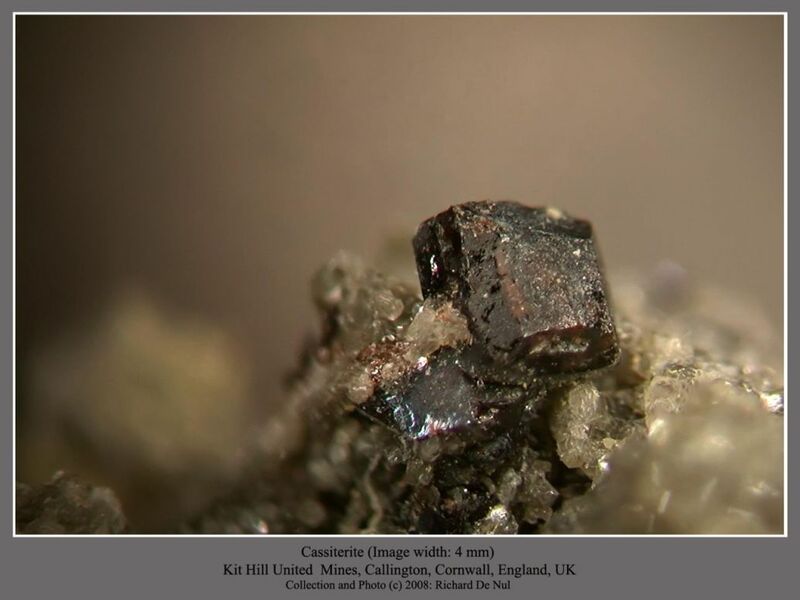 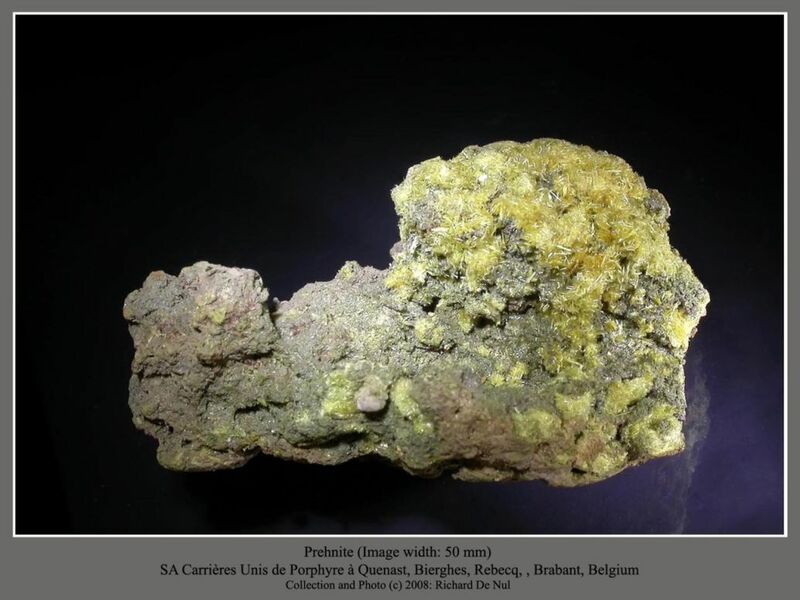 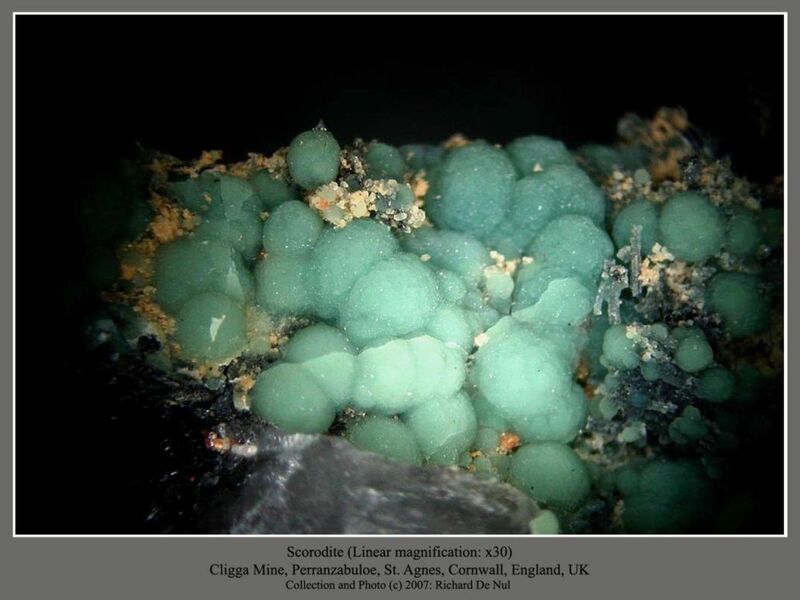 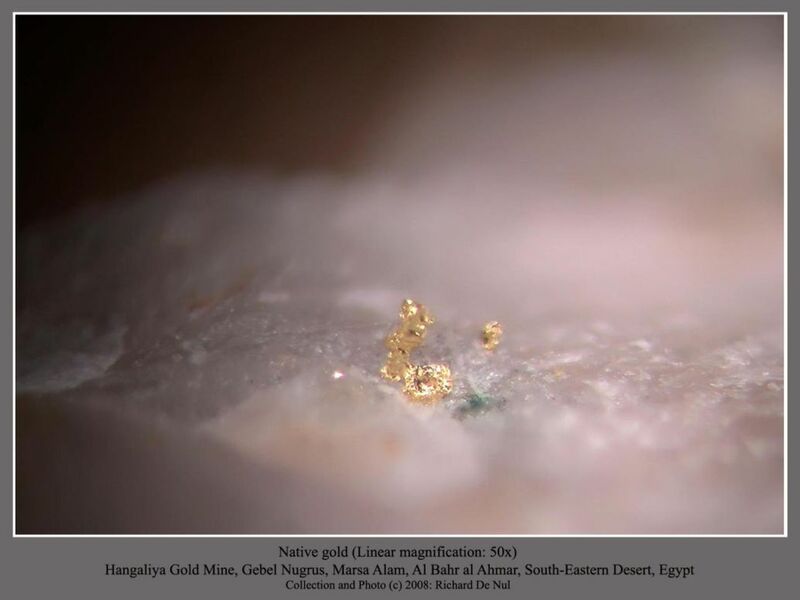 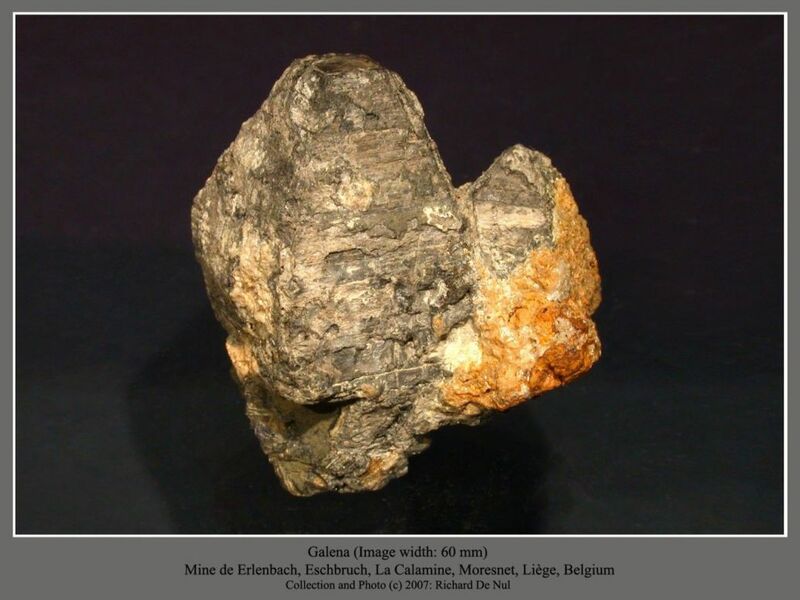 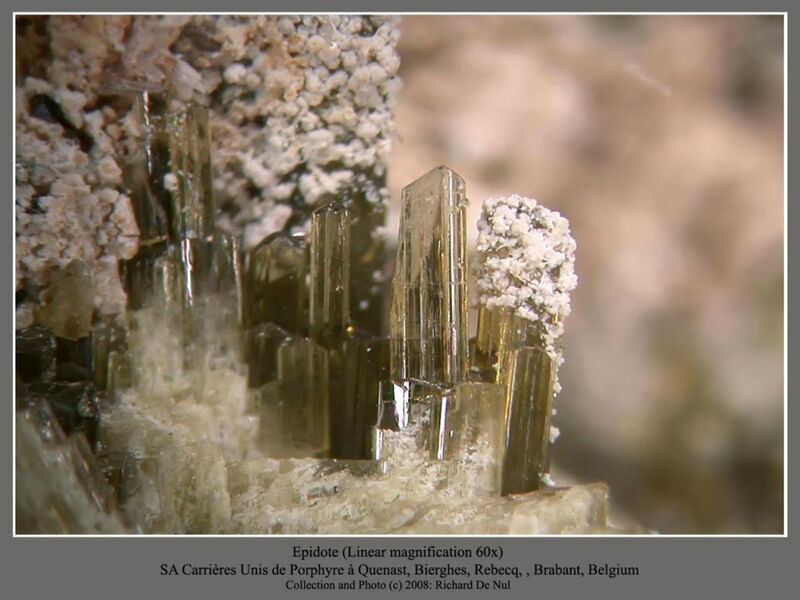 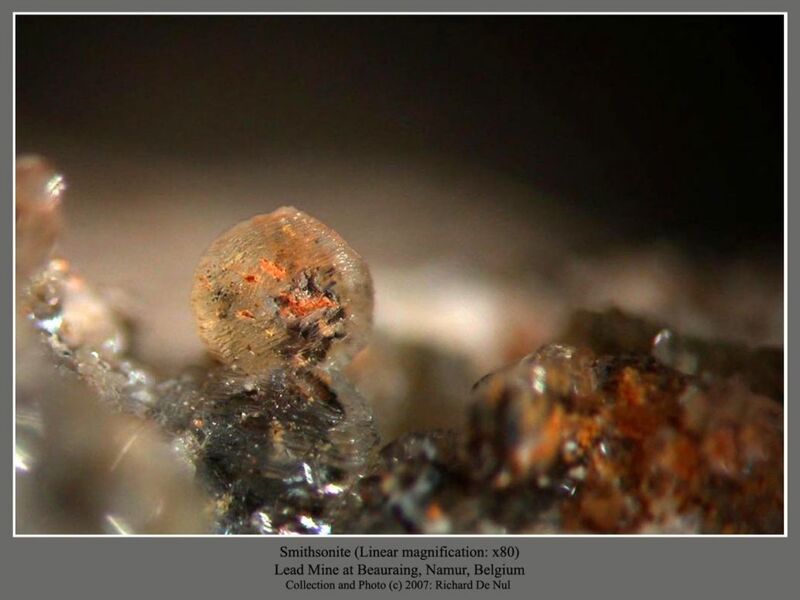 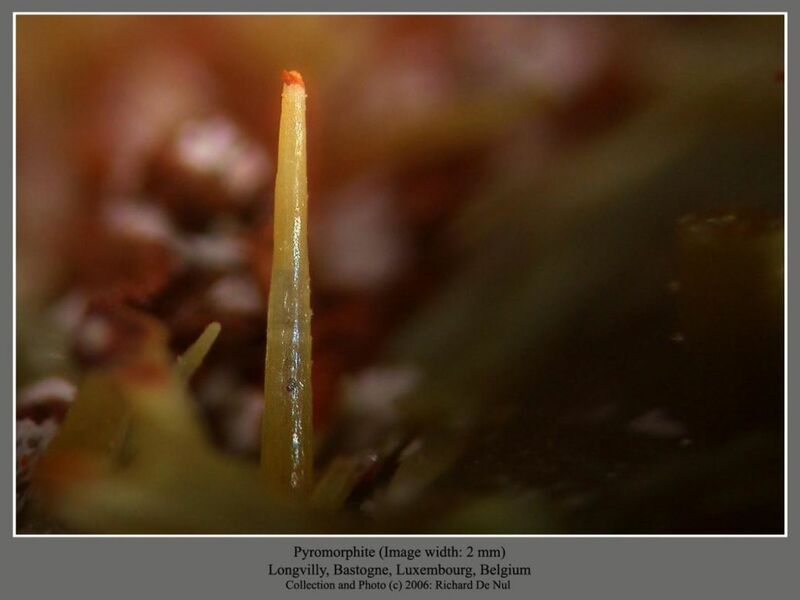 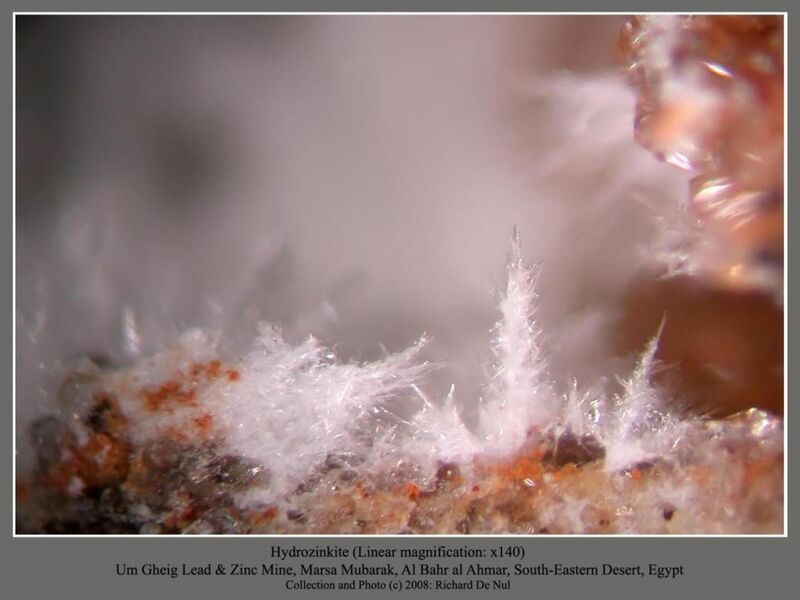 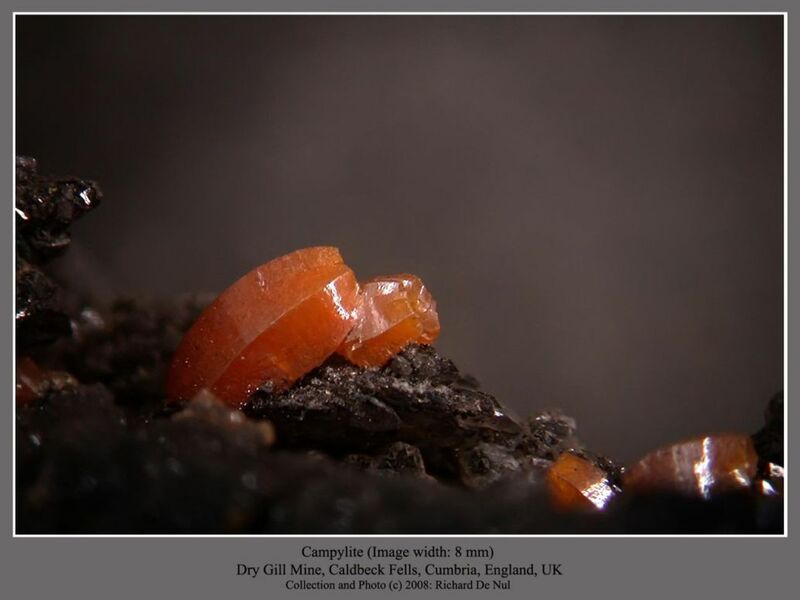 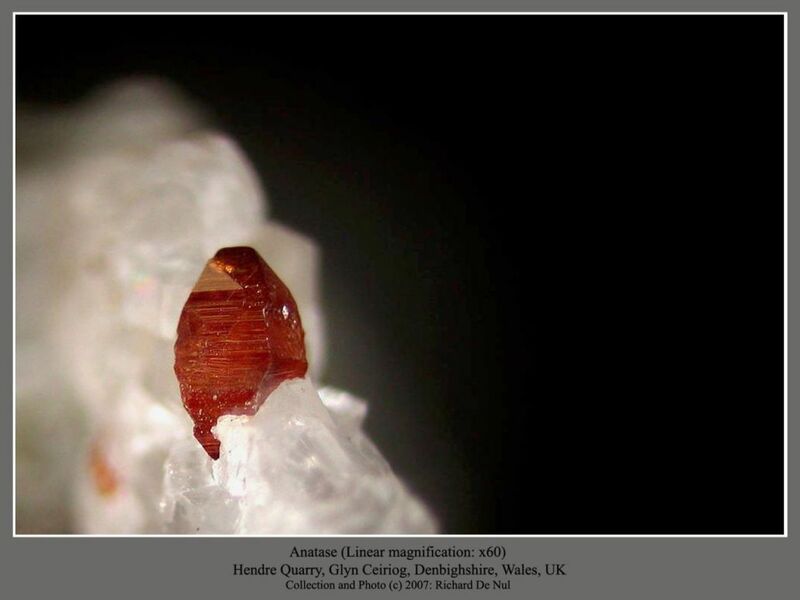 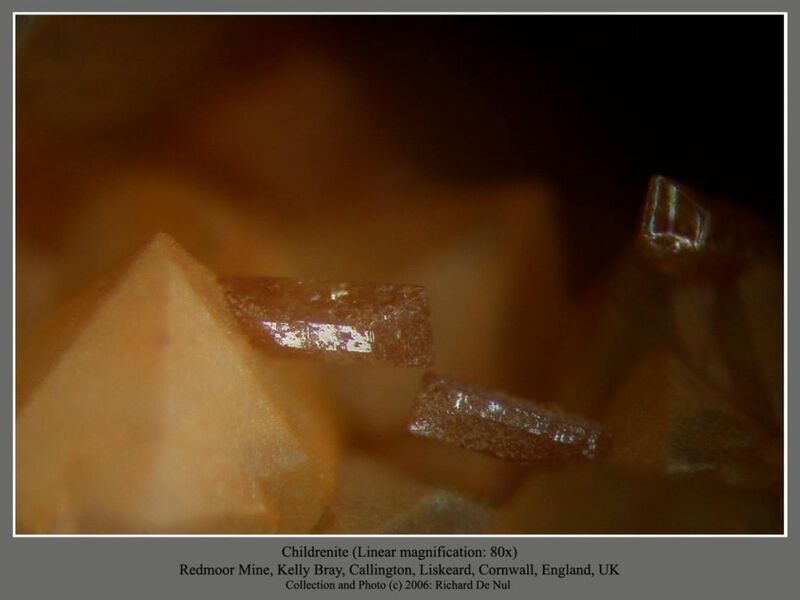 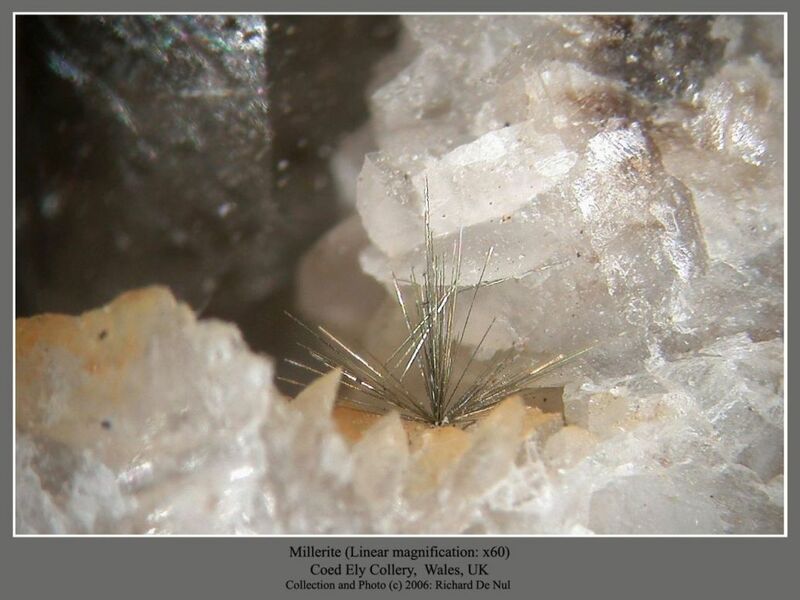 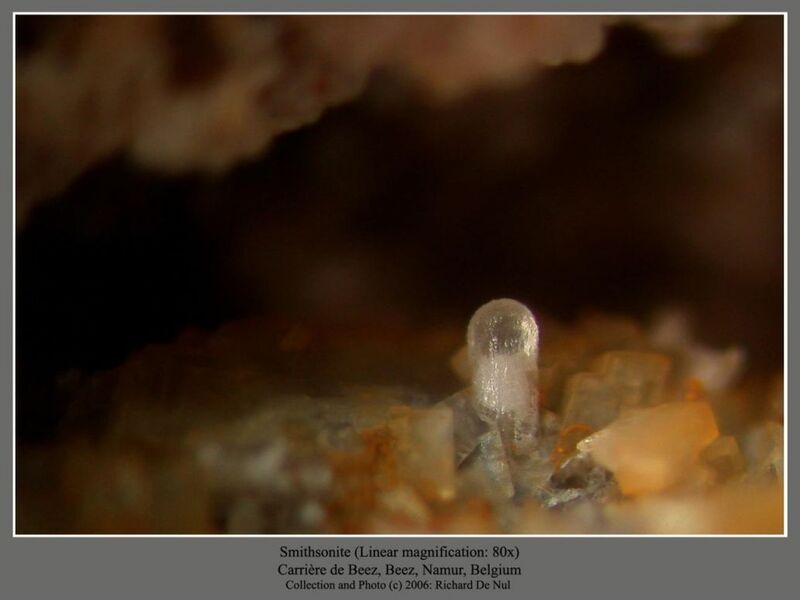 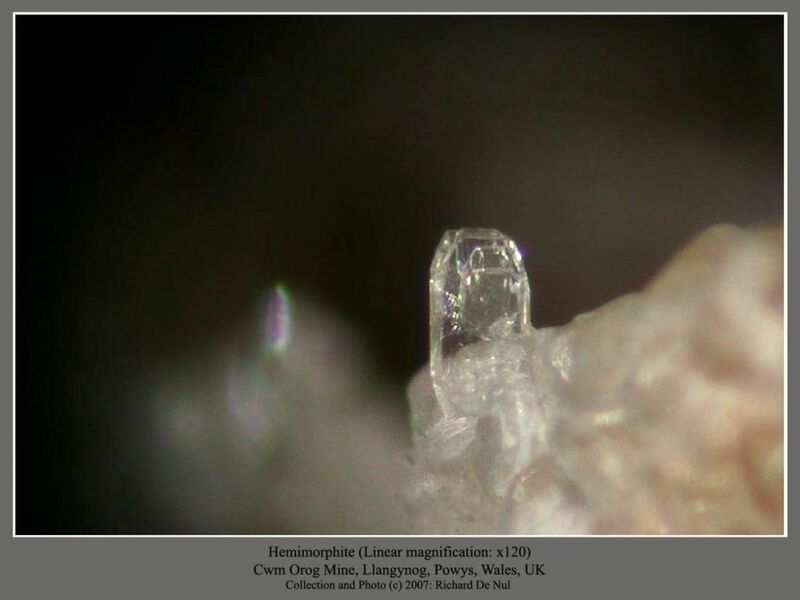 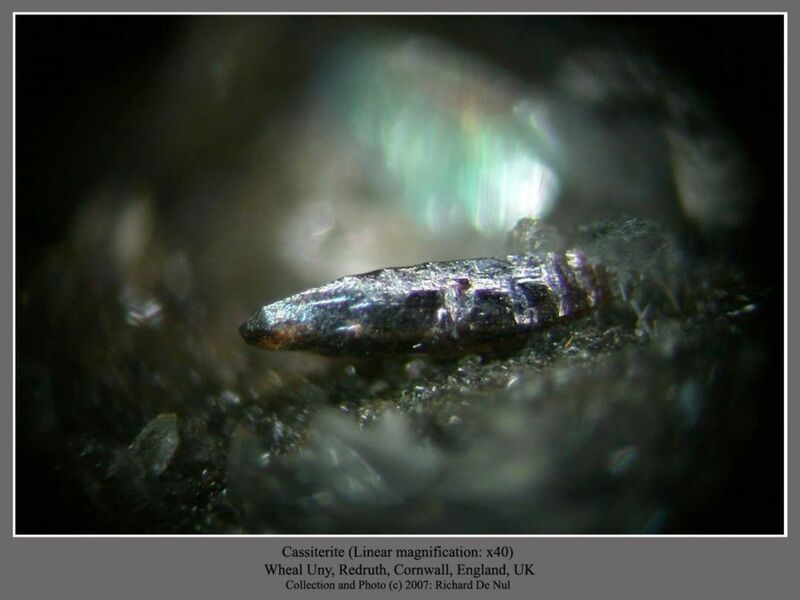 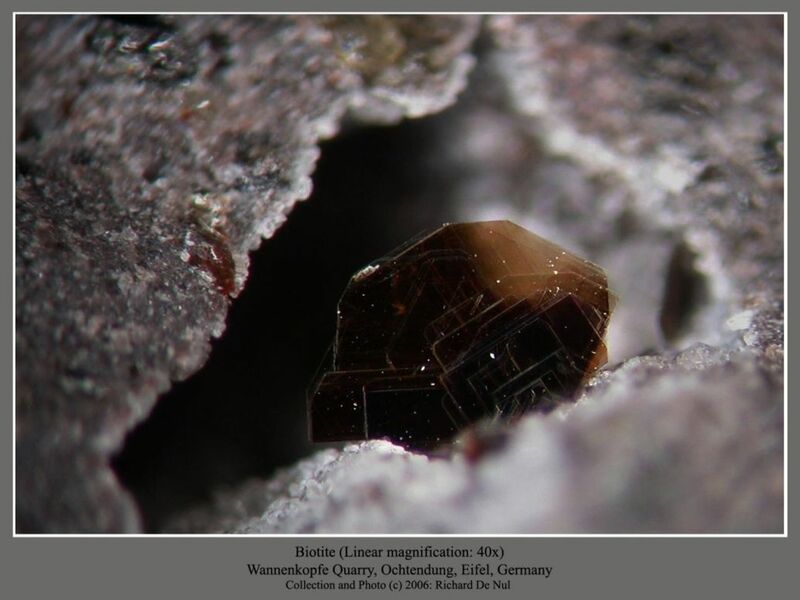 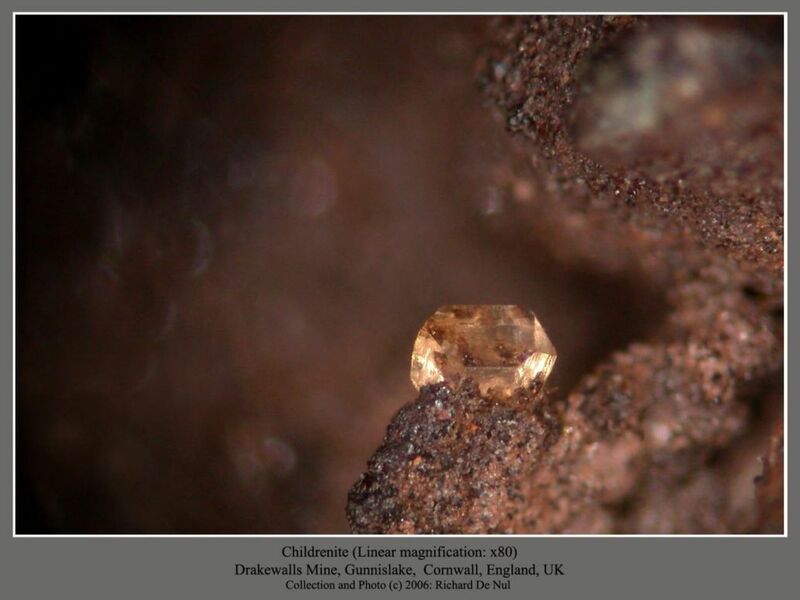 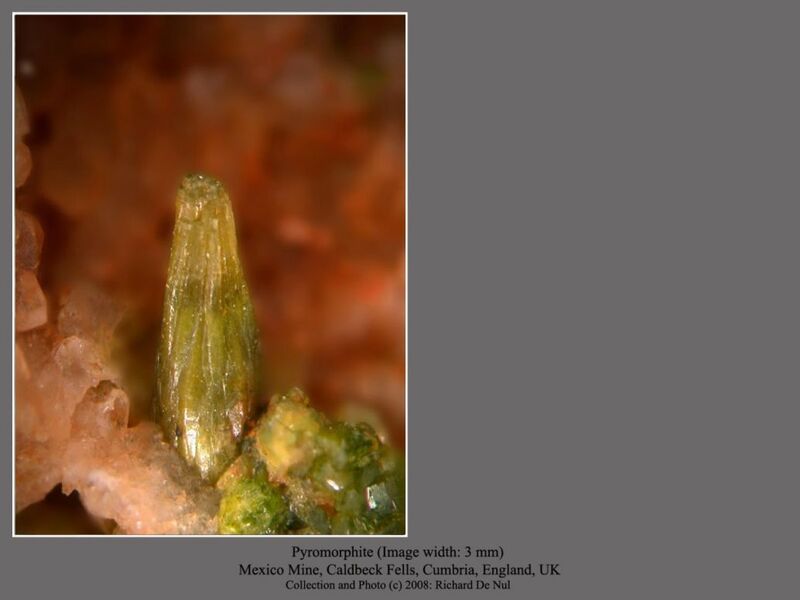 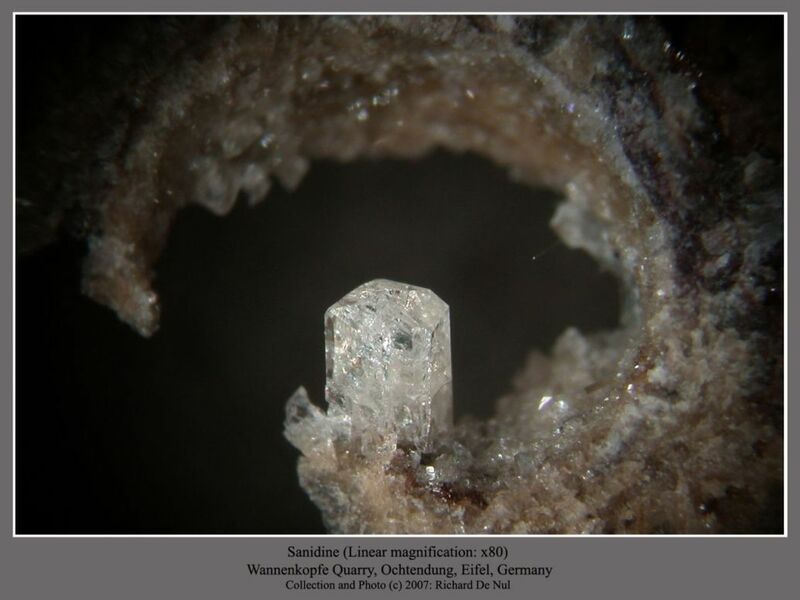 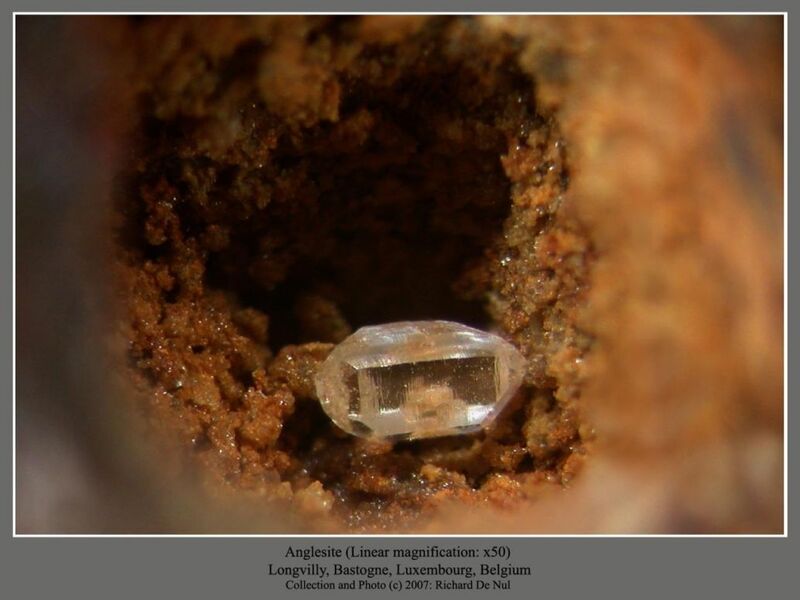 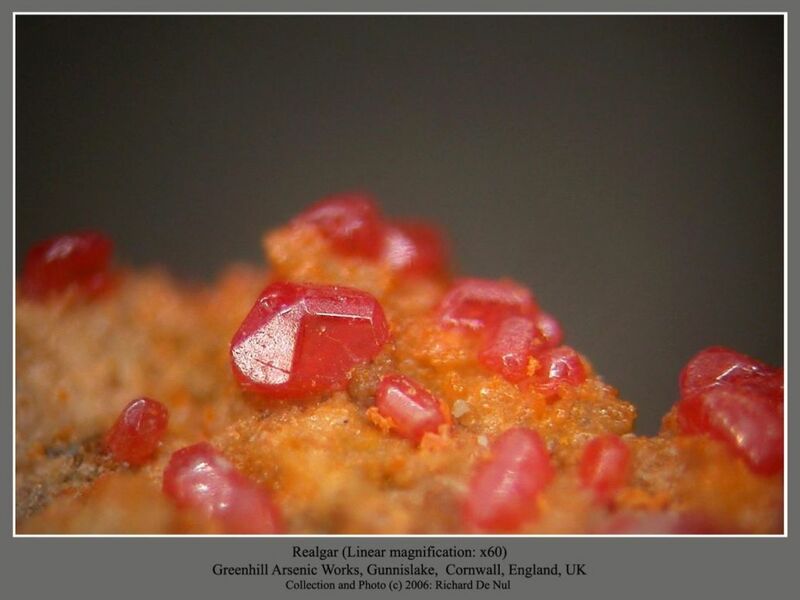 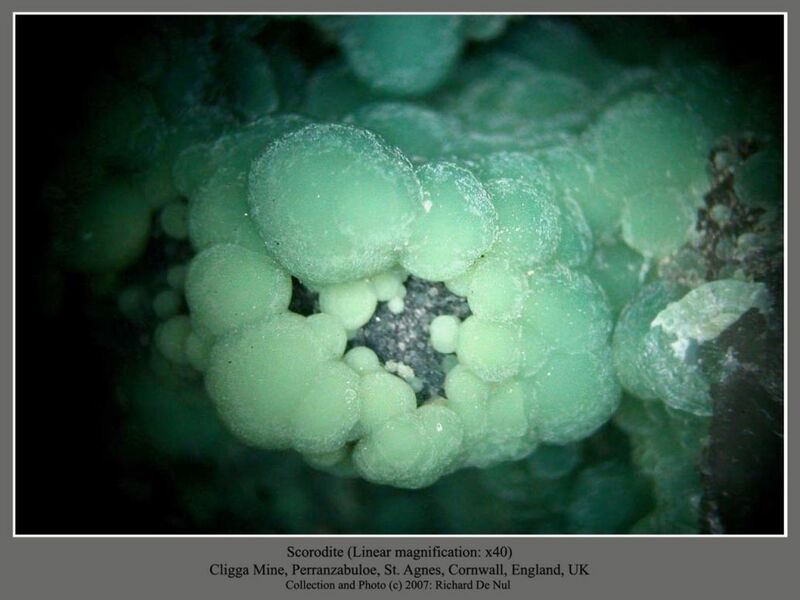 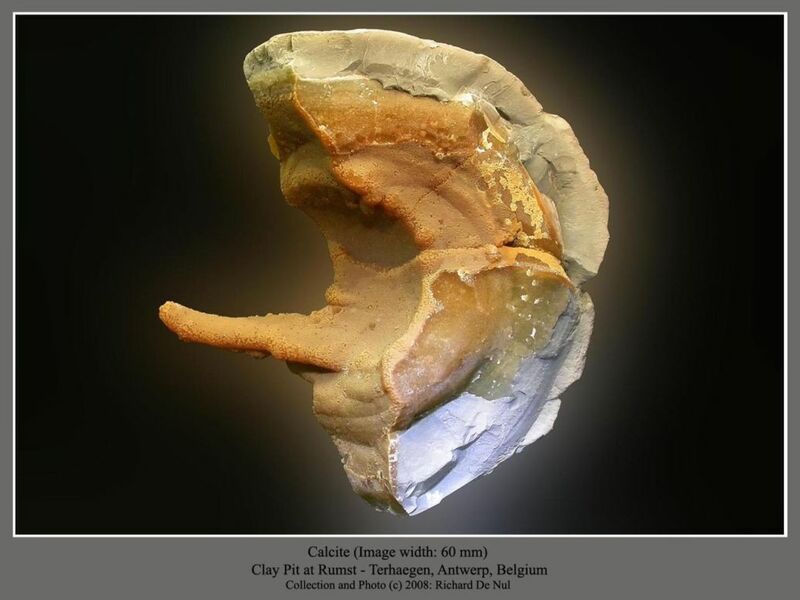 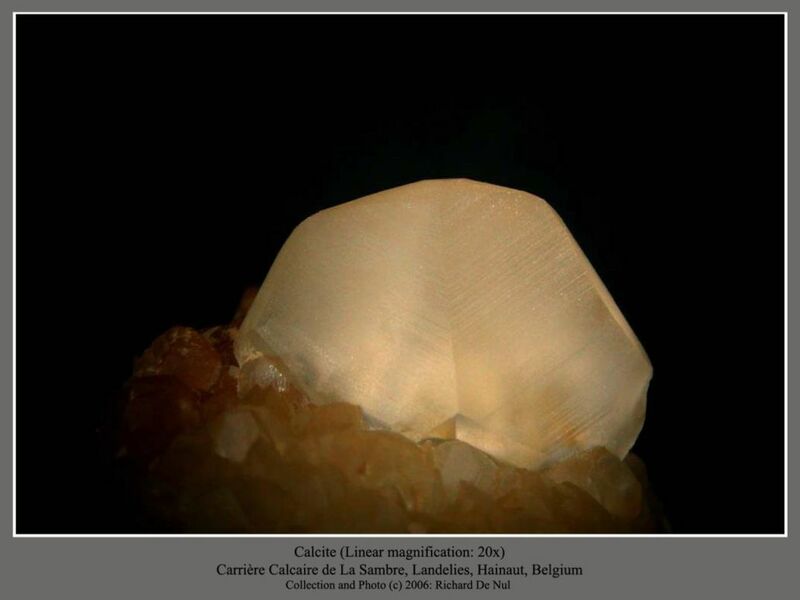 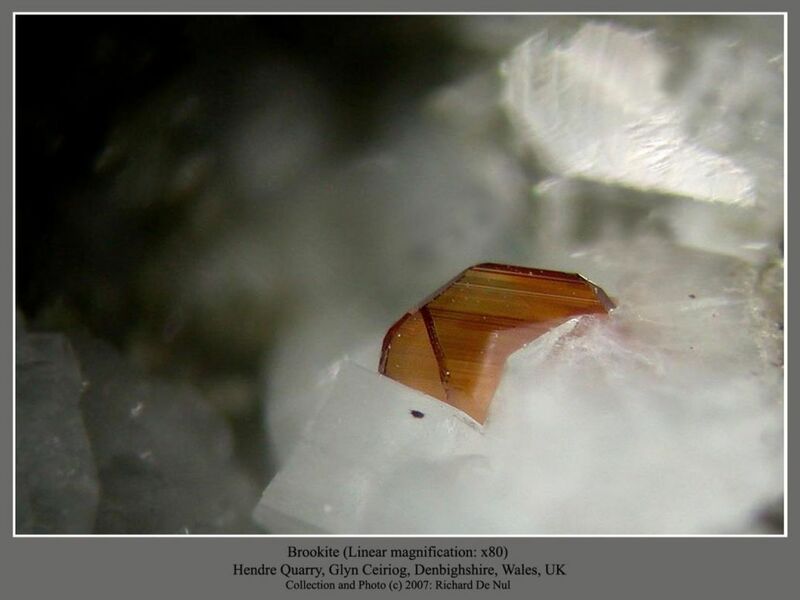 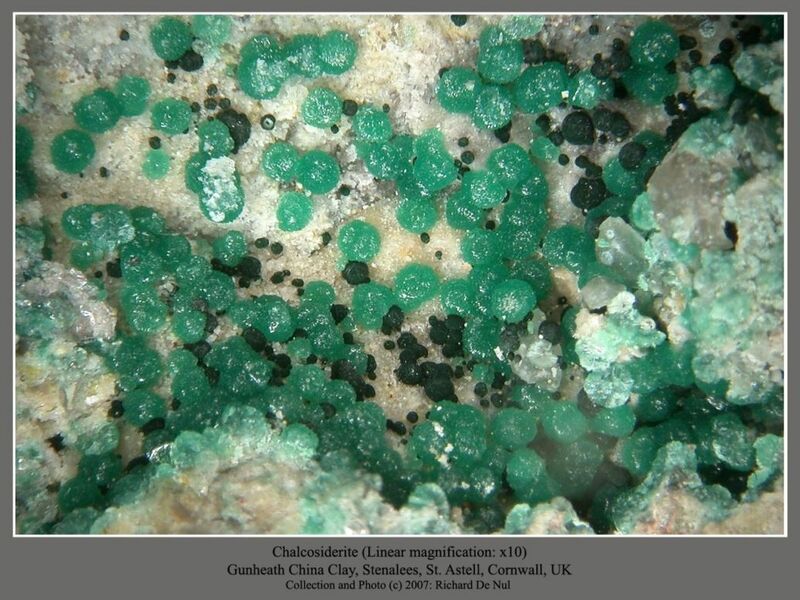 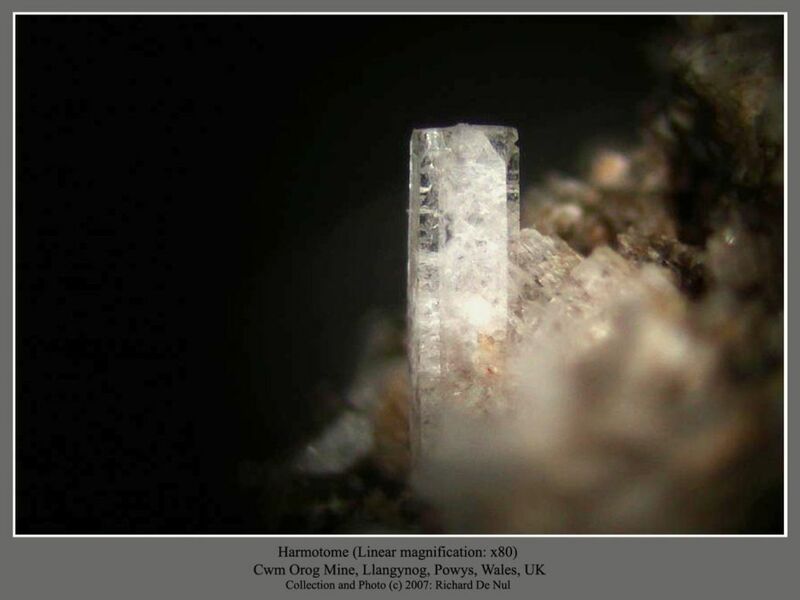 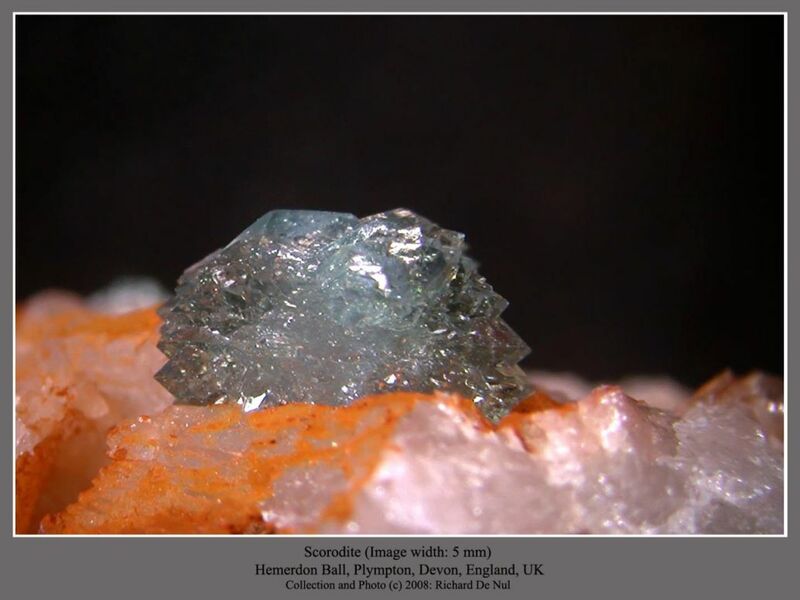 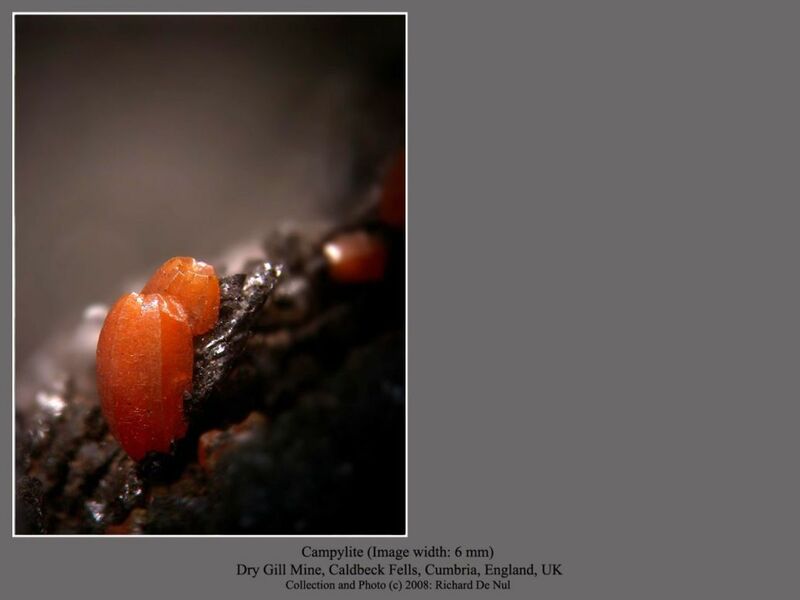 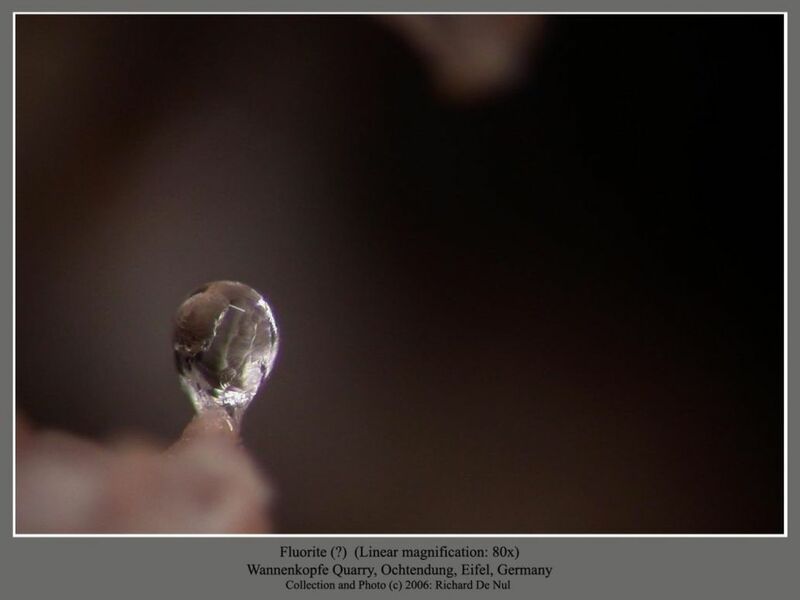 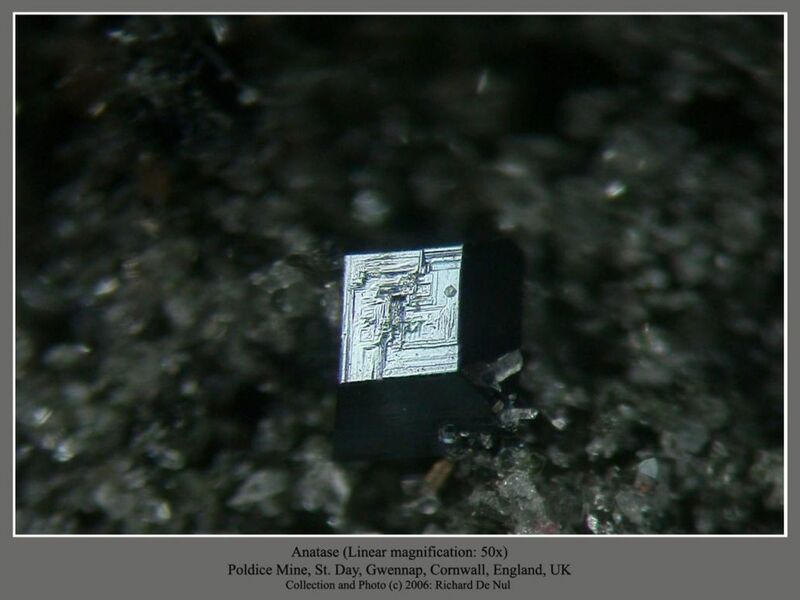 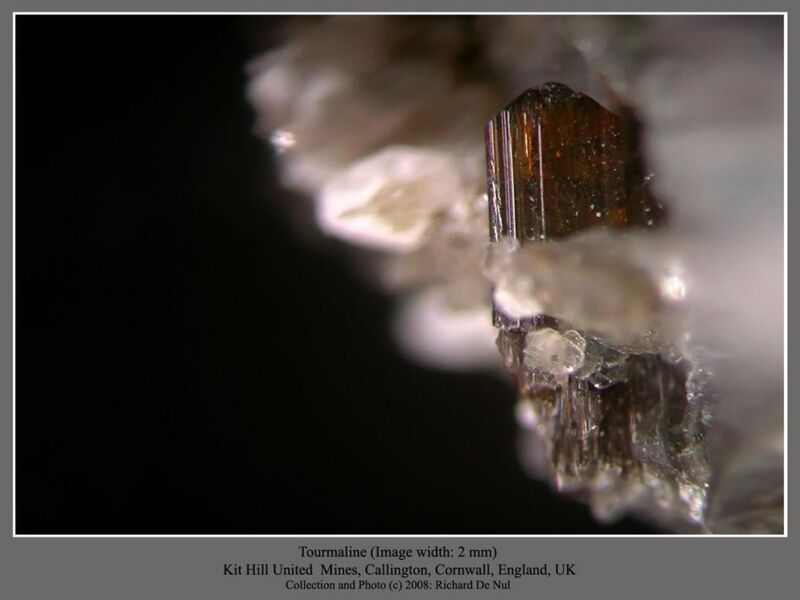 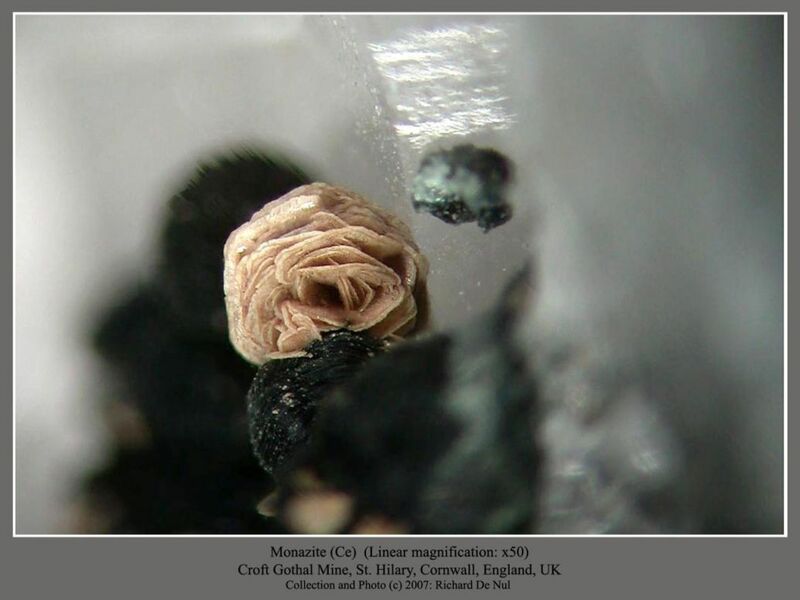 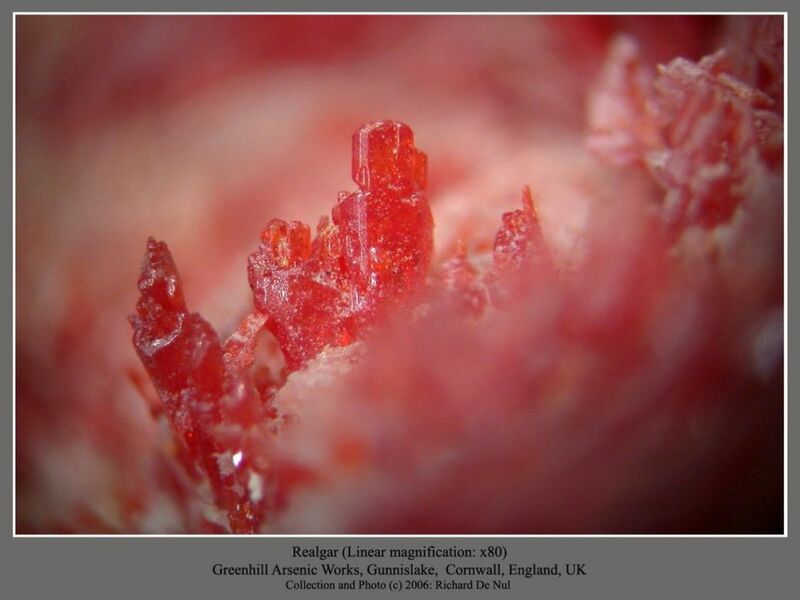 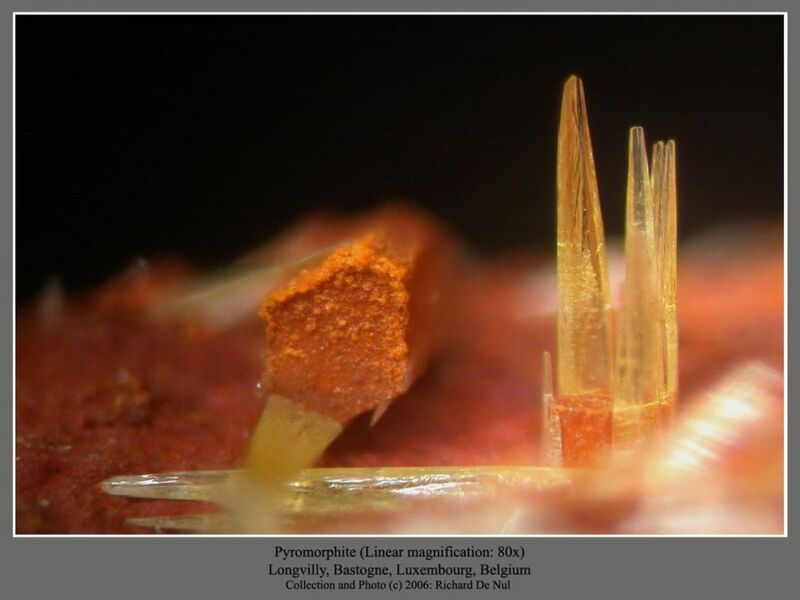 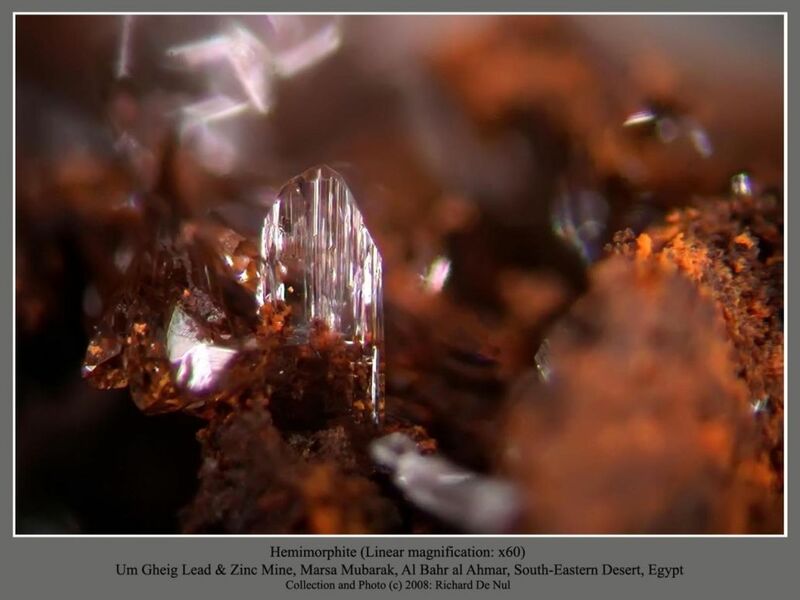 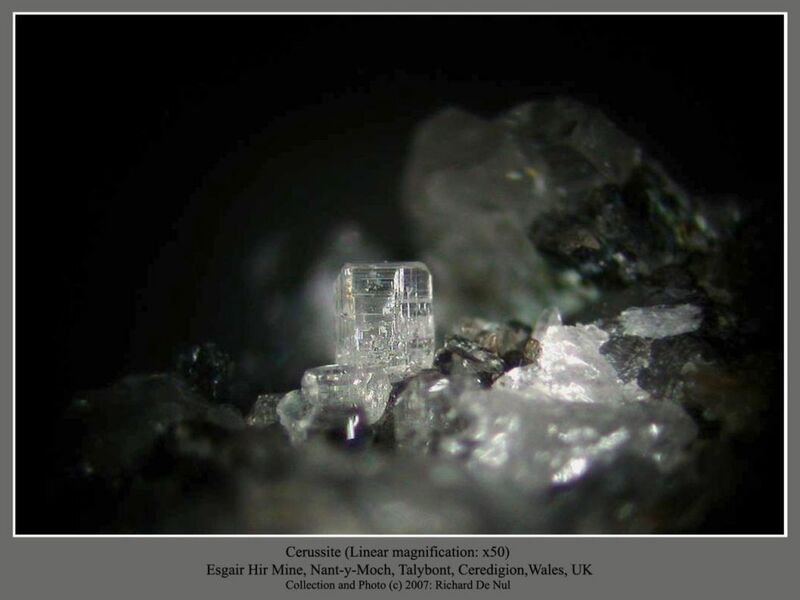 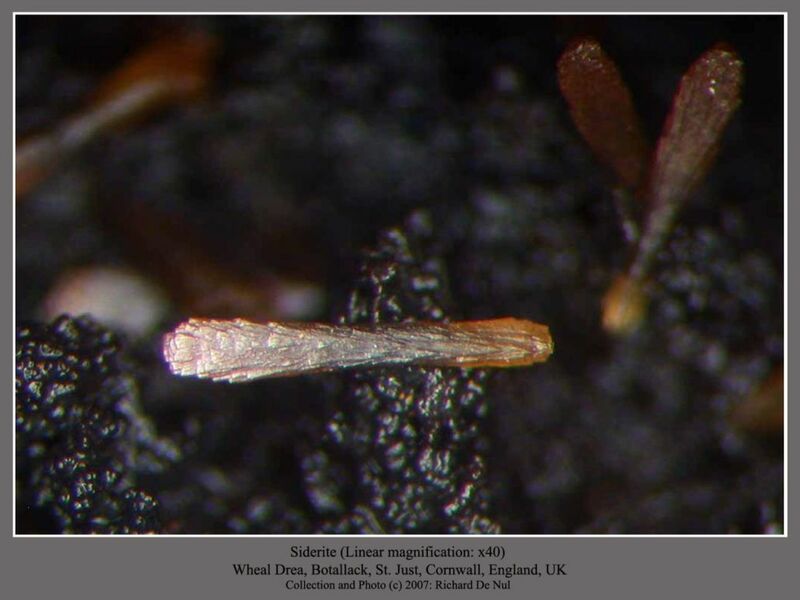 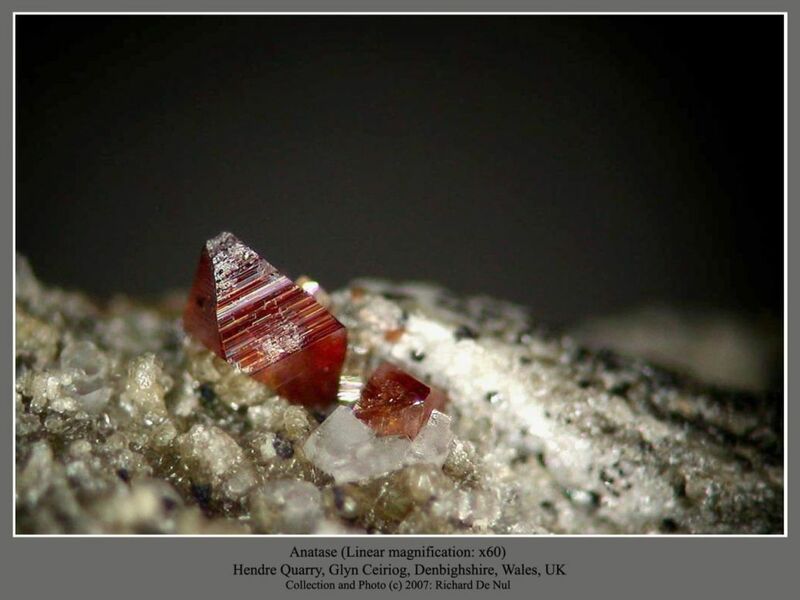 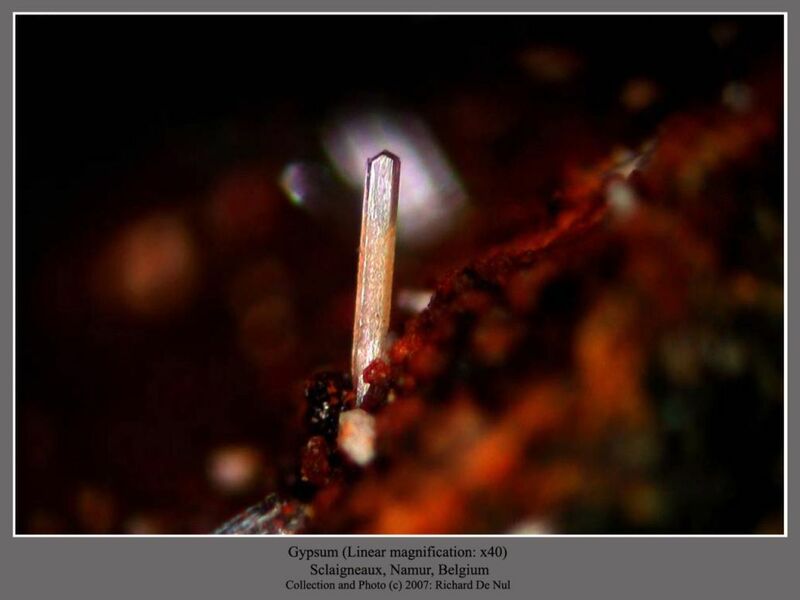 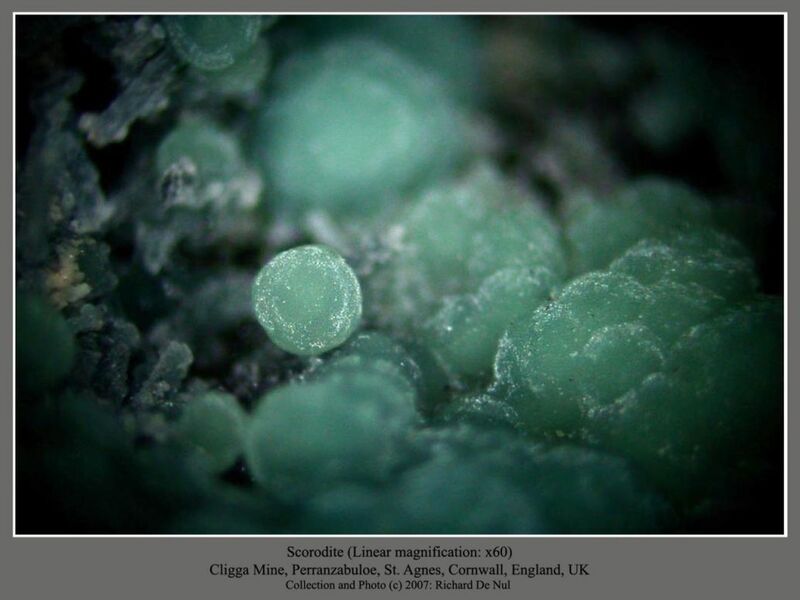 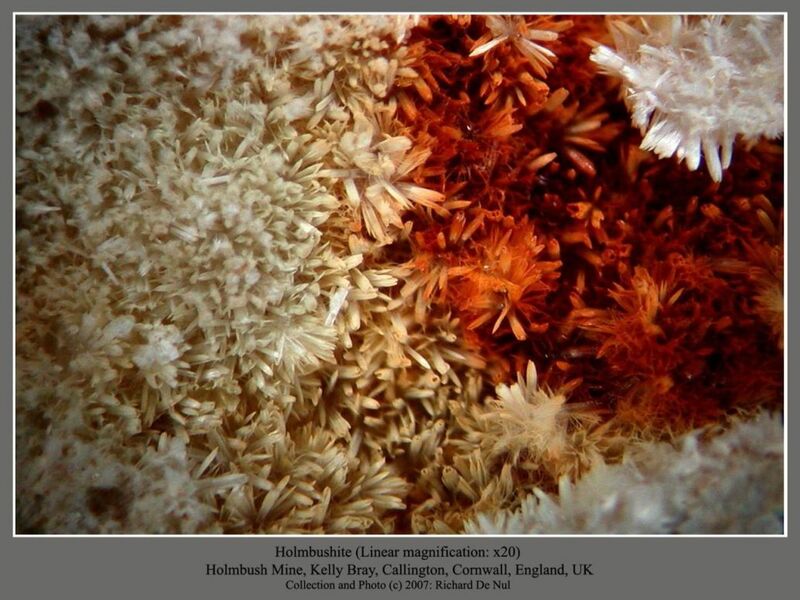 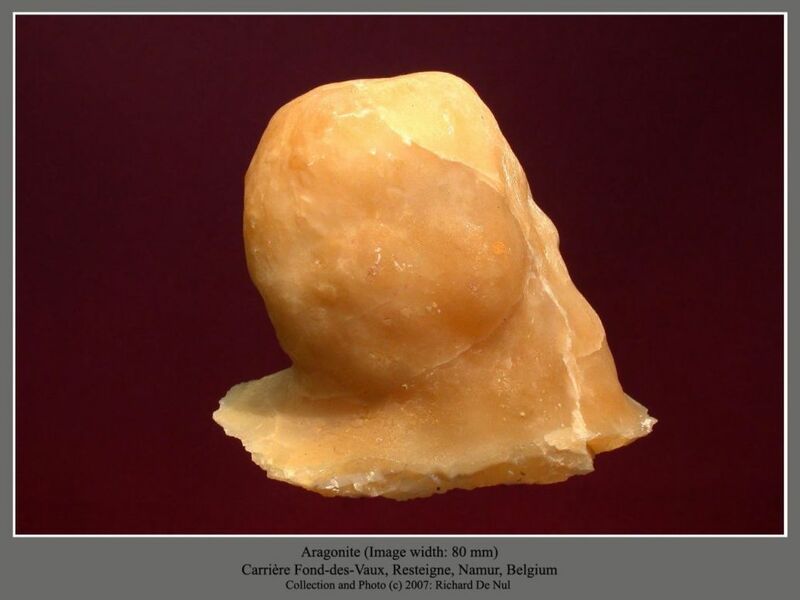 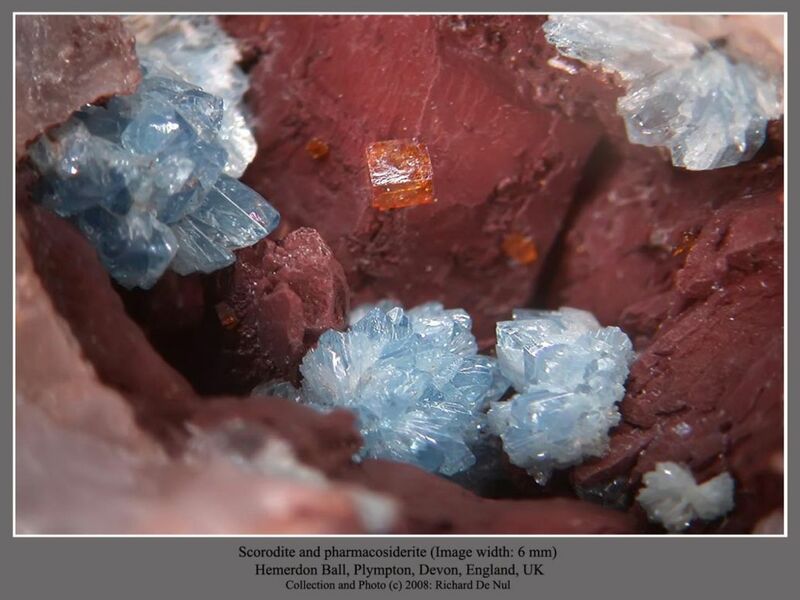 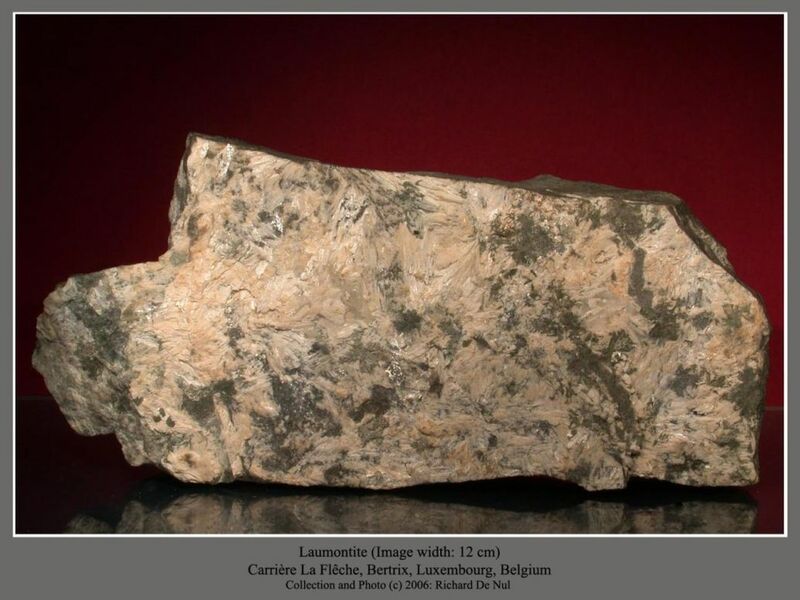 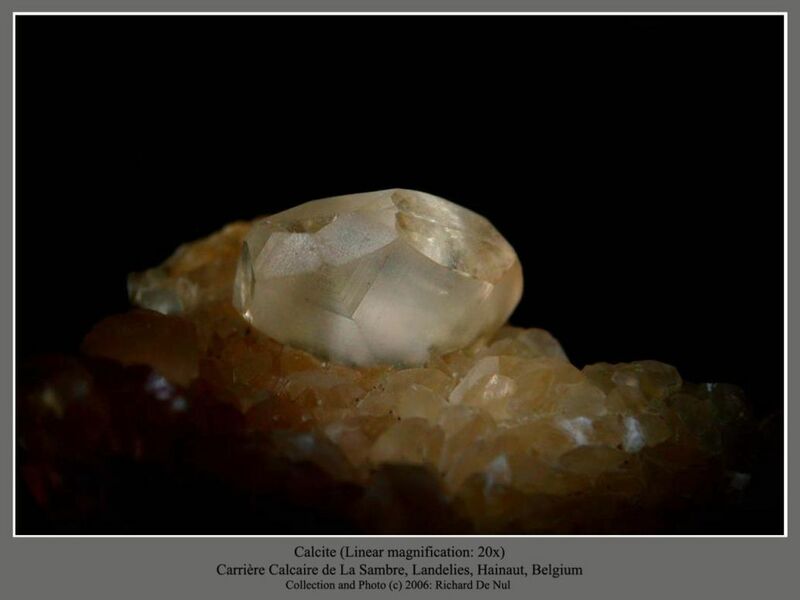 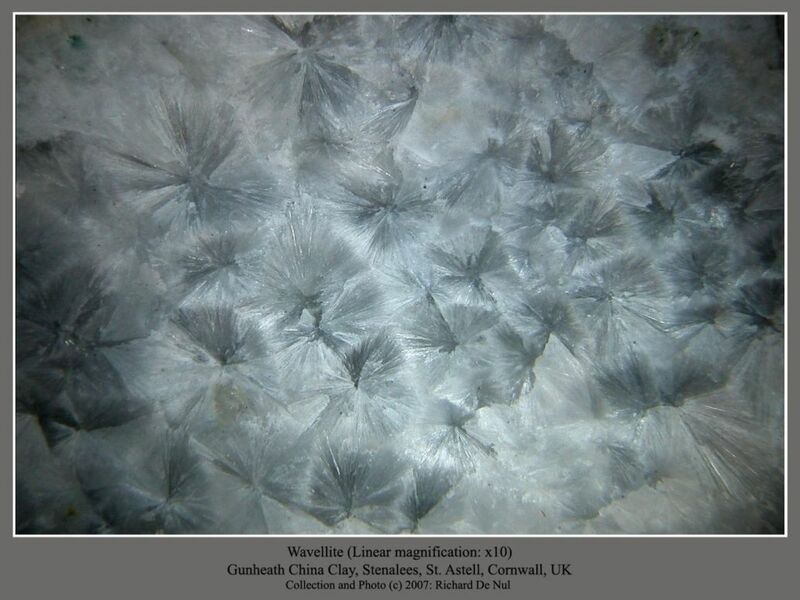 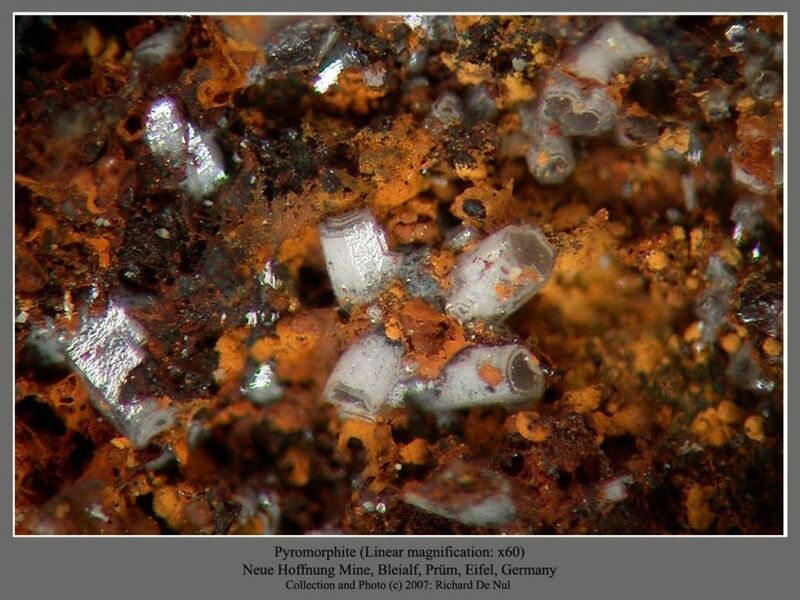 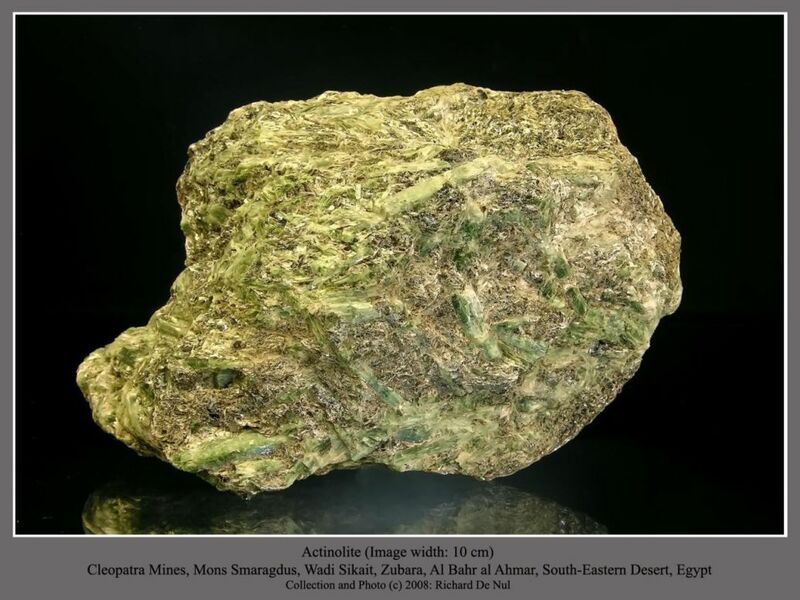 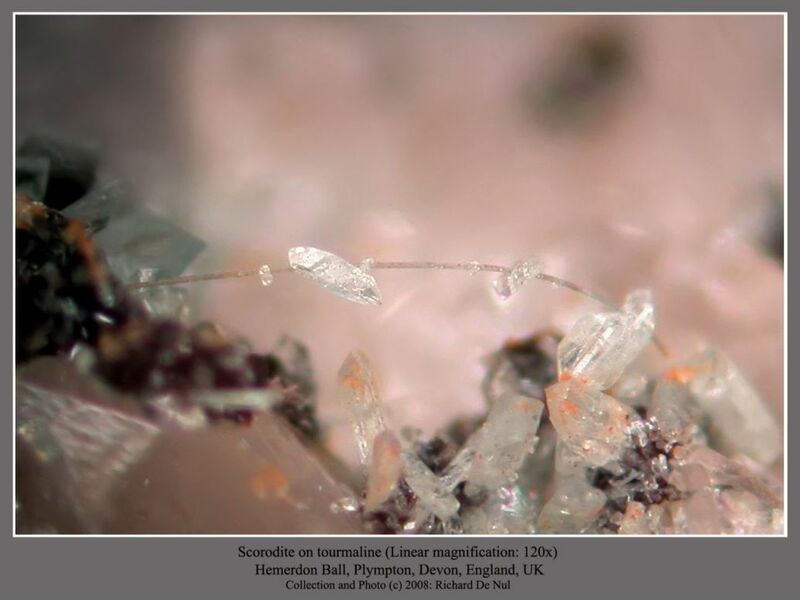 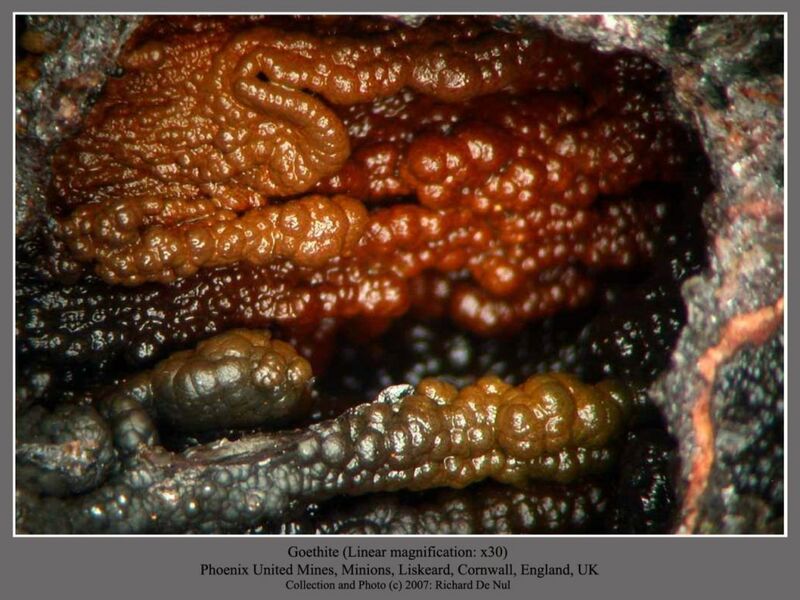 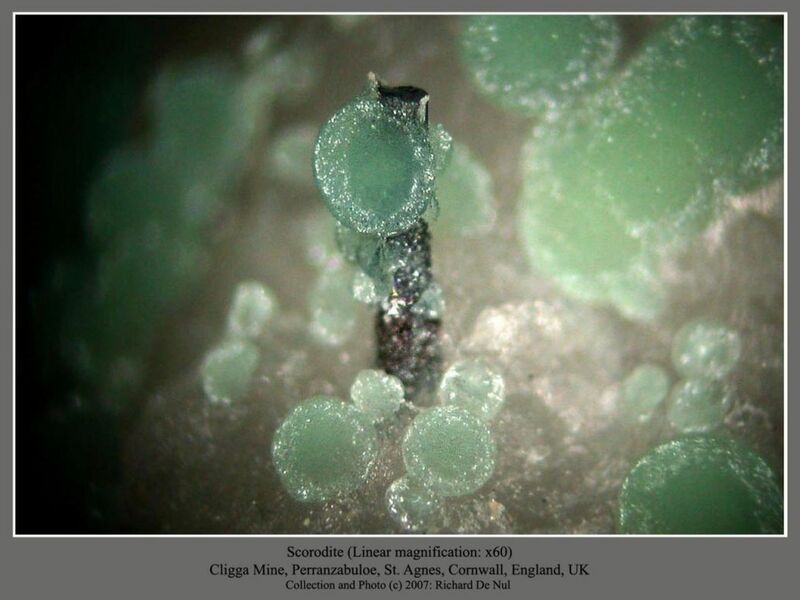 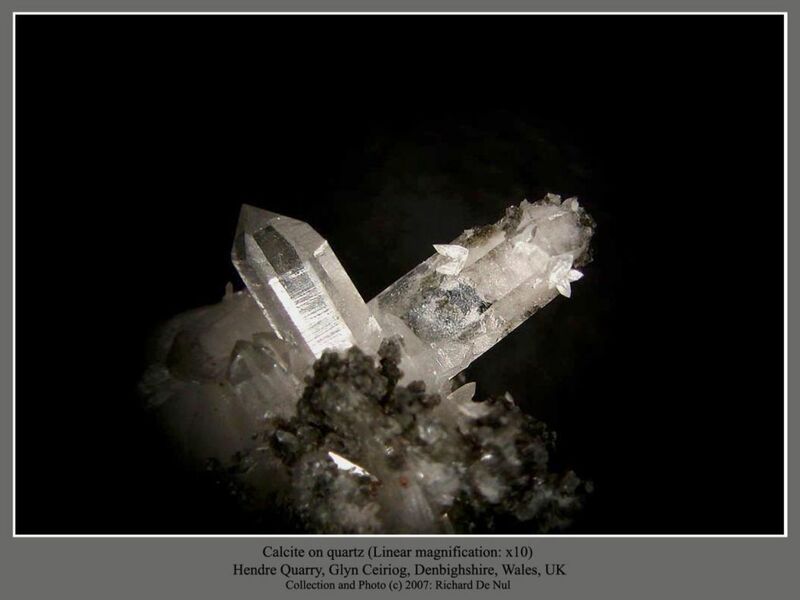 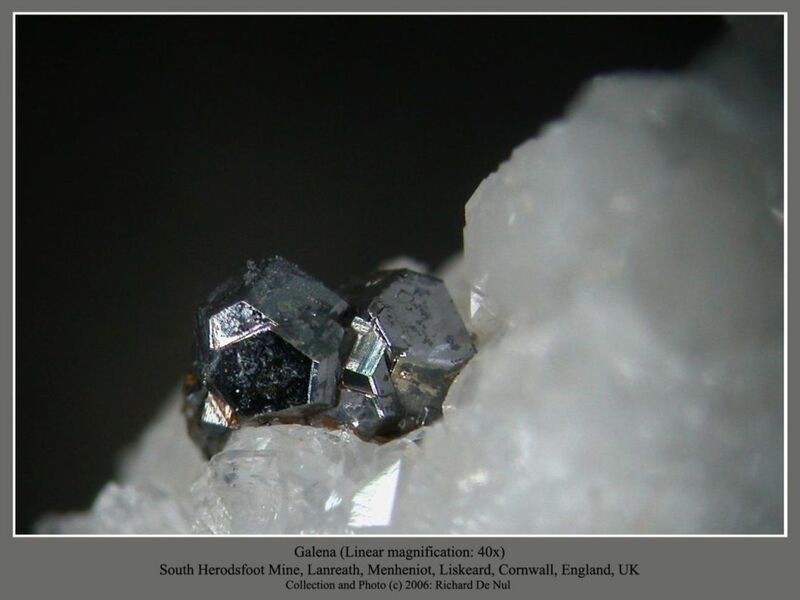 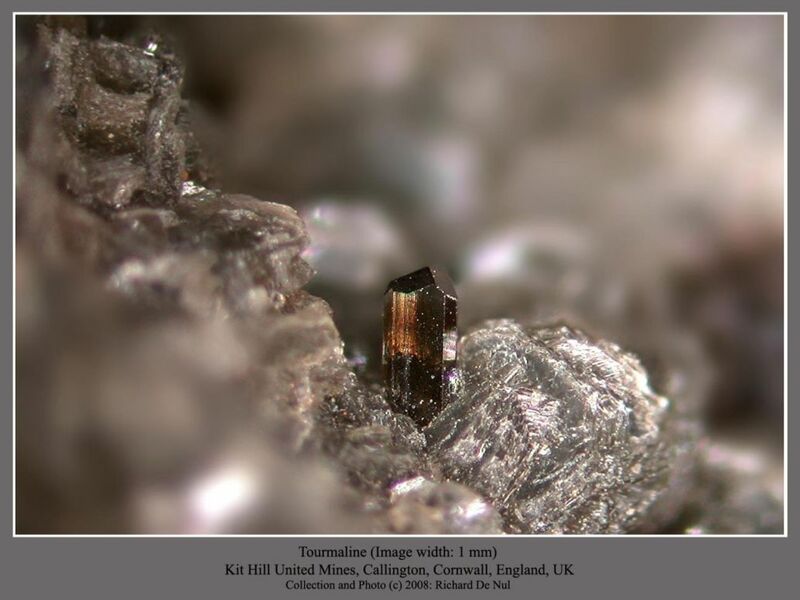 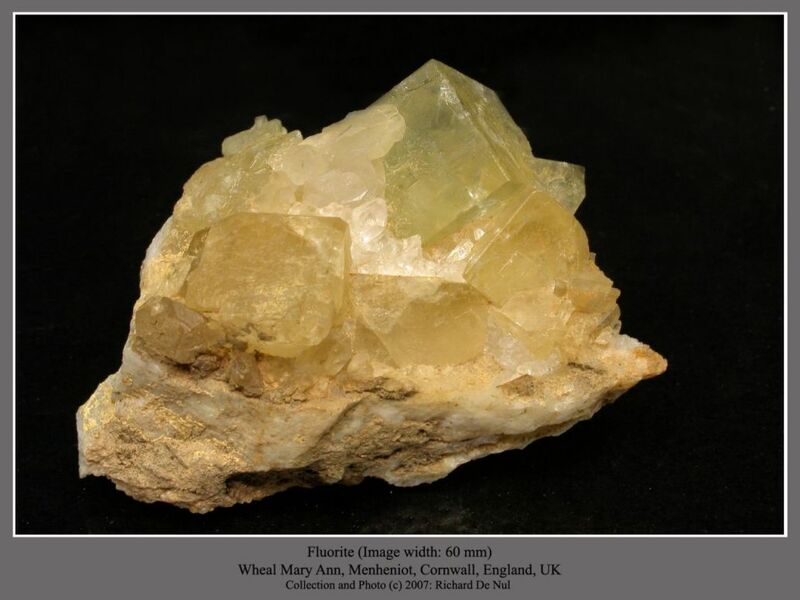 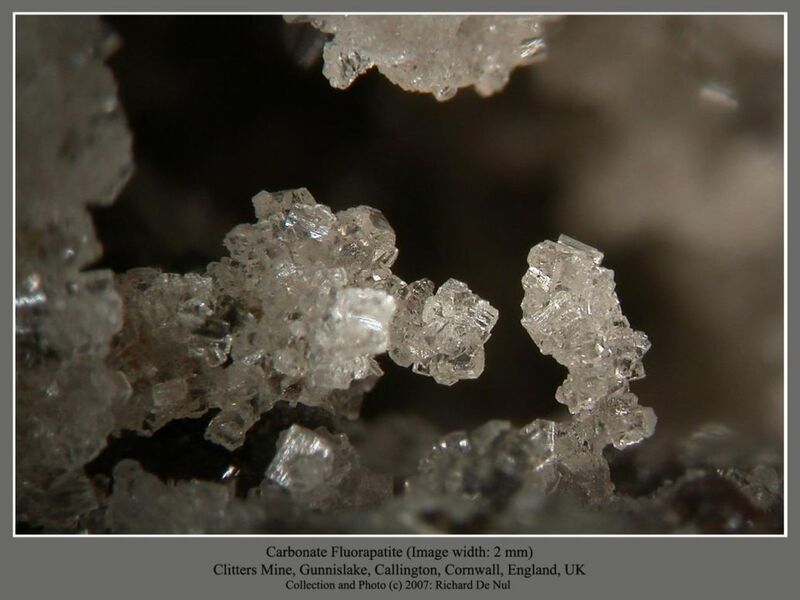 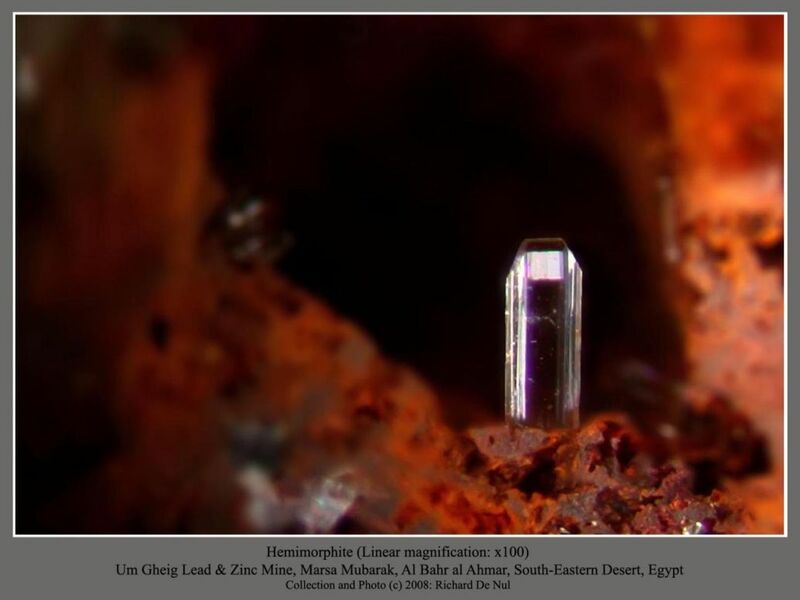 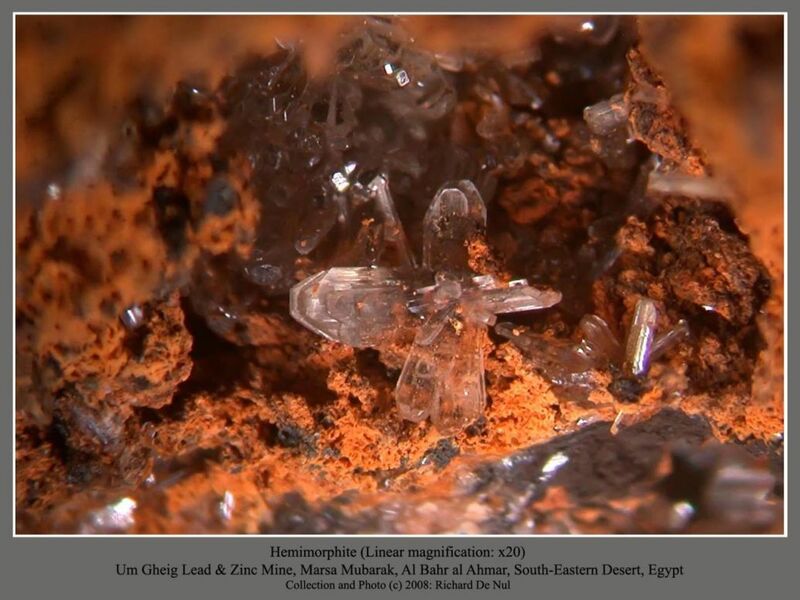 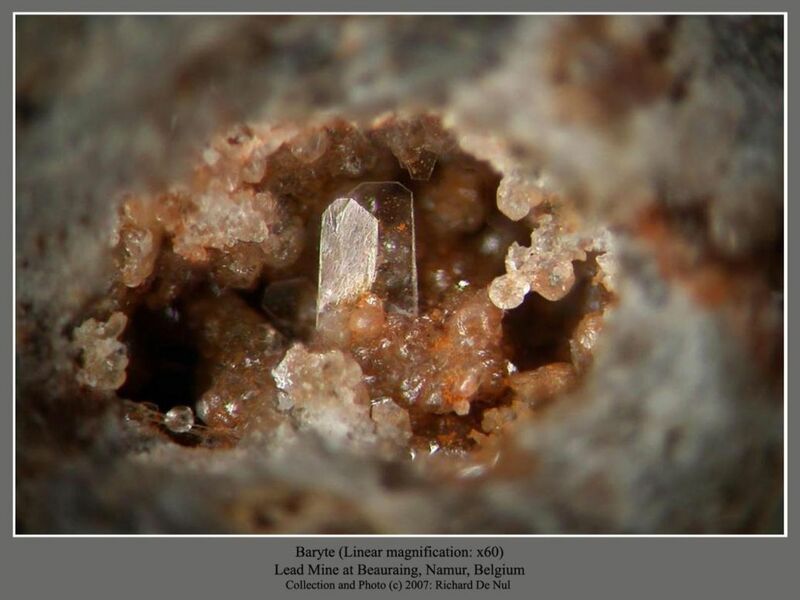 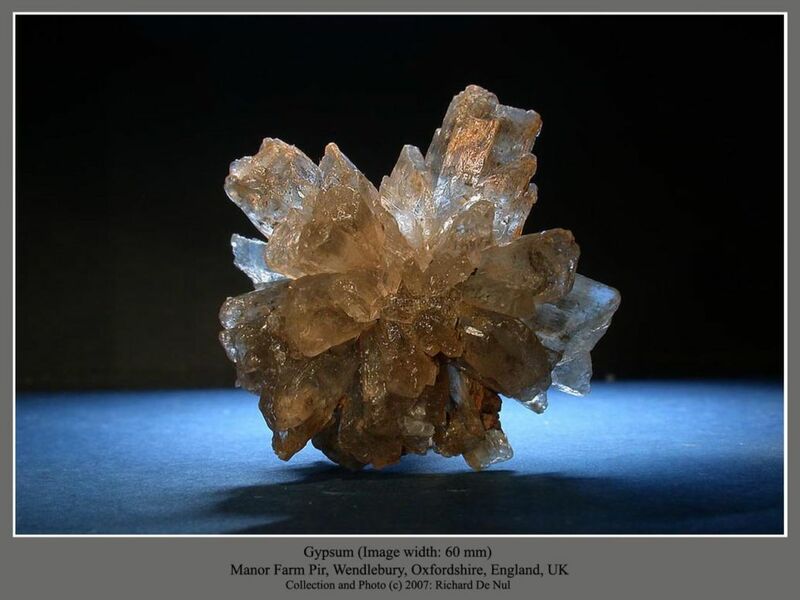 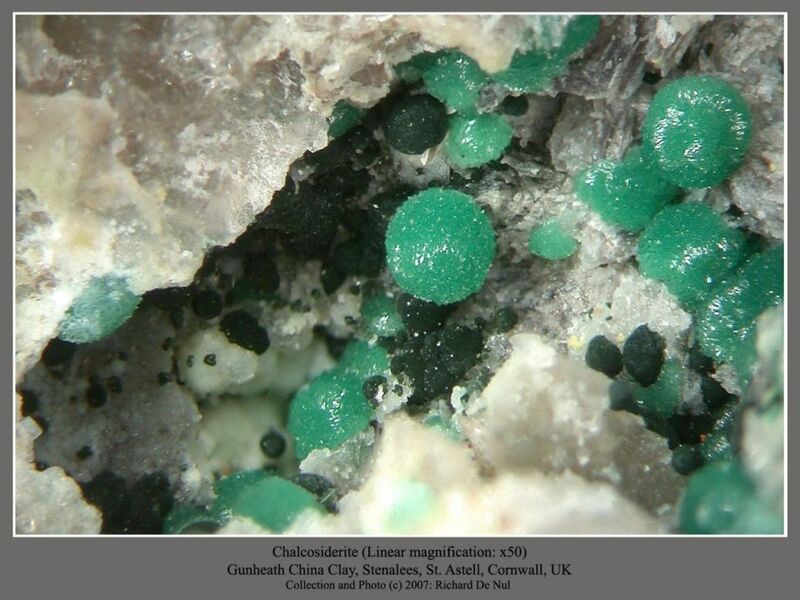 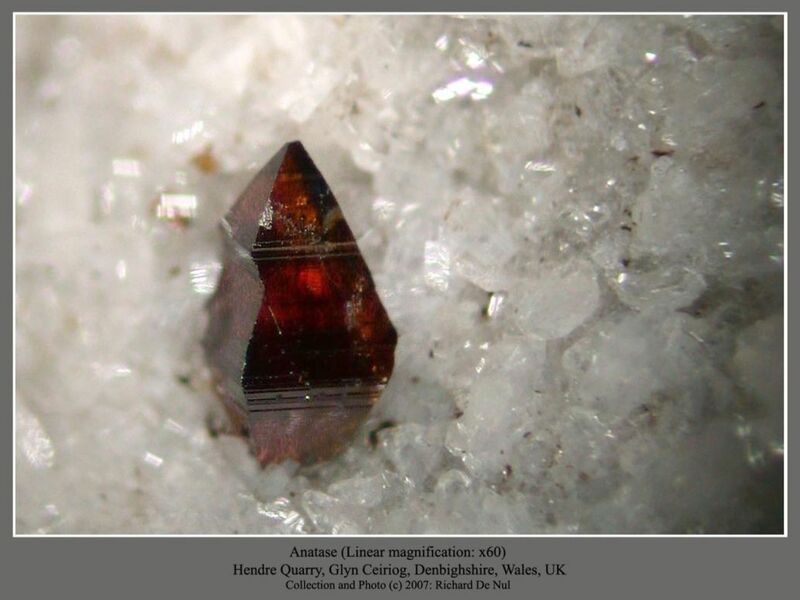 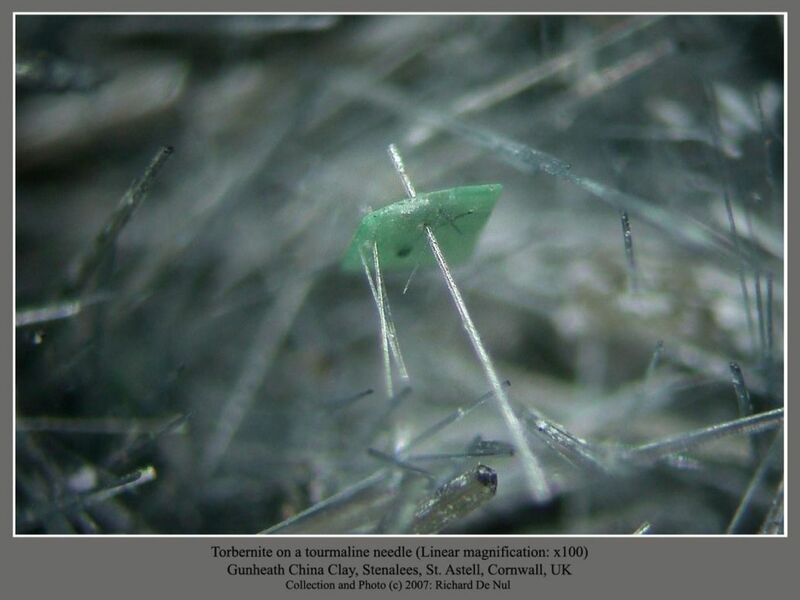 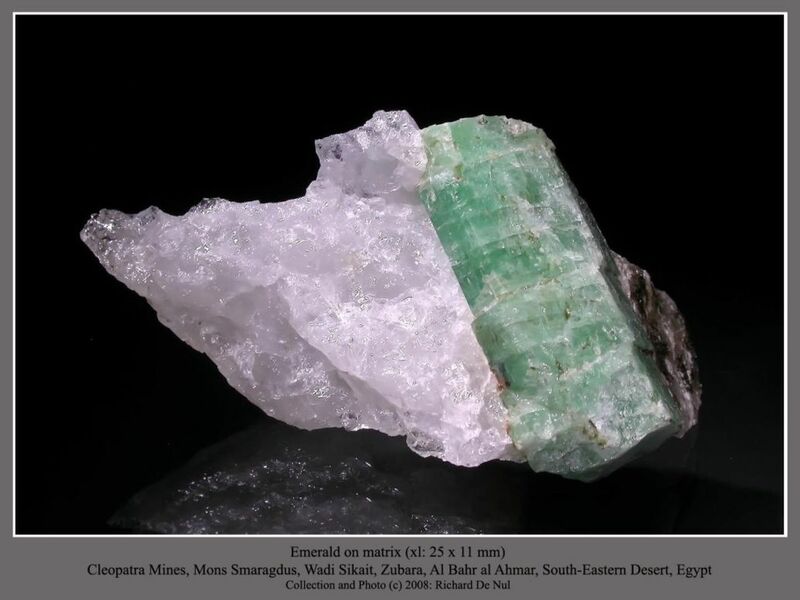 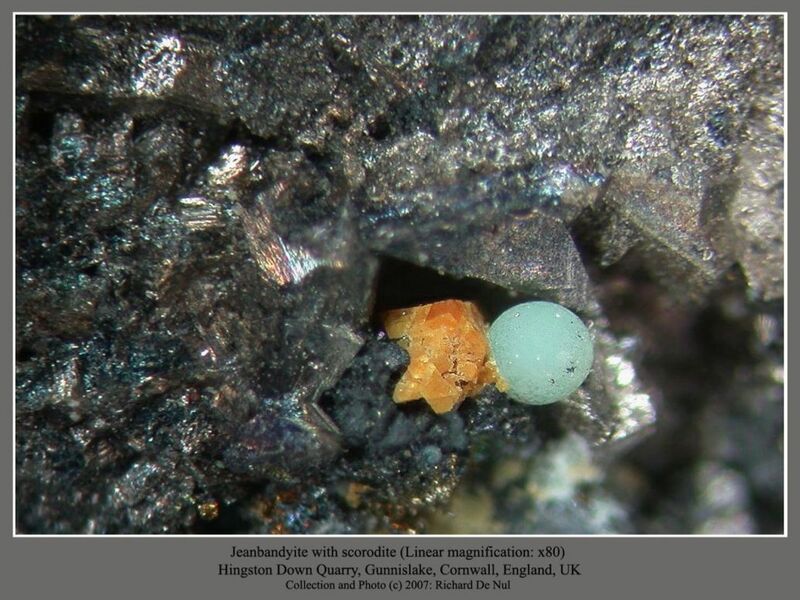 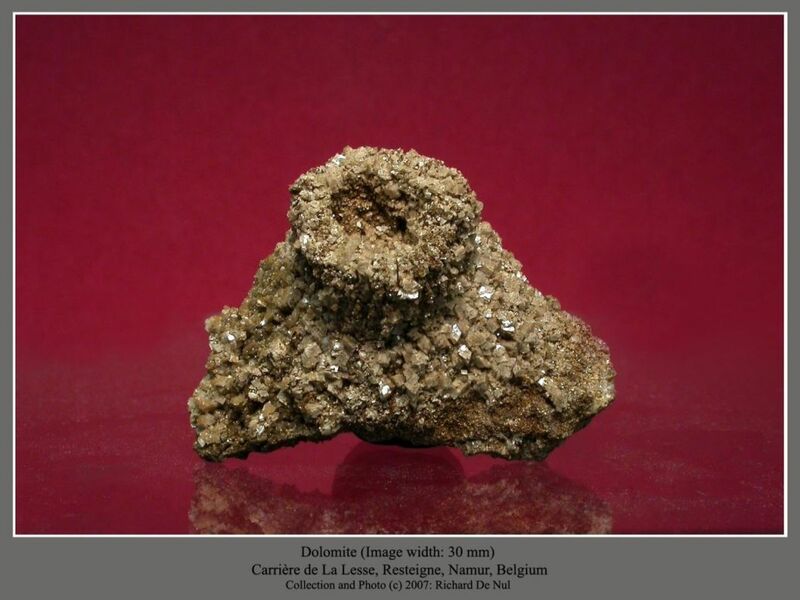 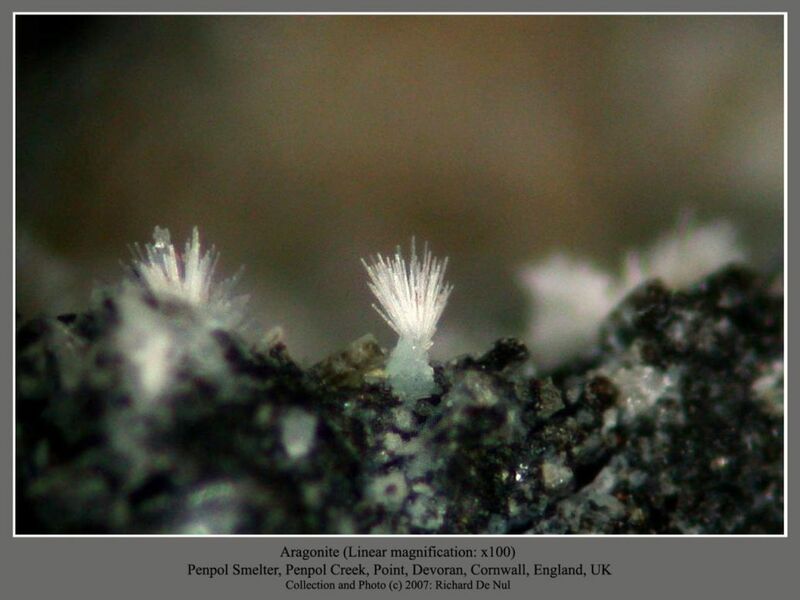 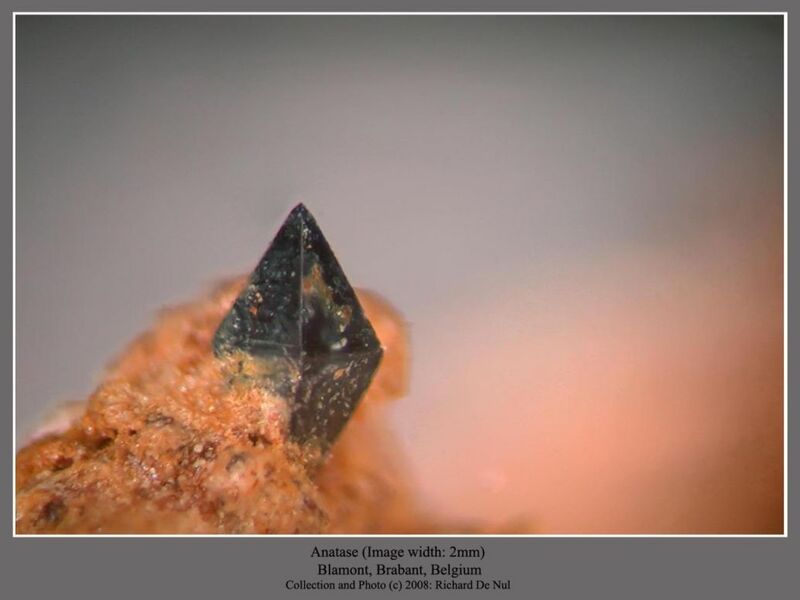 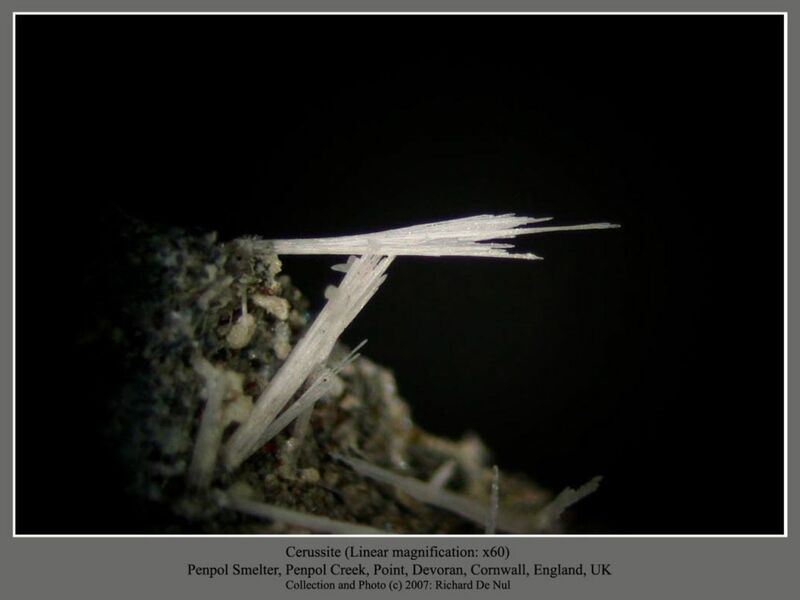 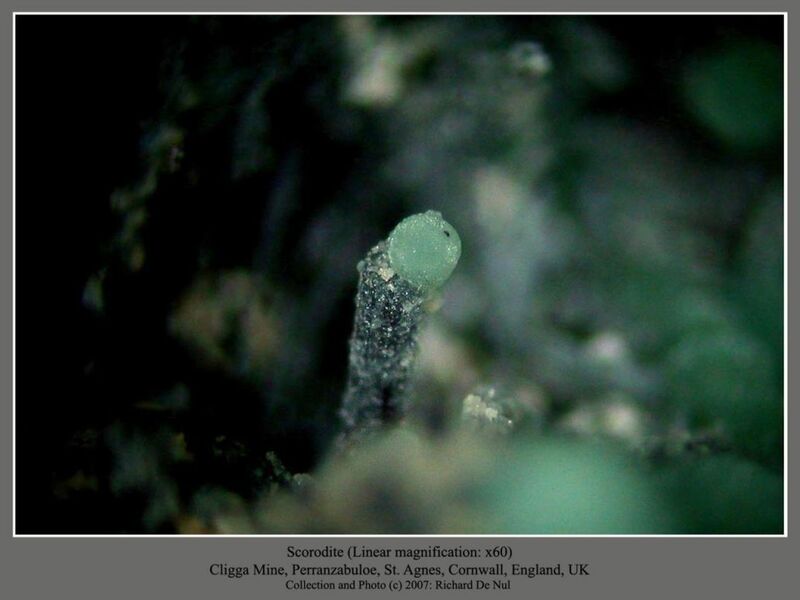 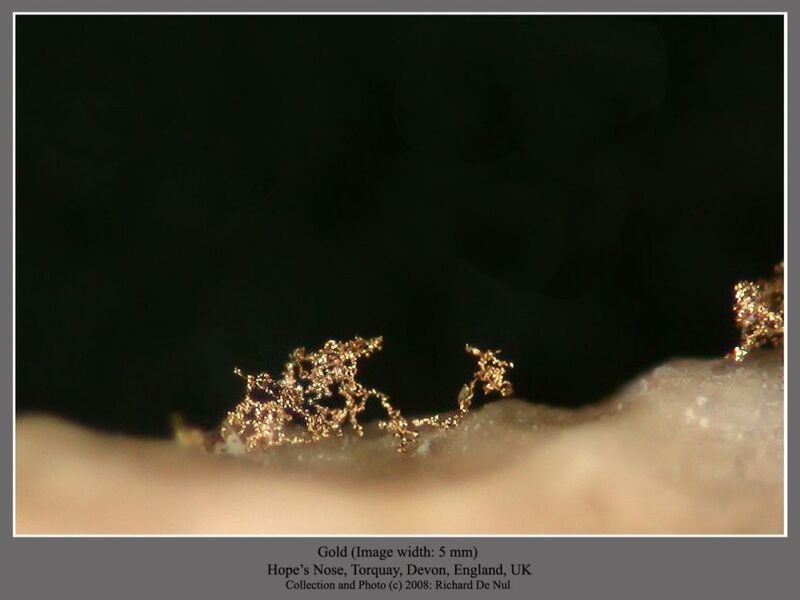 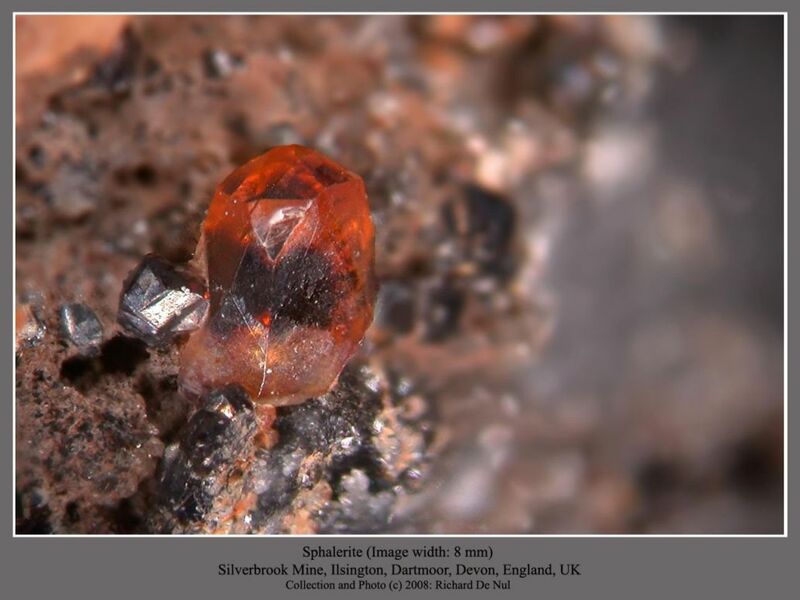 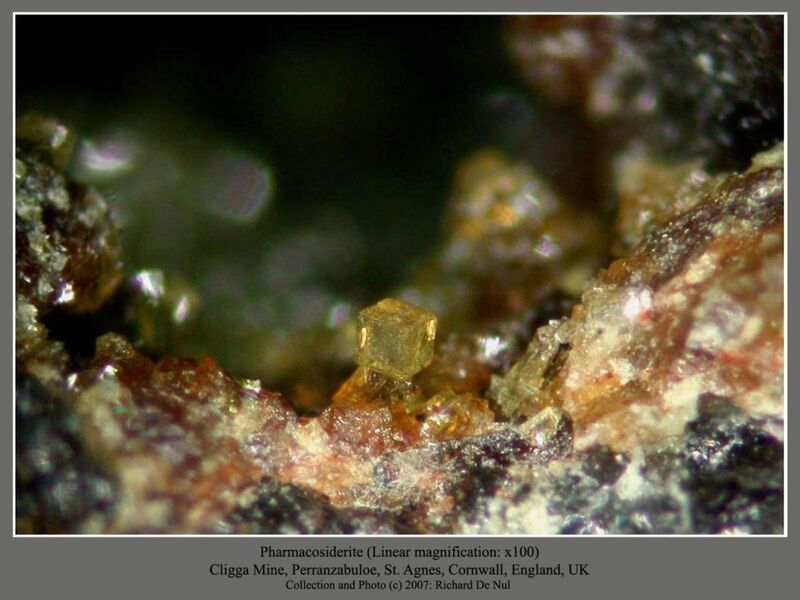 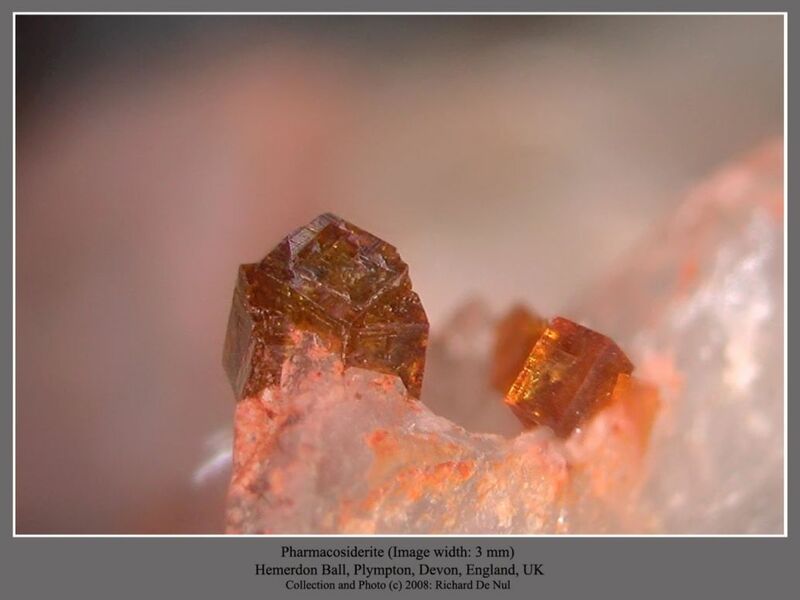 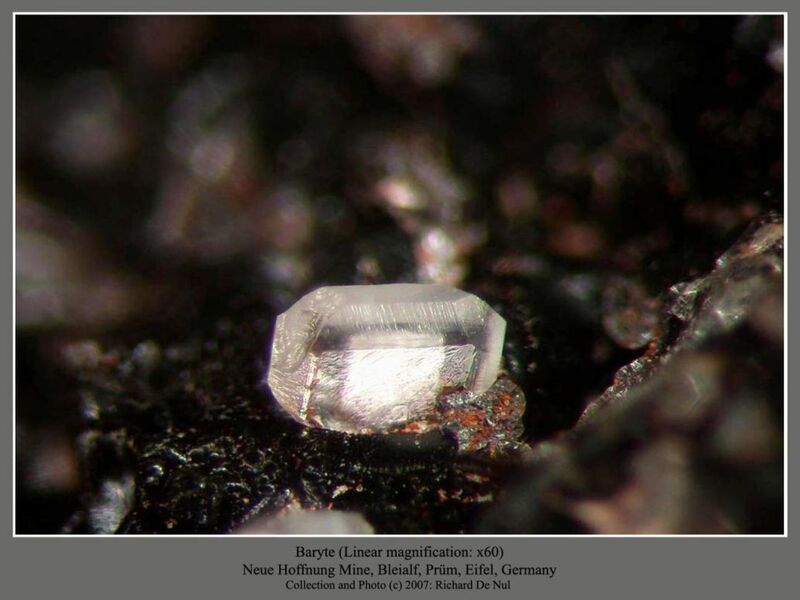 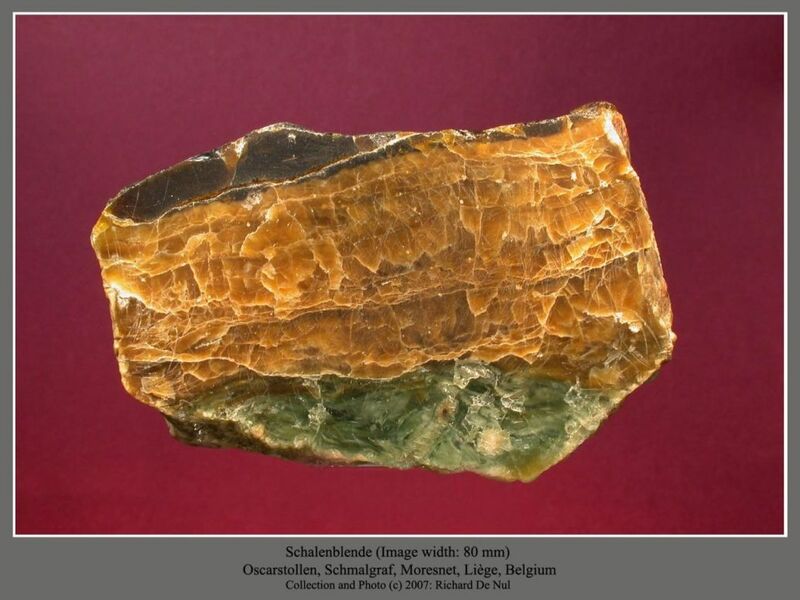 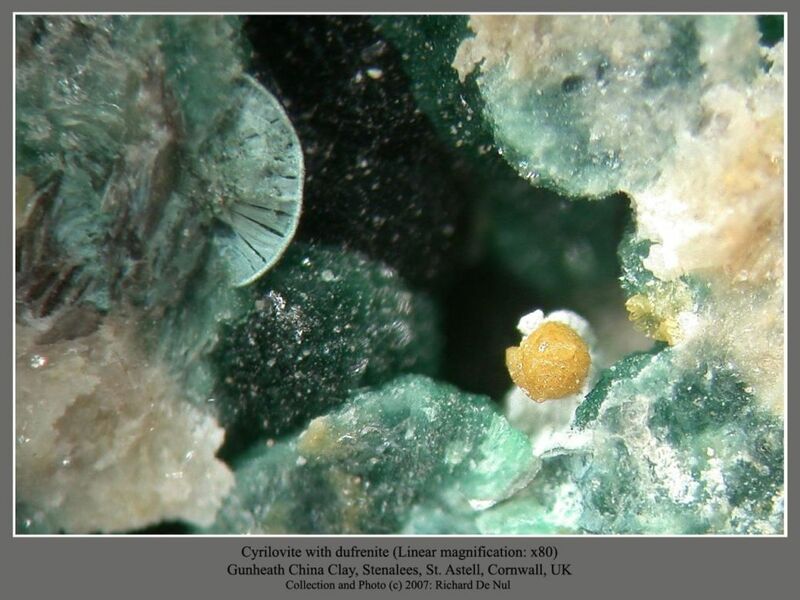 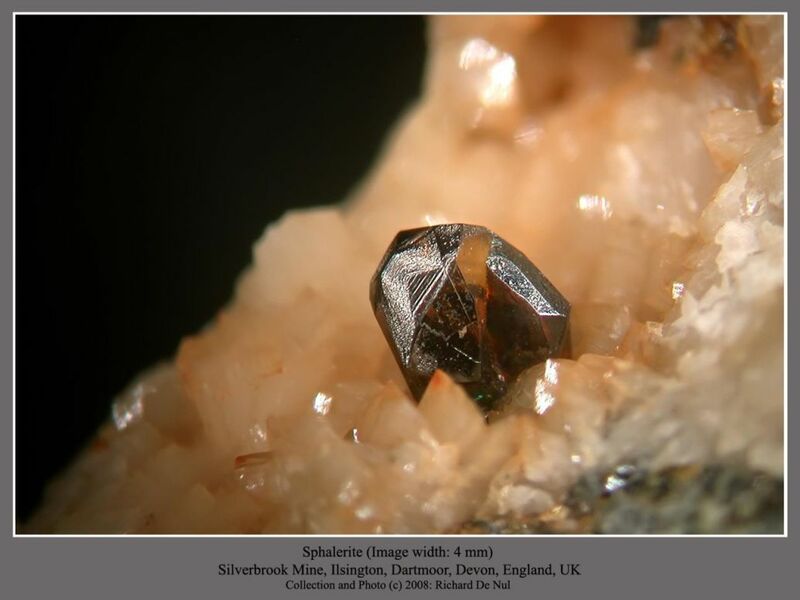 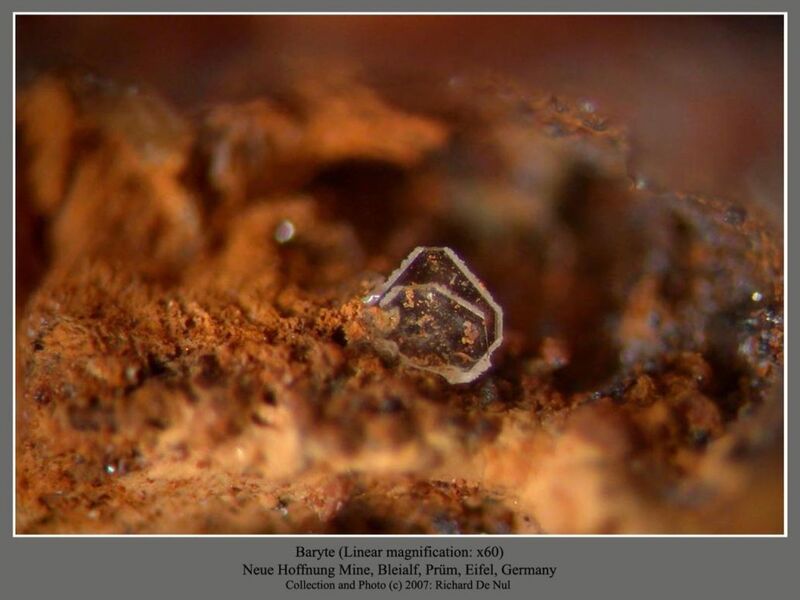 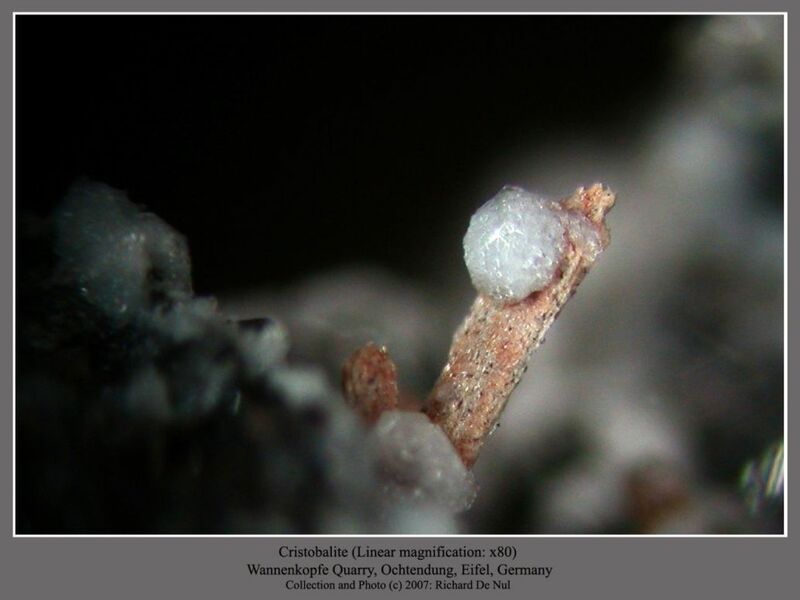 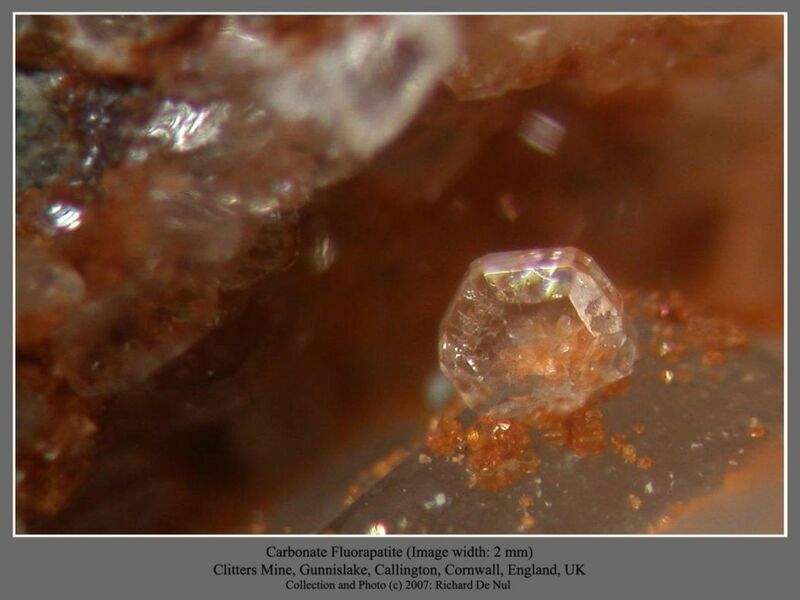 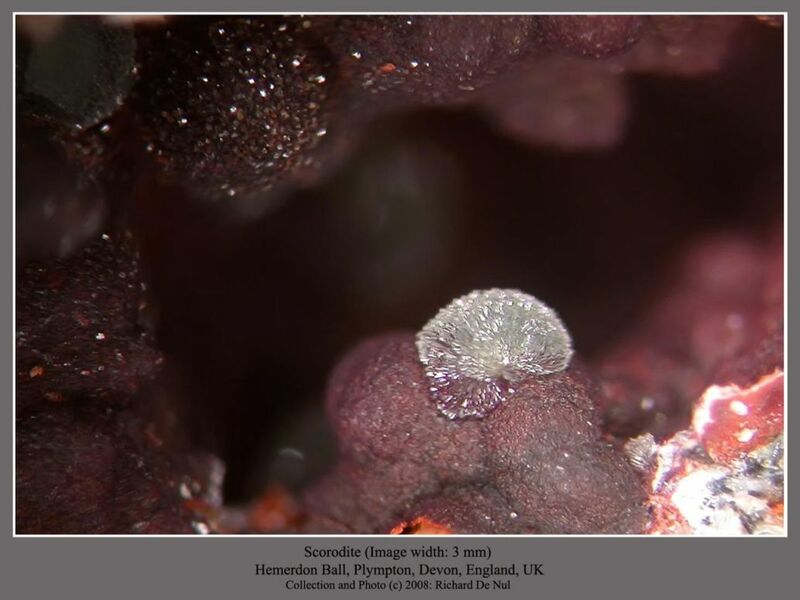 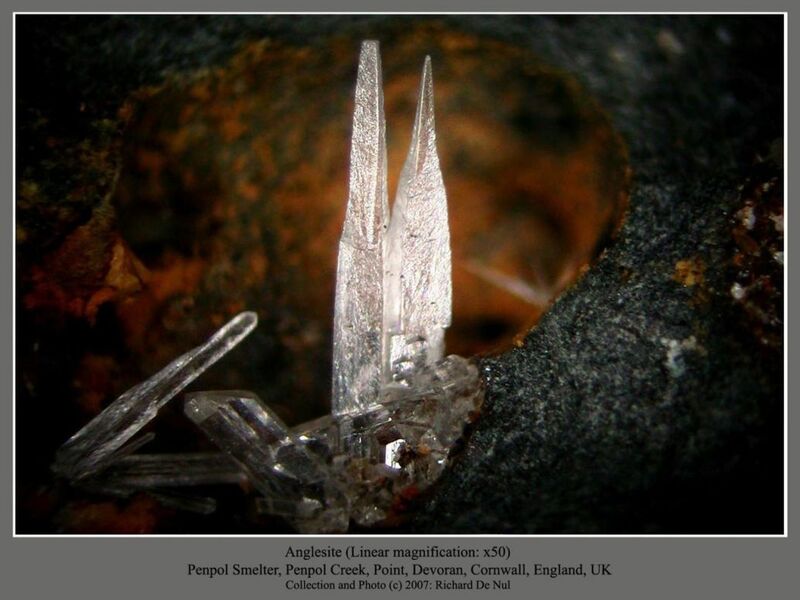 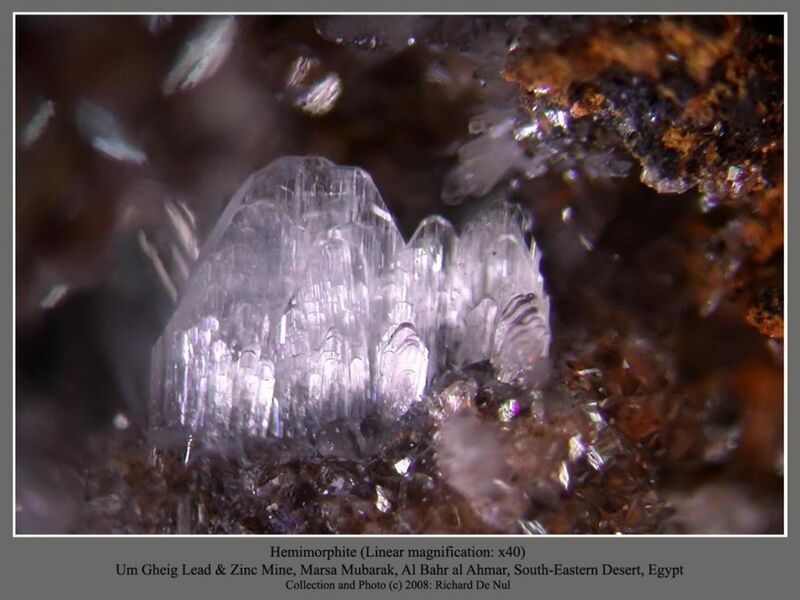 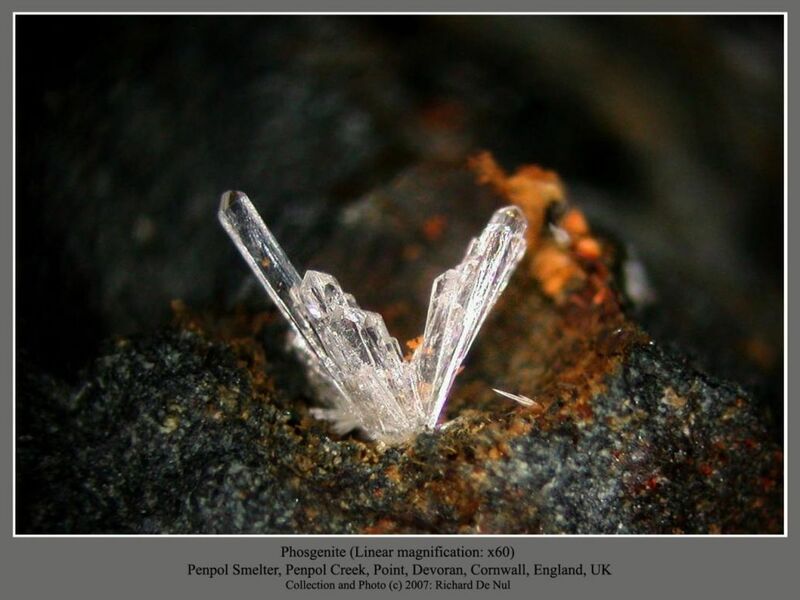 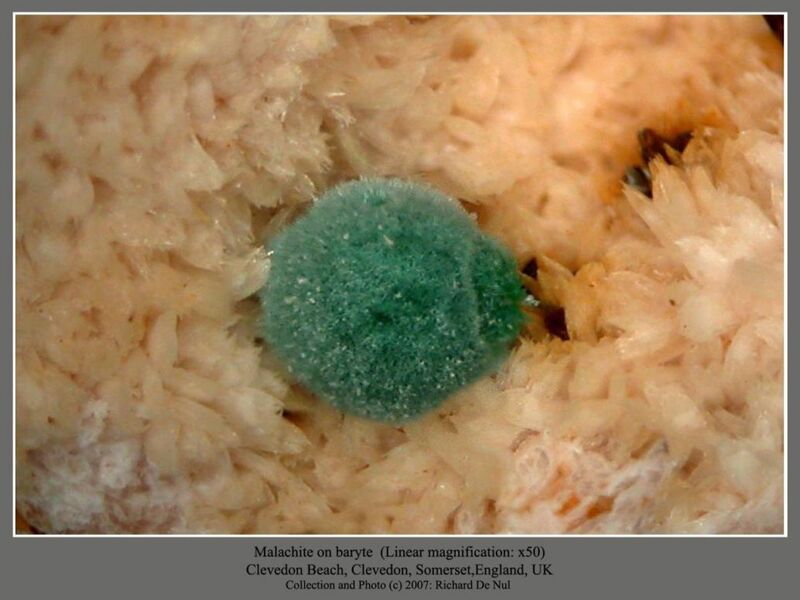 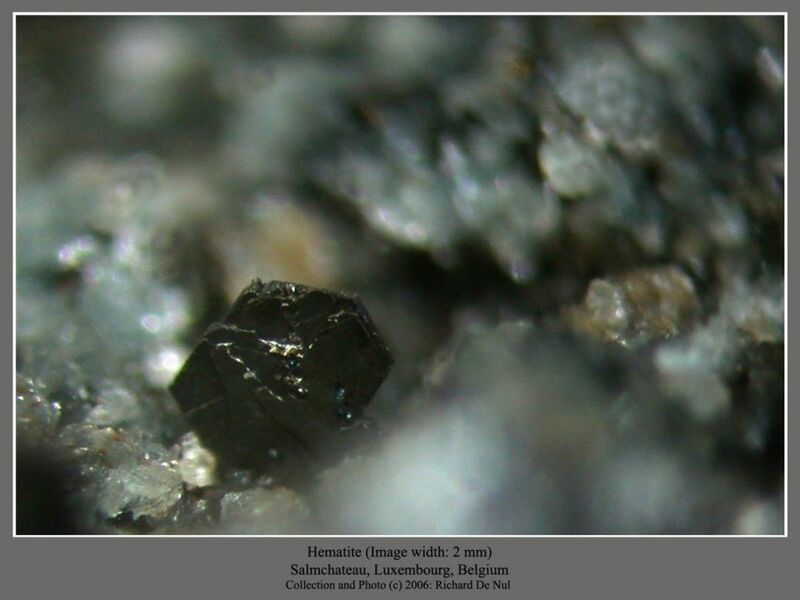 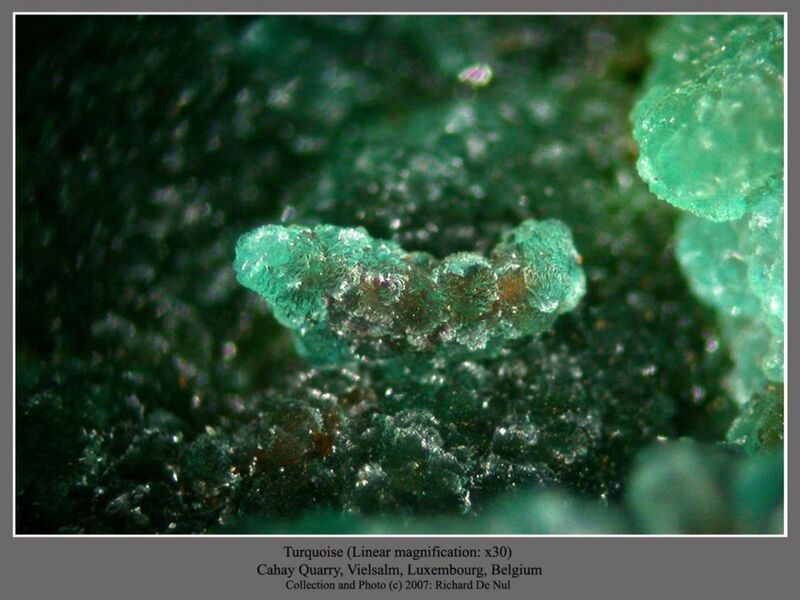 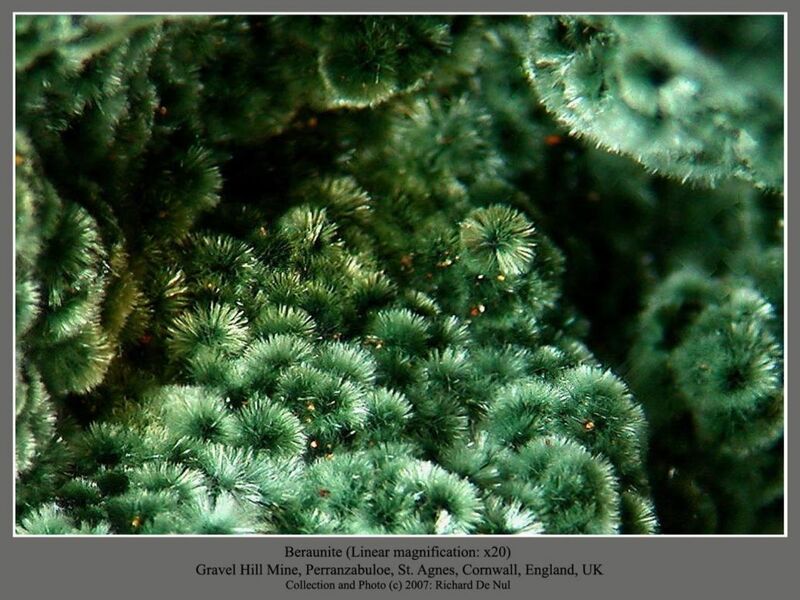 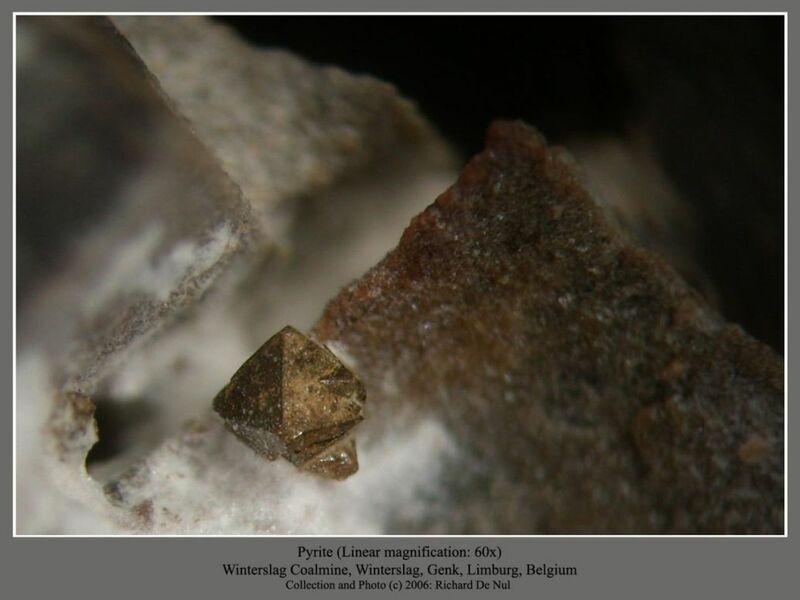 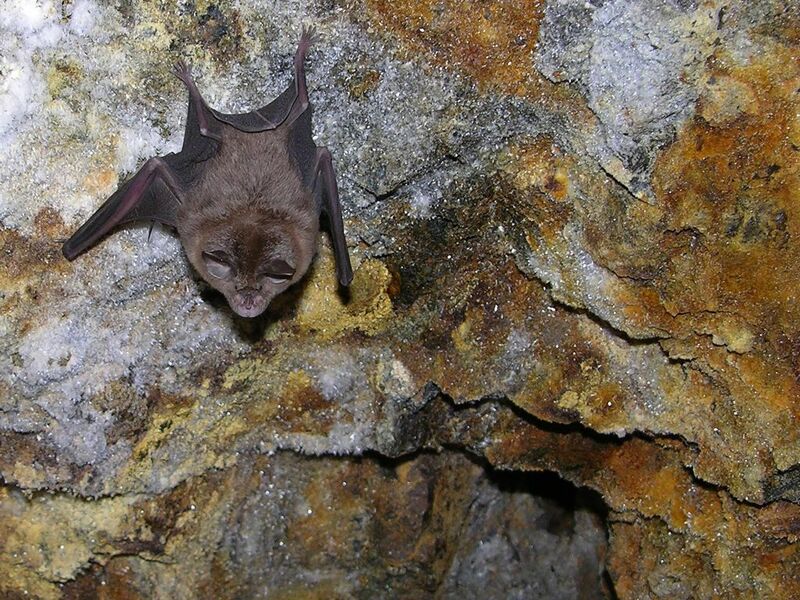 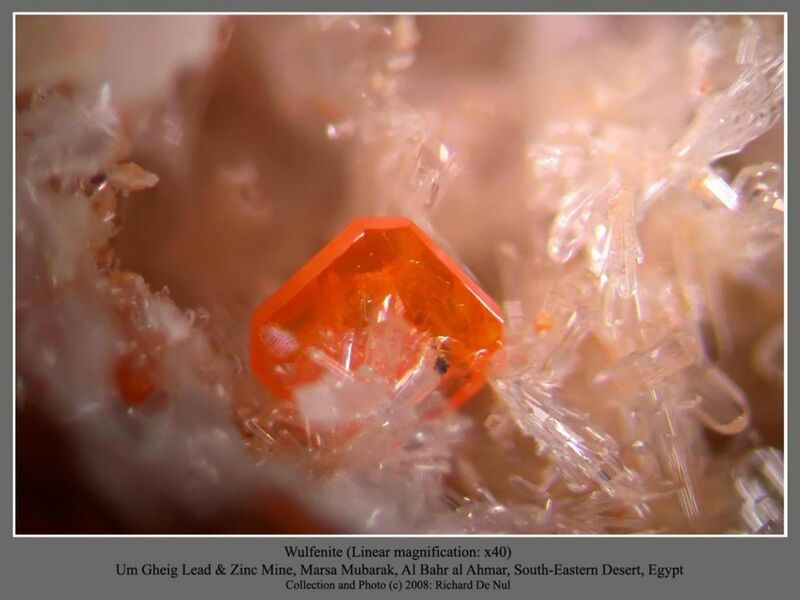 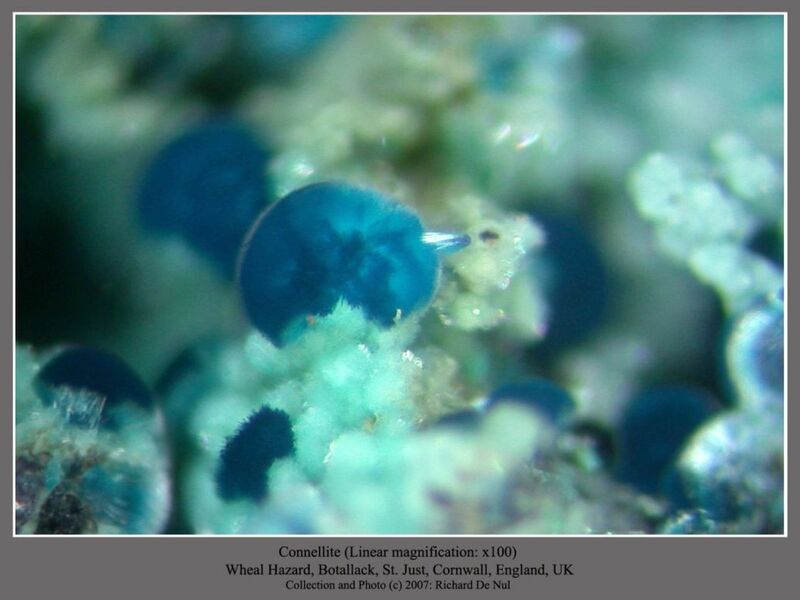 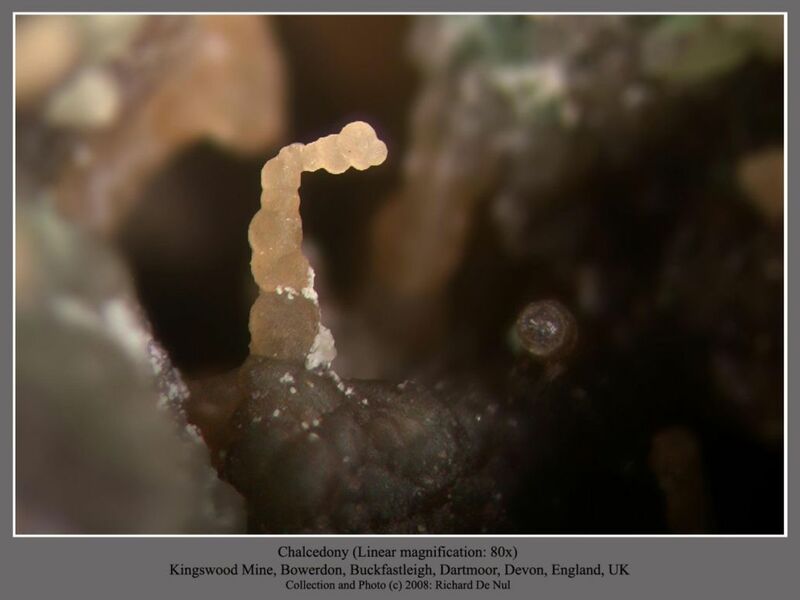 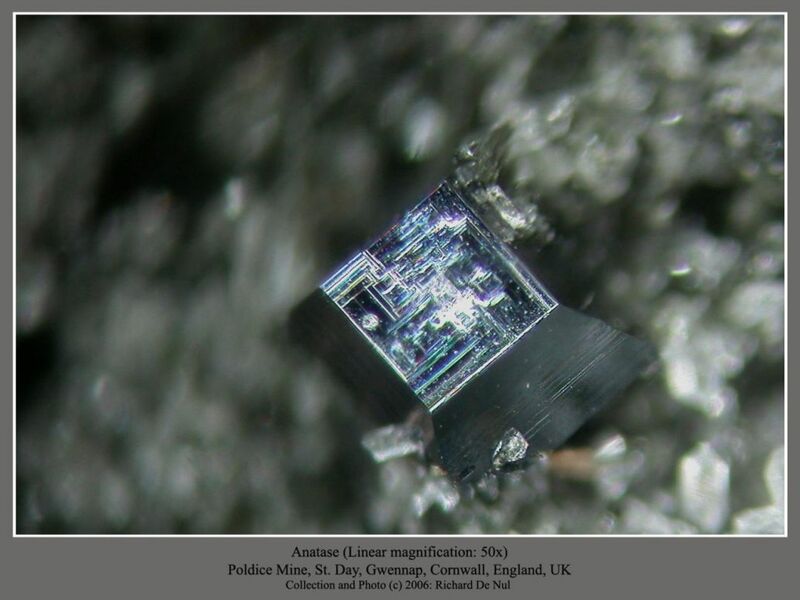 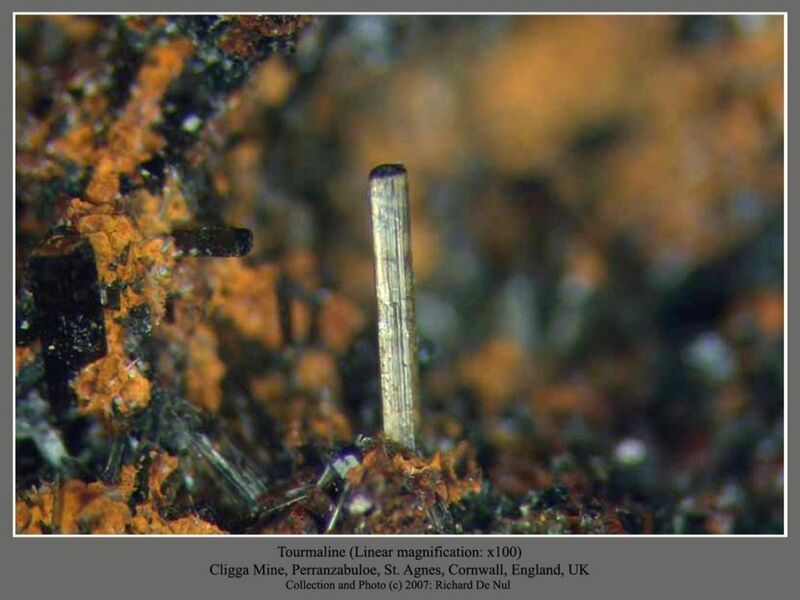 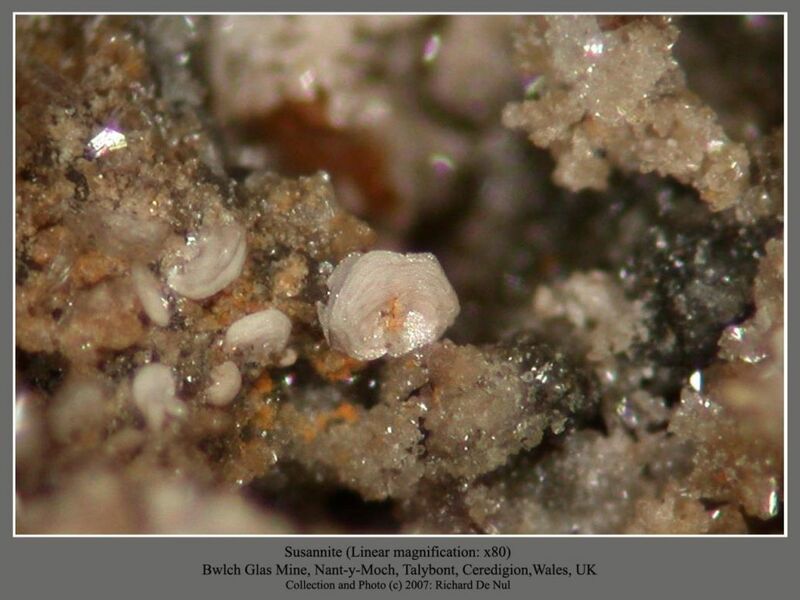 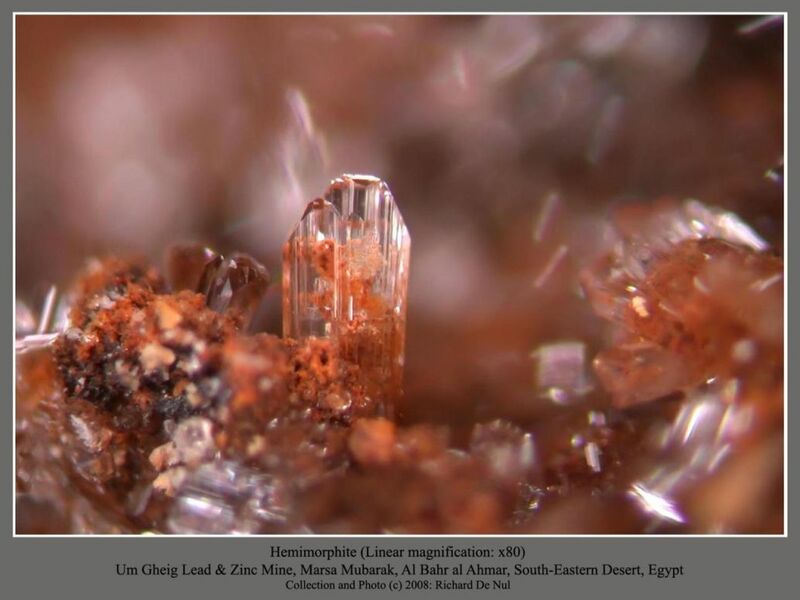 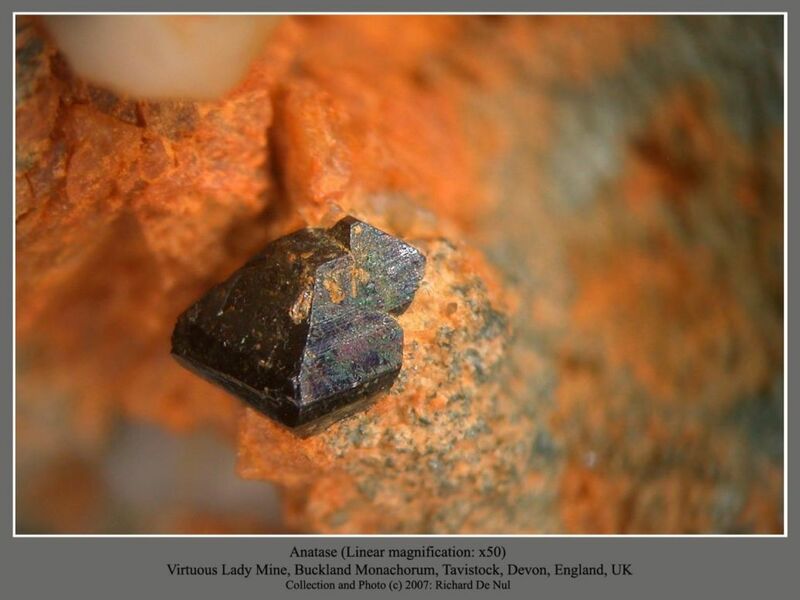 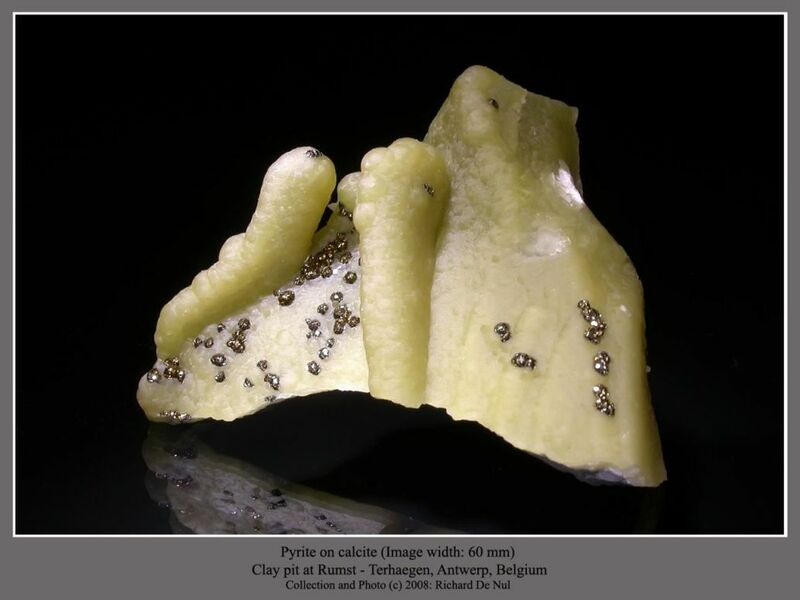 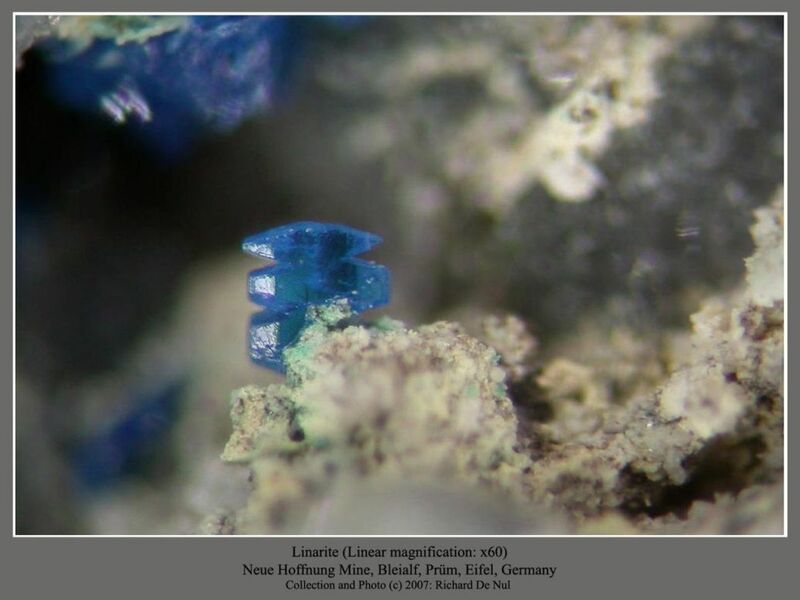 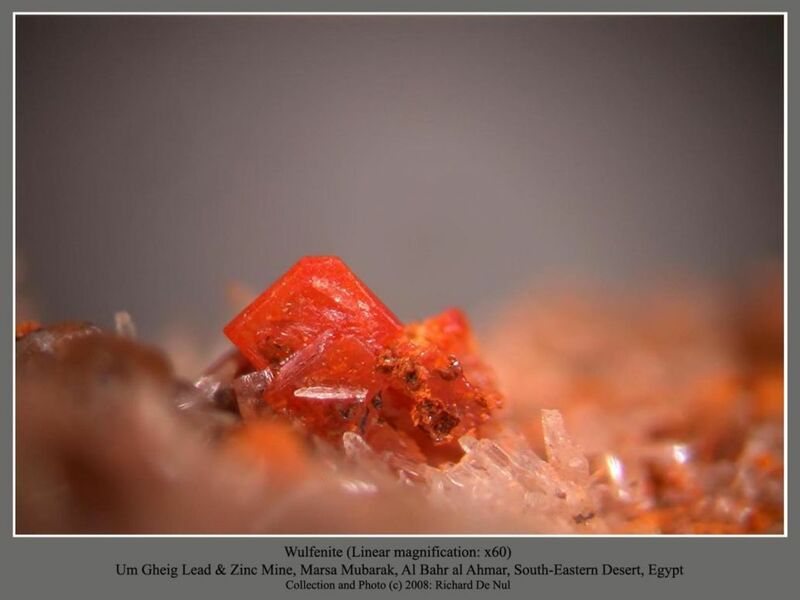 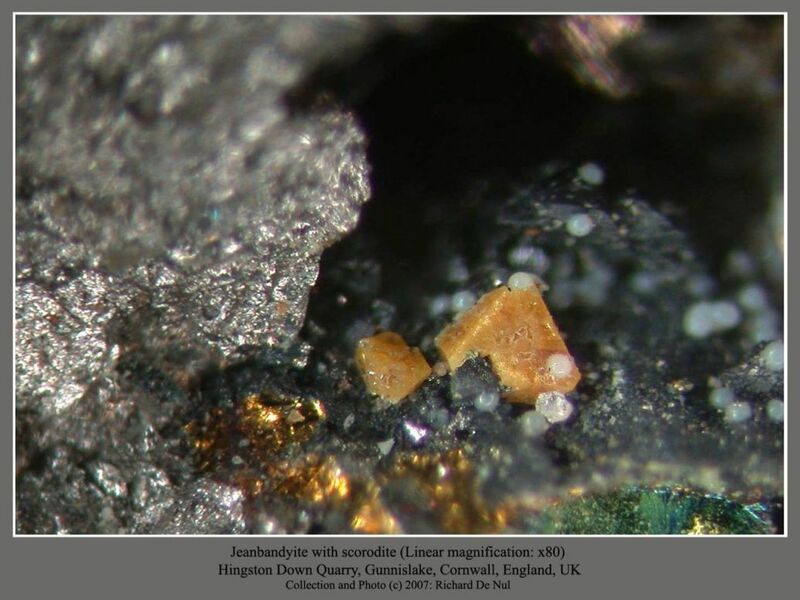 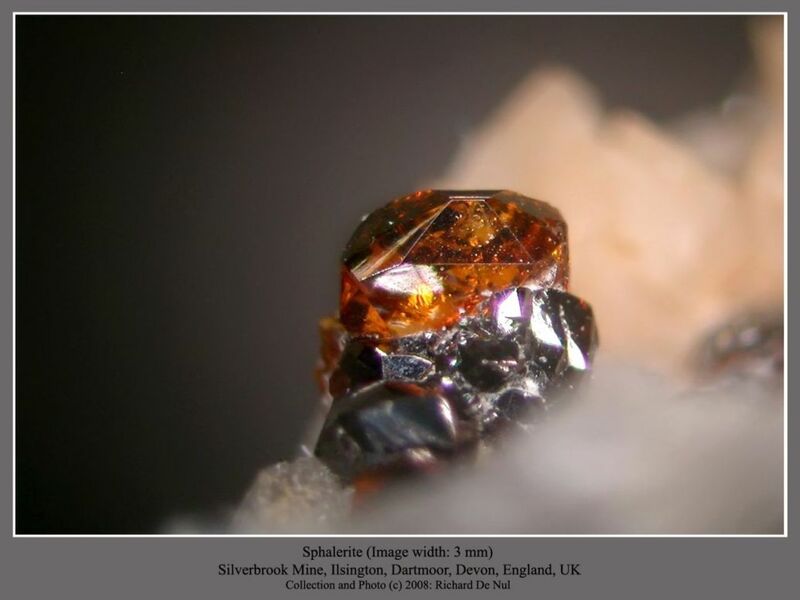 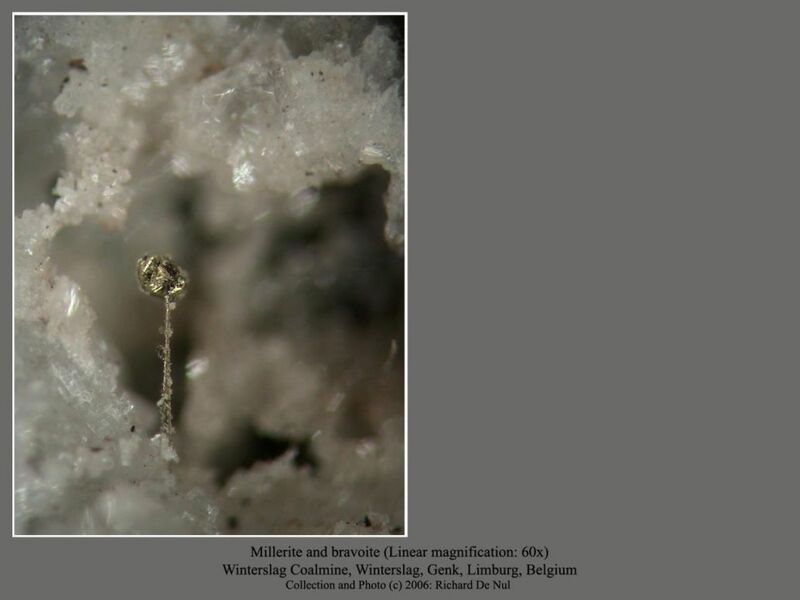 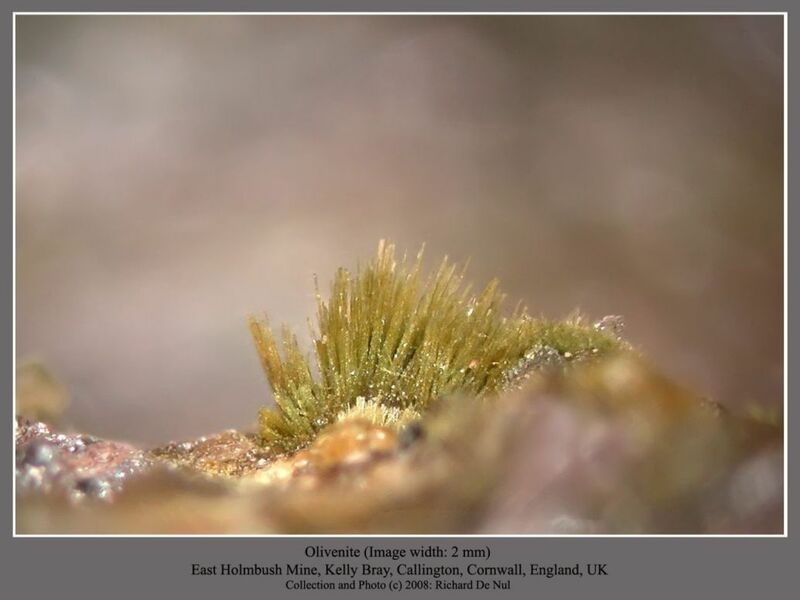 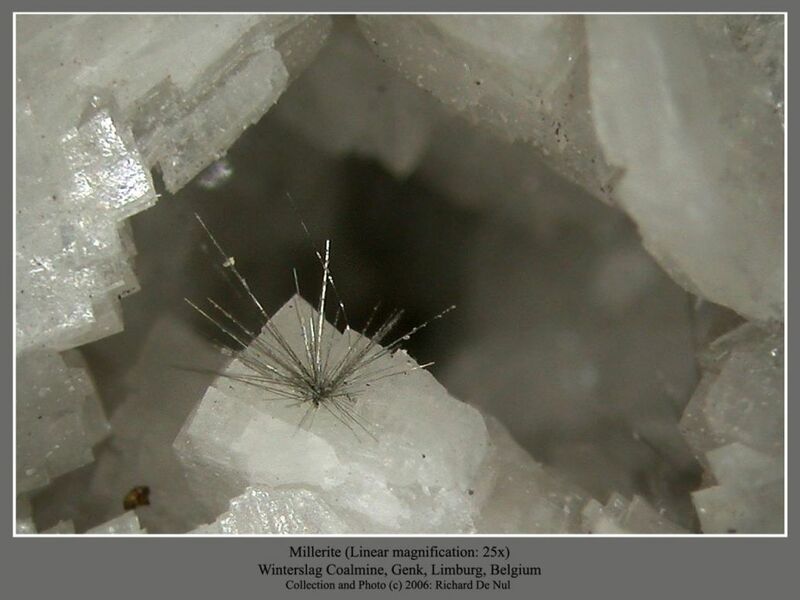 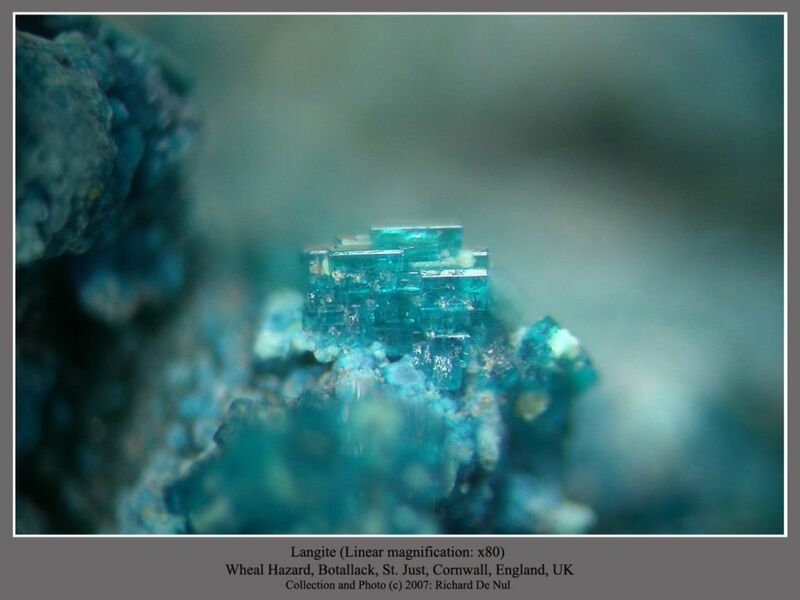 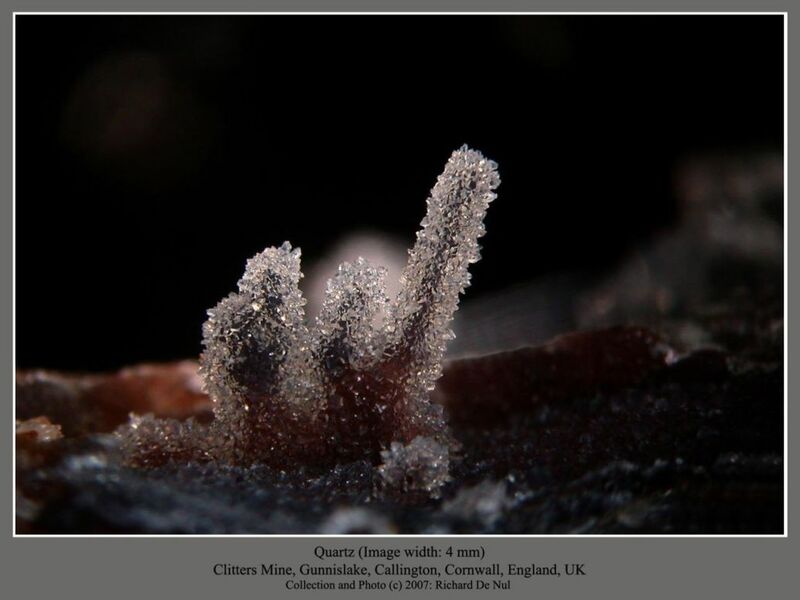 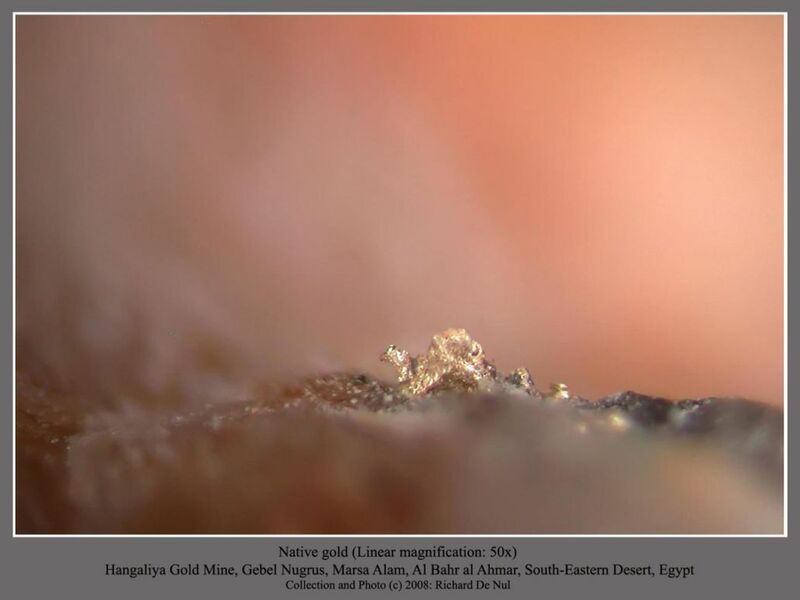 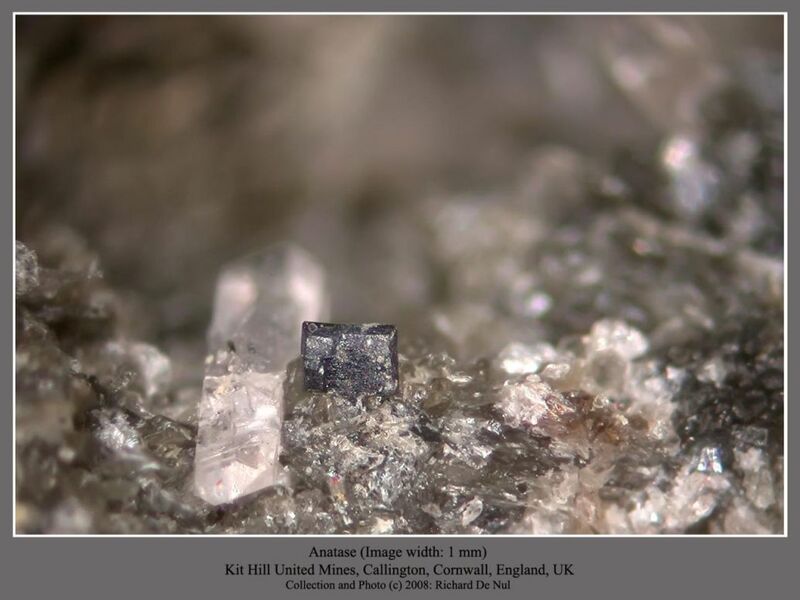 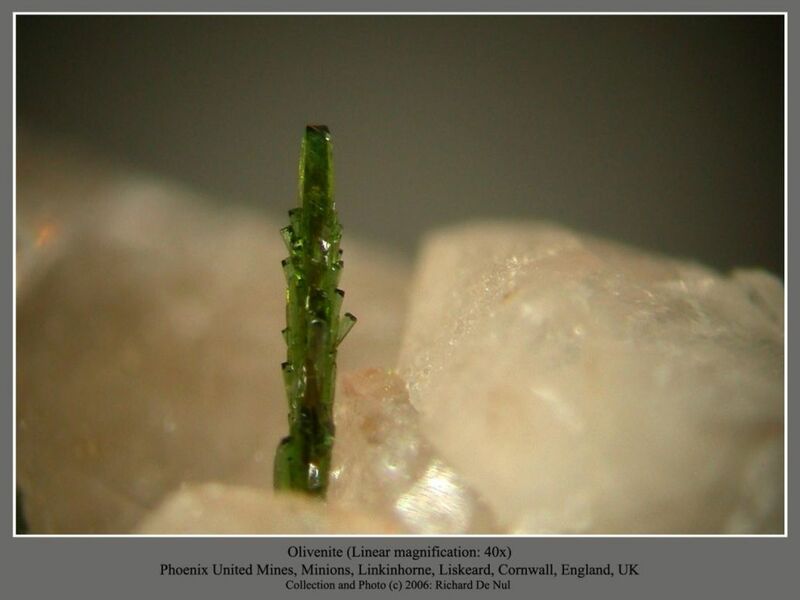 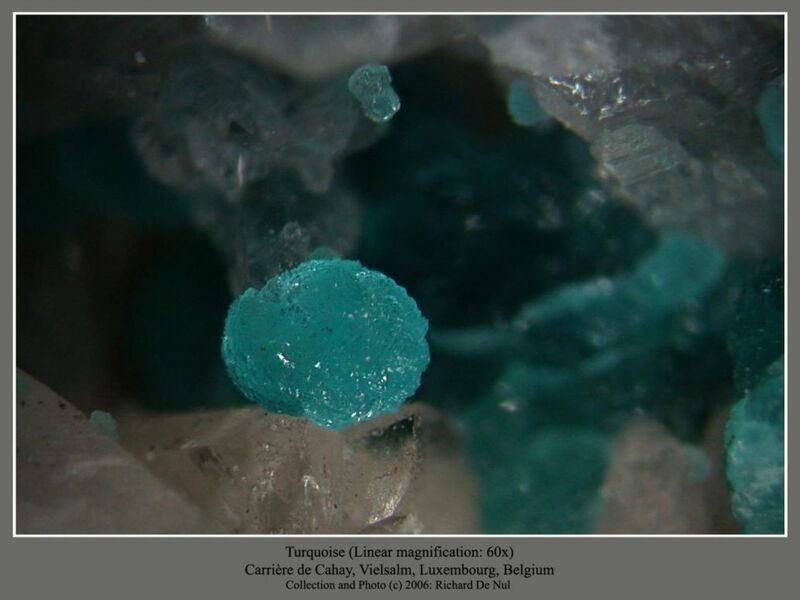 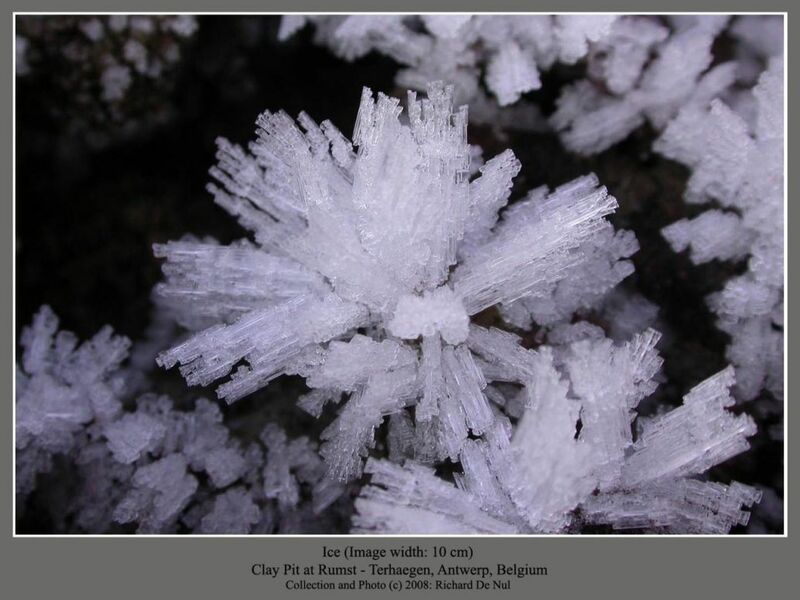 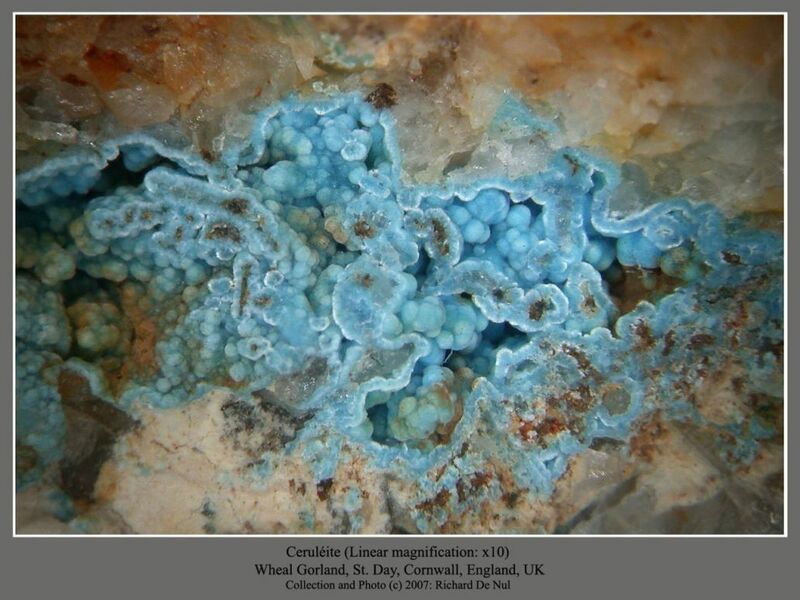 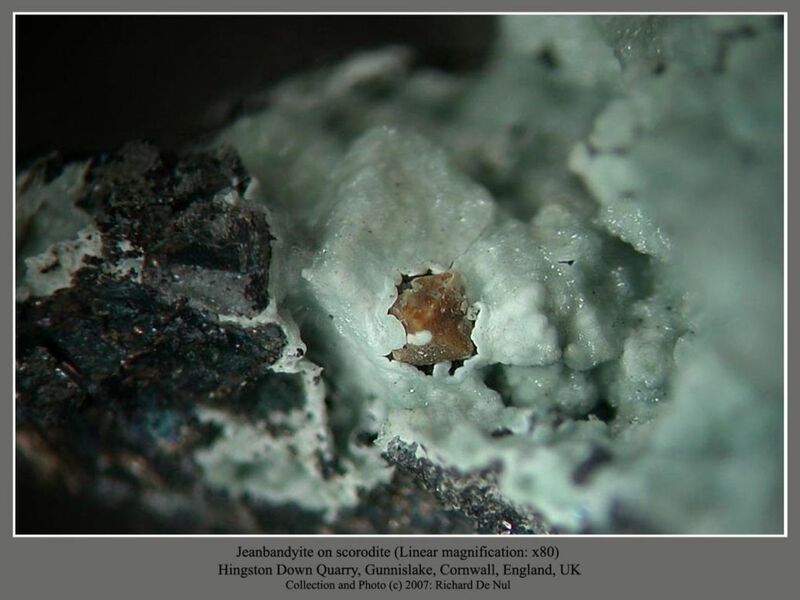 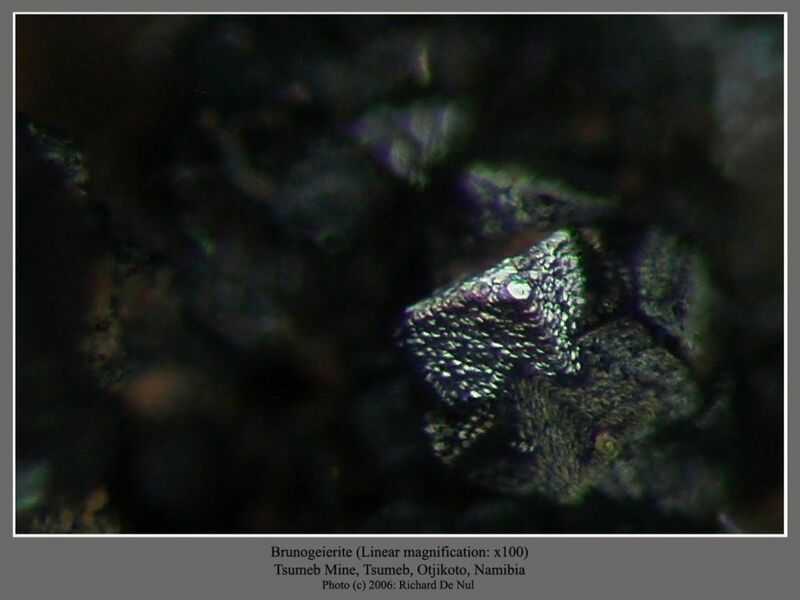 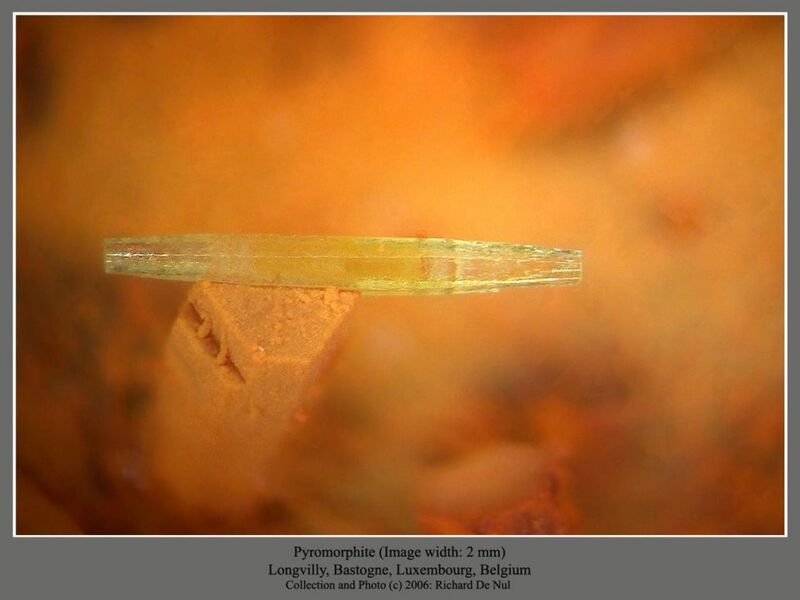 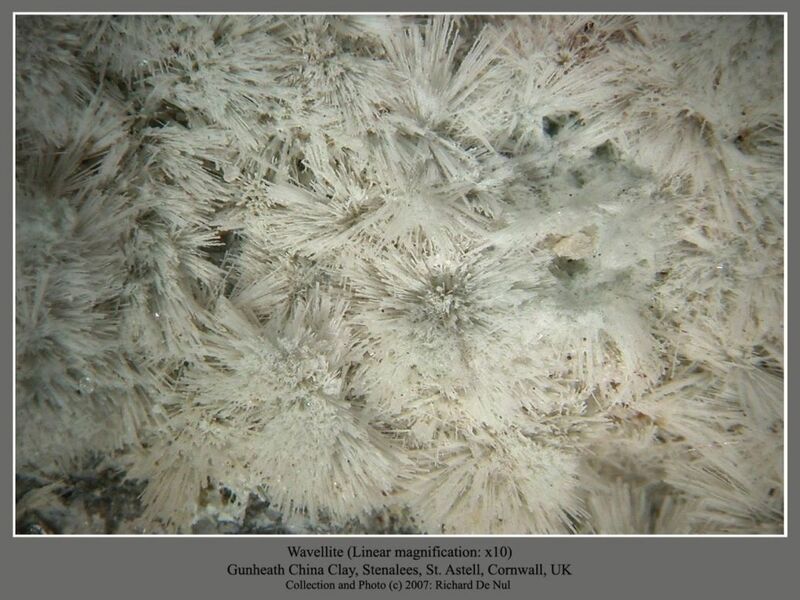 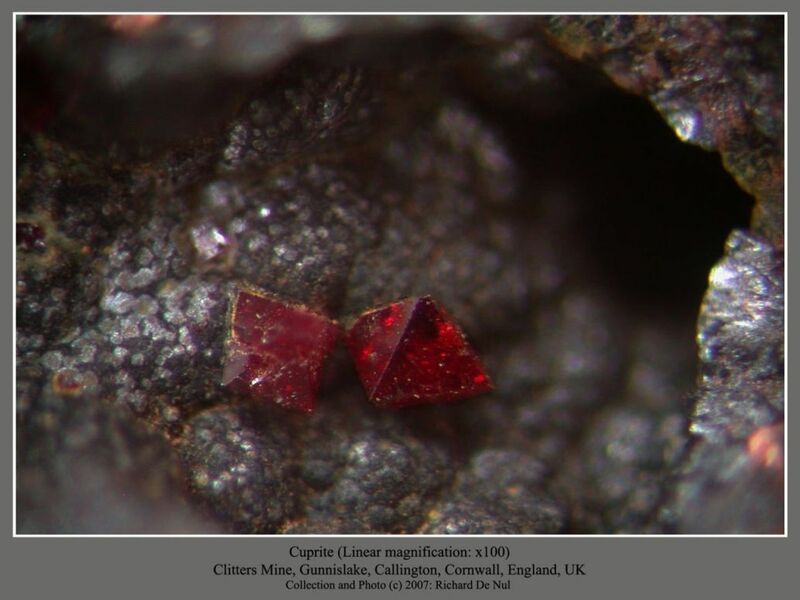 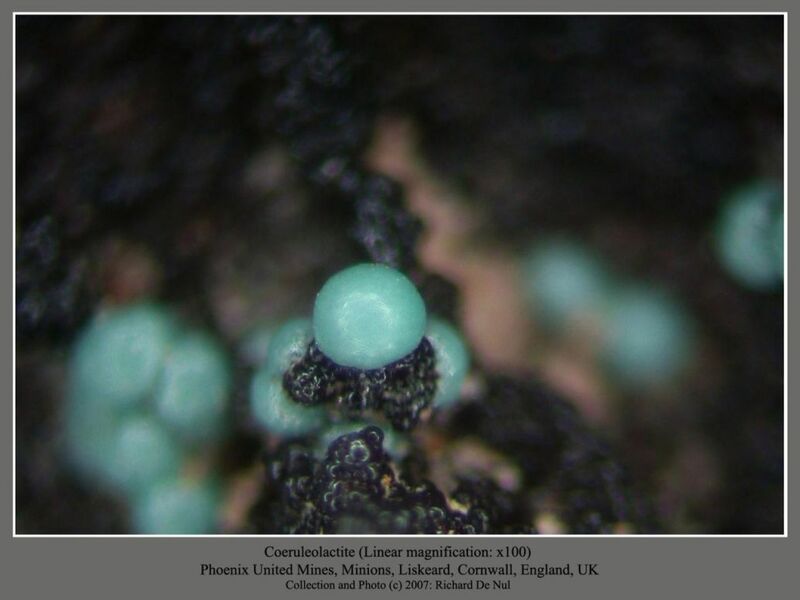 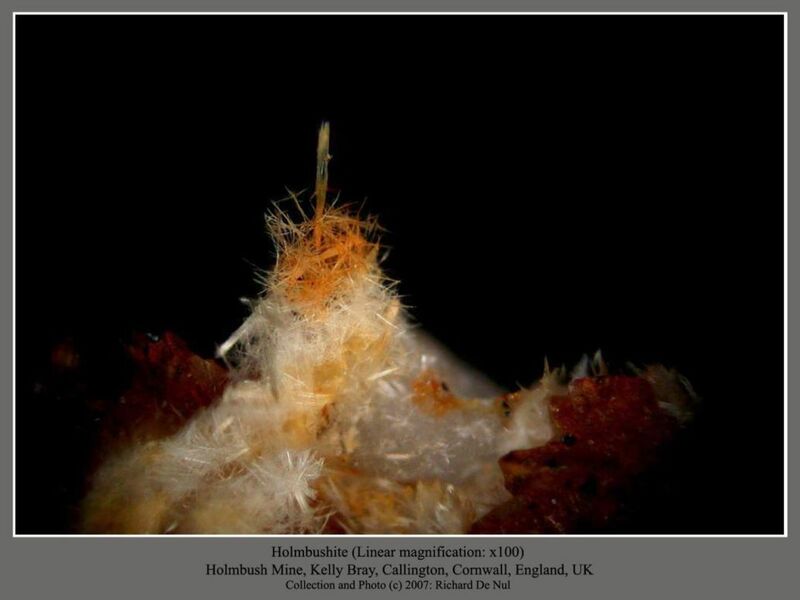 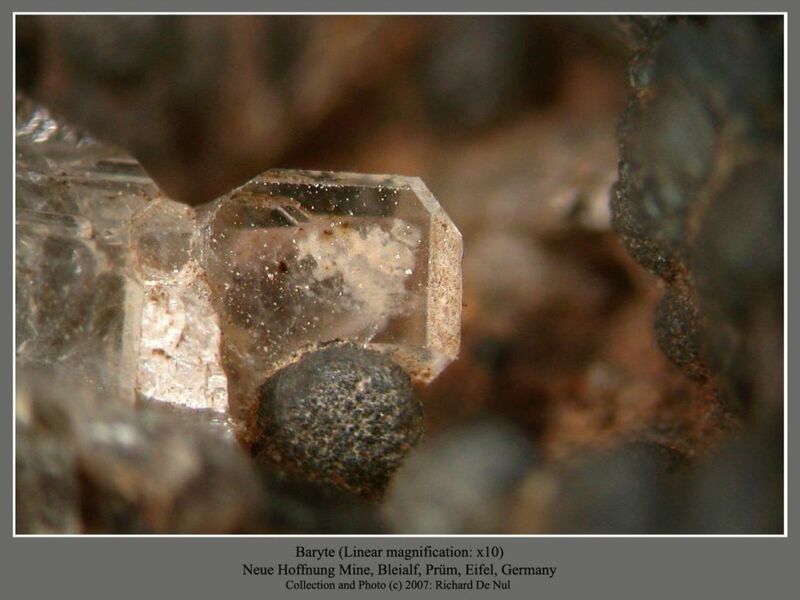 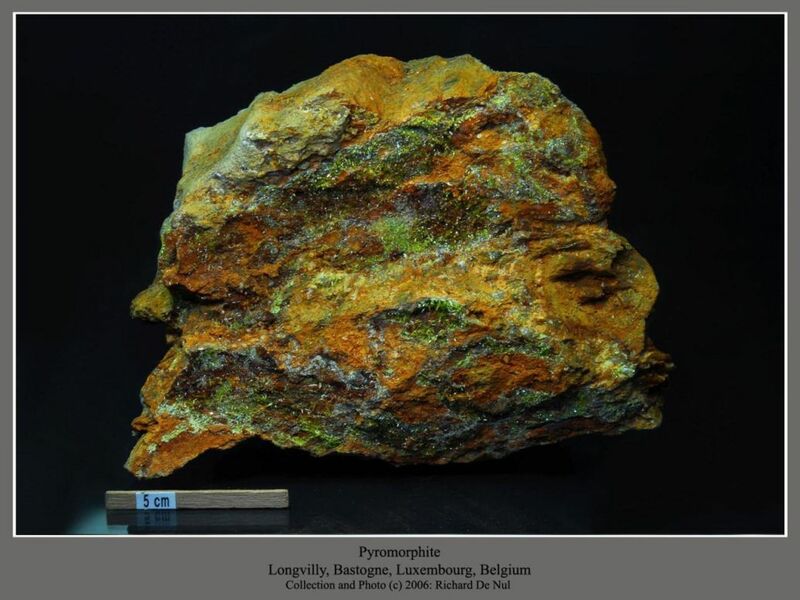 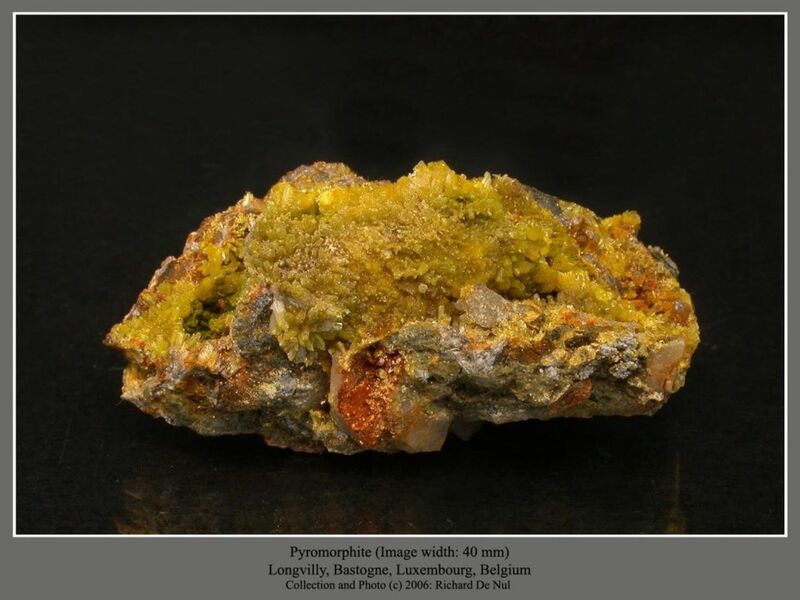 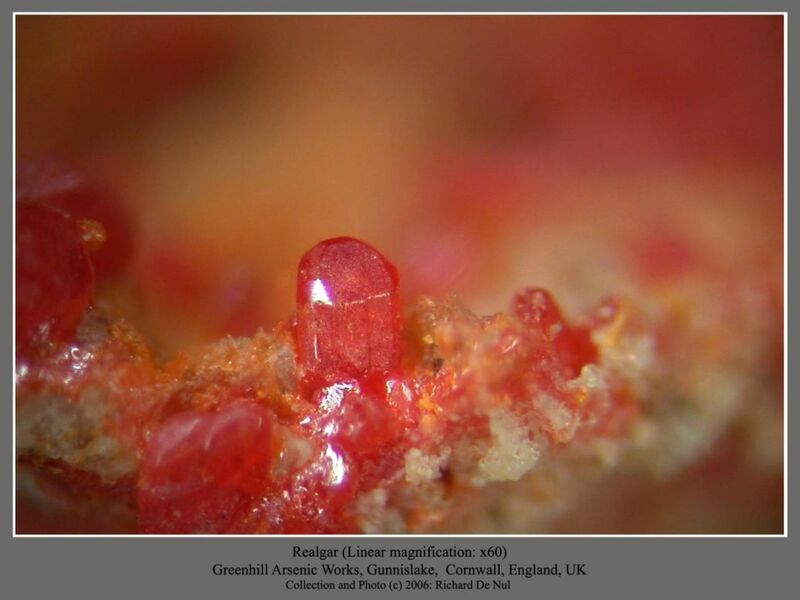 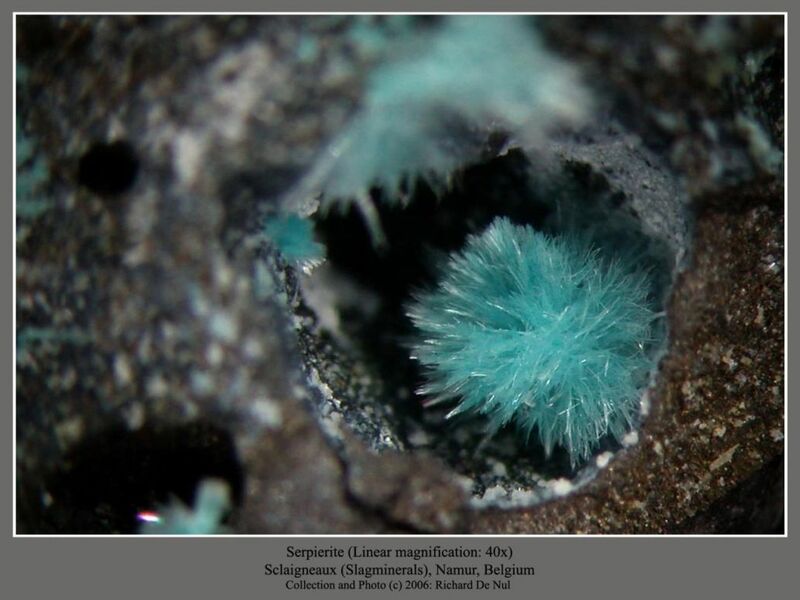 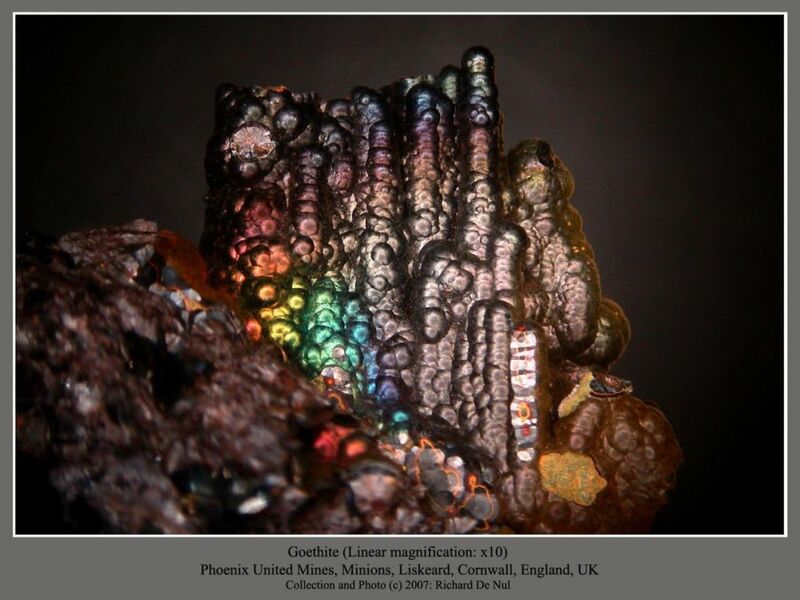 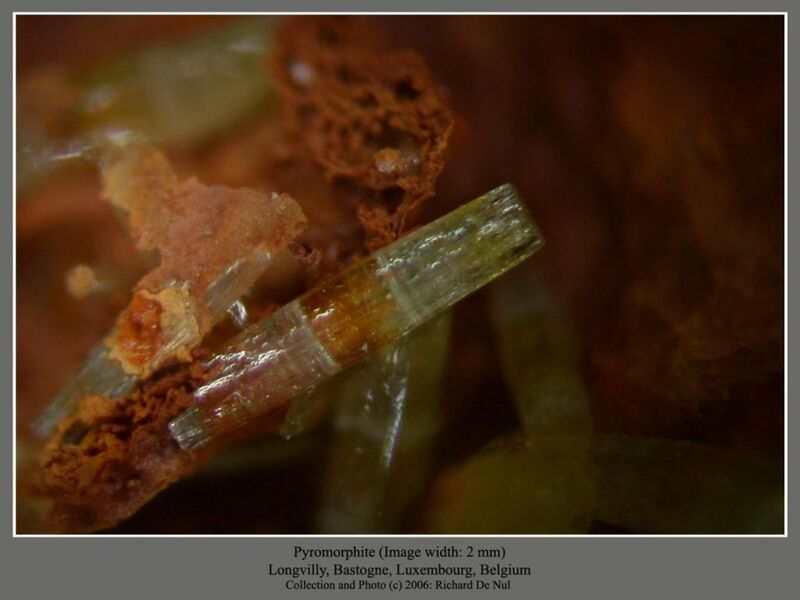 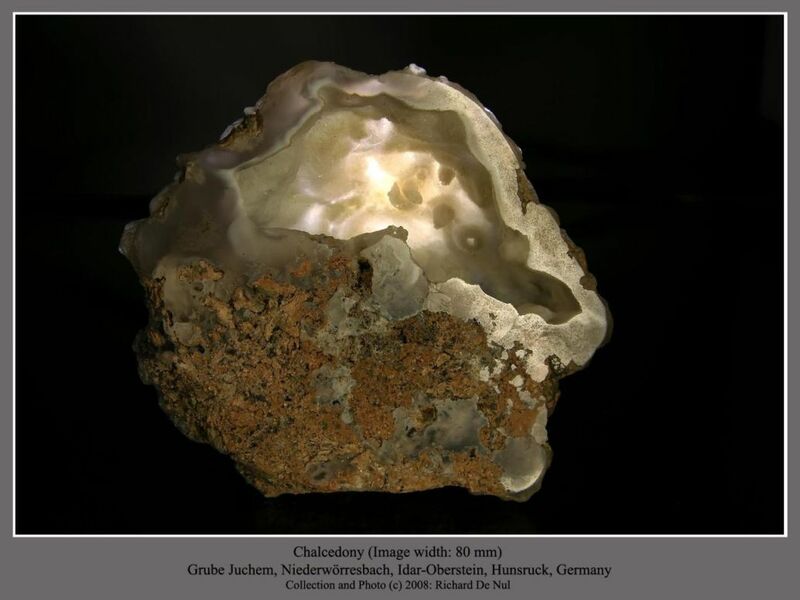 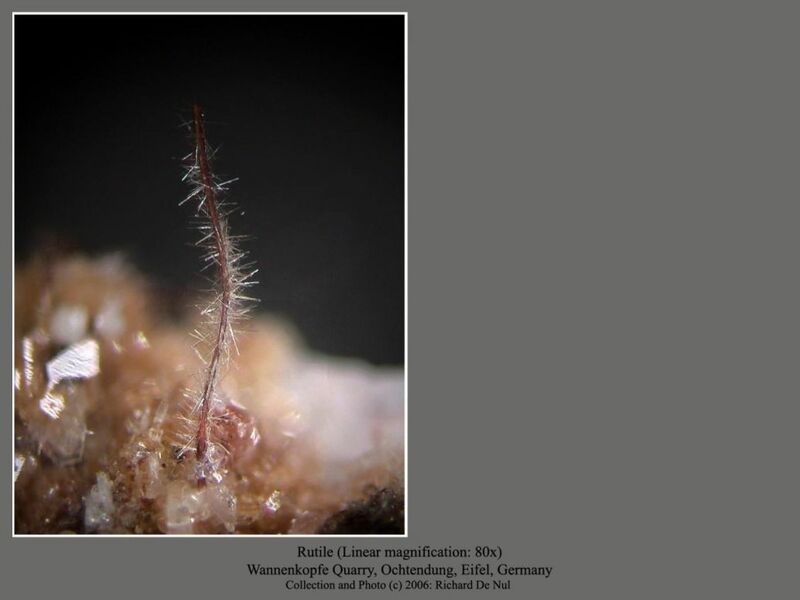 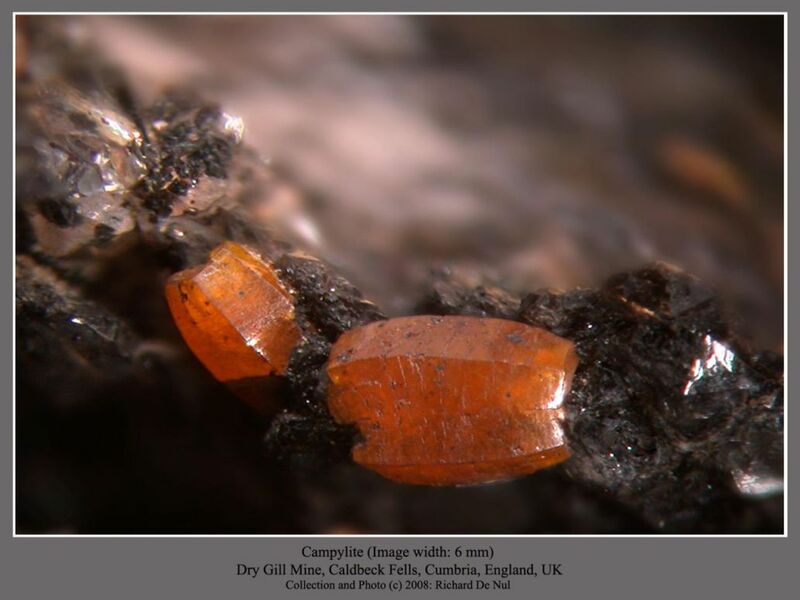 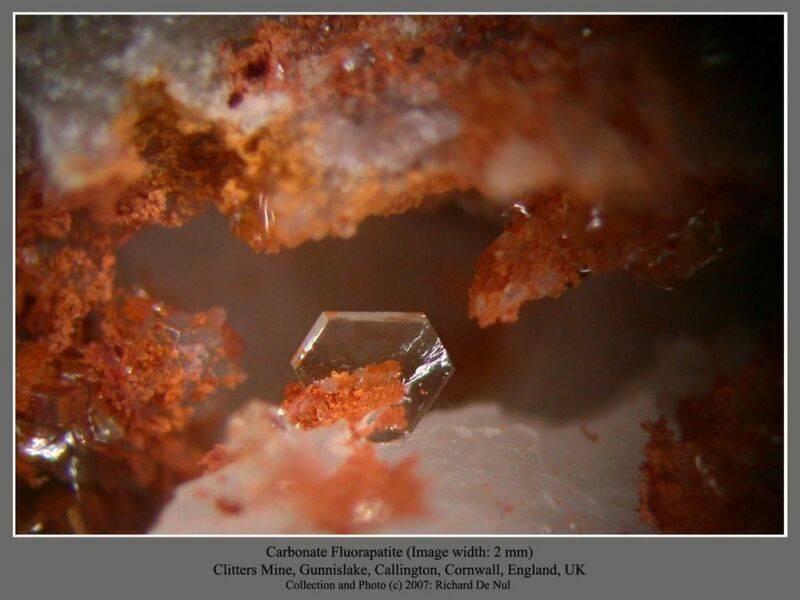 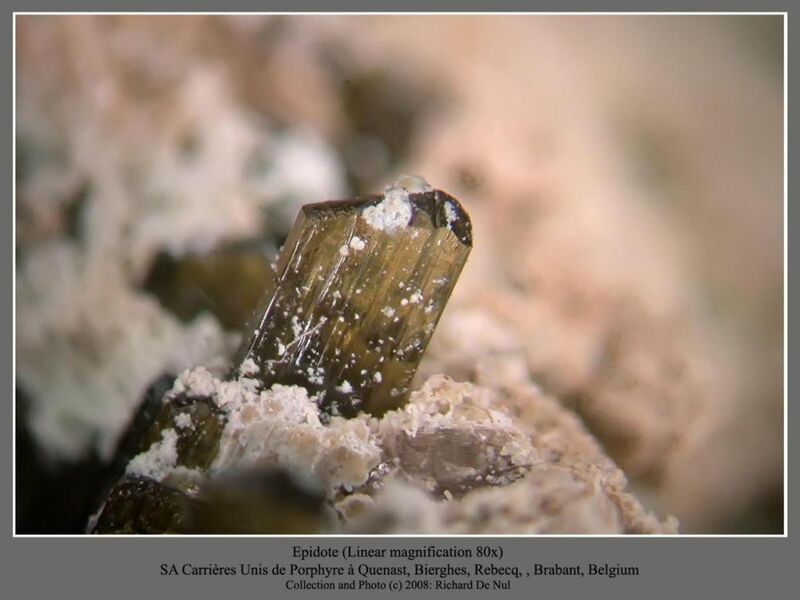 By the end of 2007, more than 2,500 of these photographs had been published on the mineralogical database Mindat. 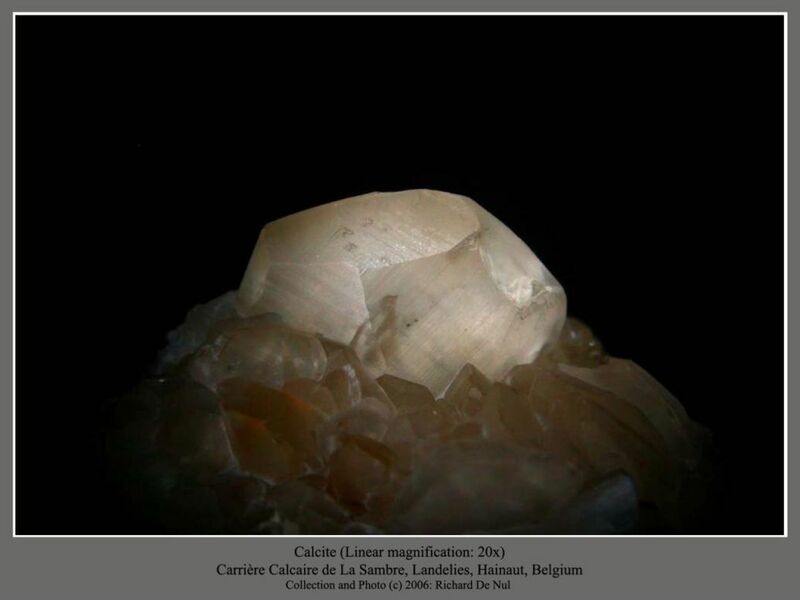 I documented several lectures, had my research published on many occasions and frequently contributed to the work of others.